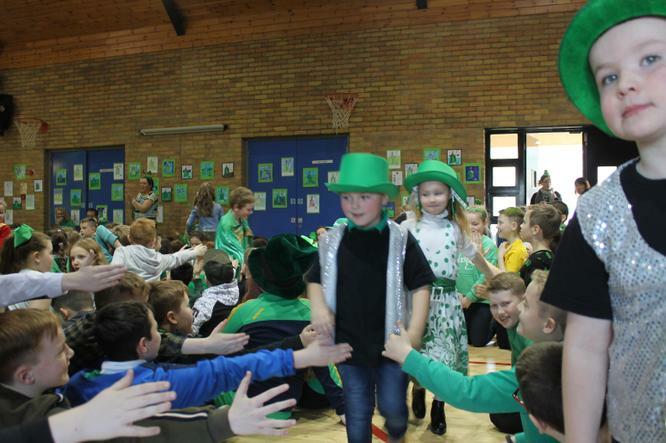 Let's Celebrate - It's St. Patrick's Day! 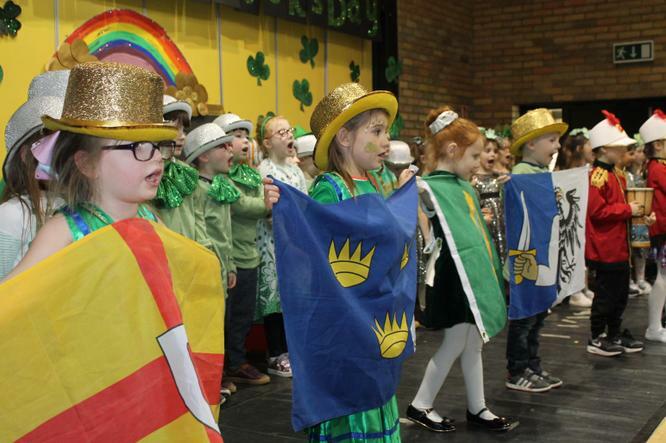 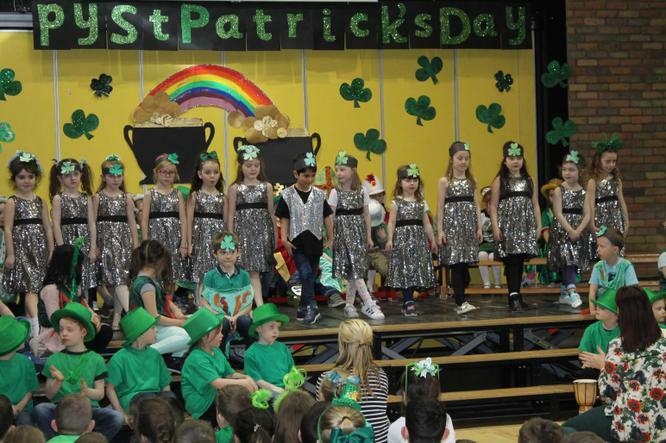 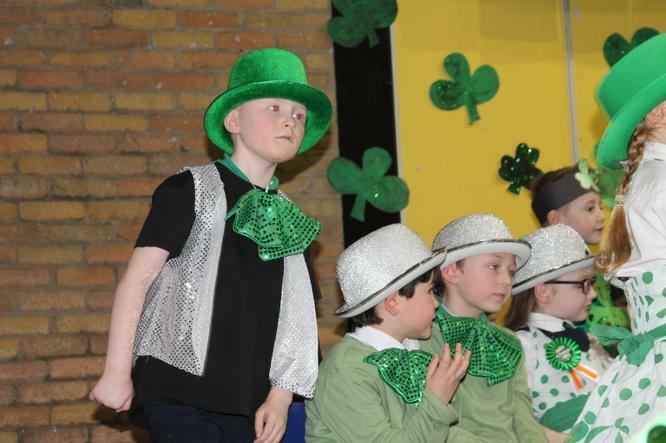 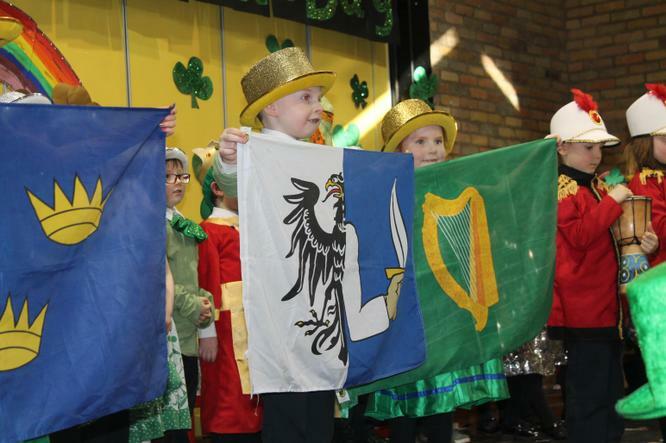 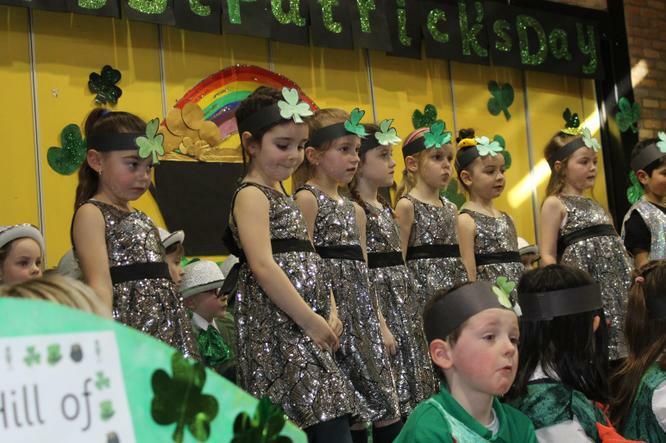 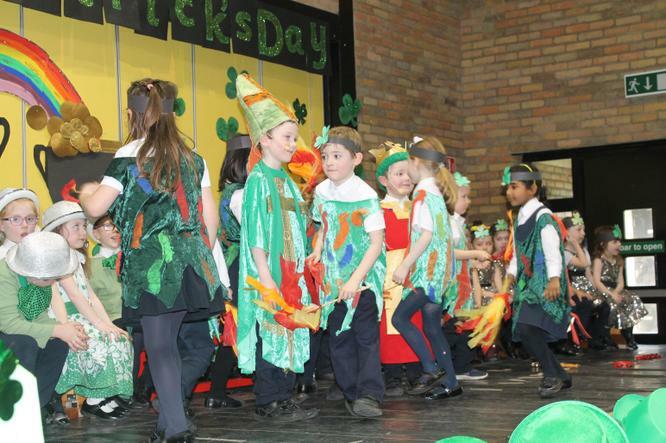 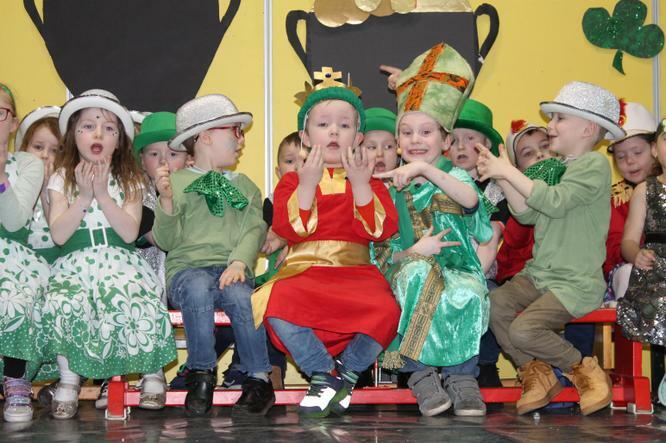 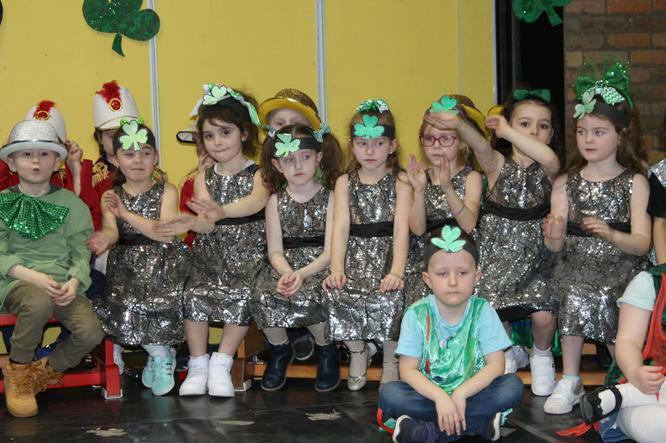 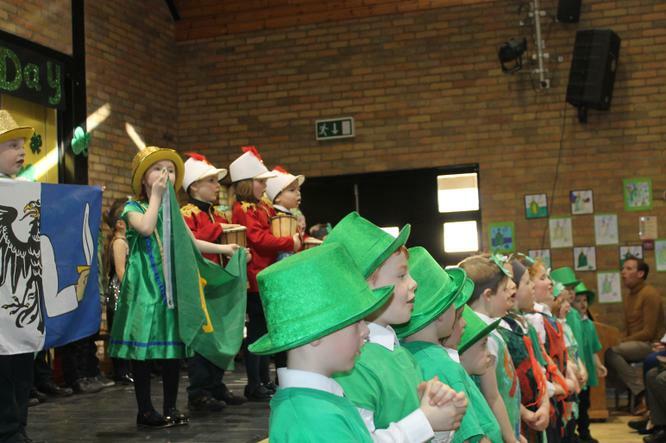 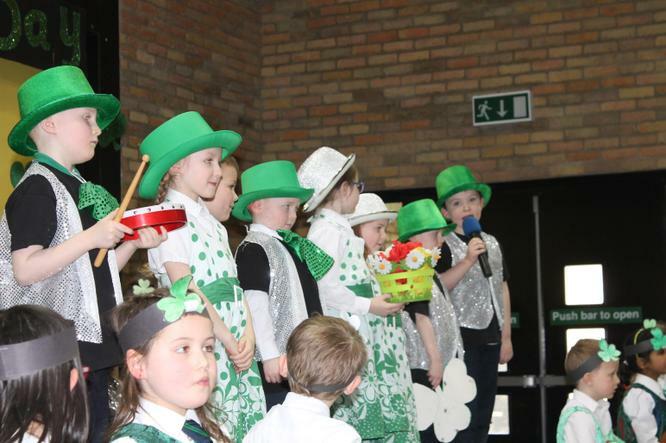 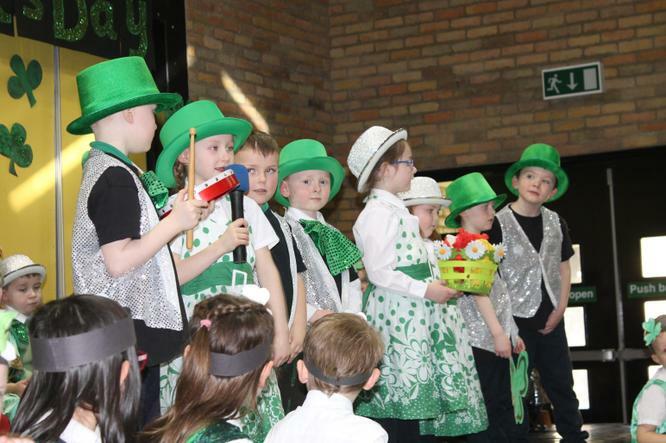 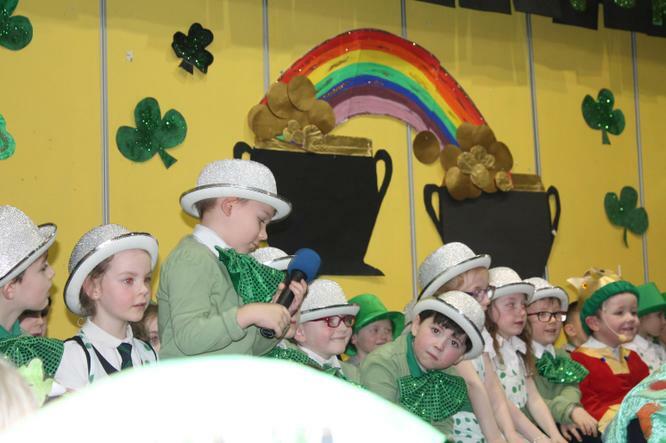 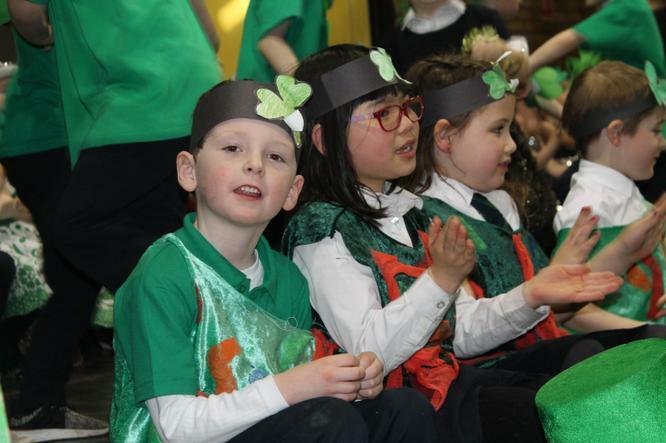 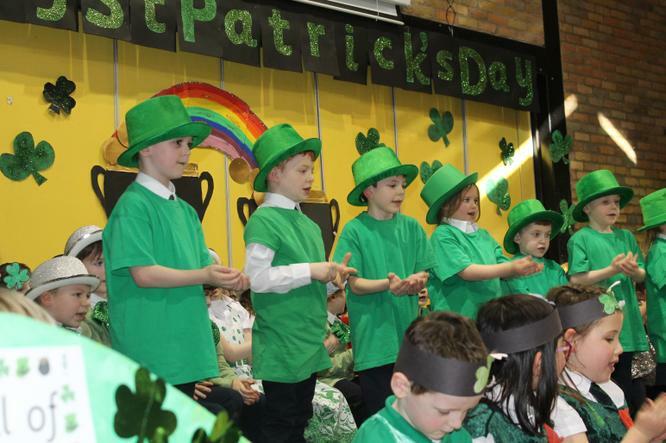 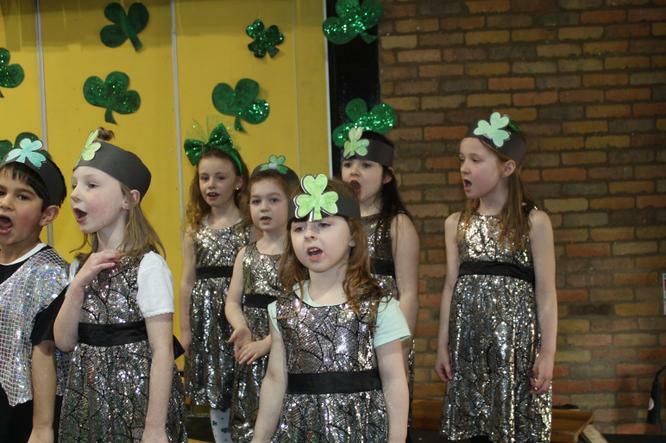 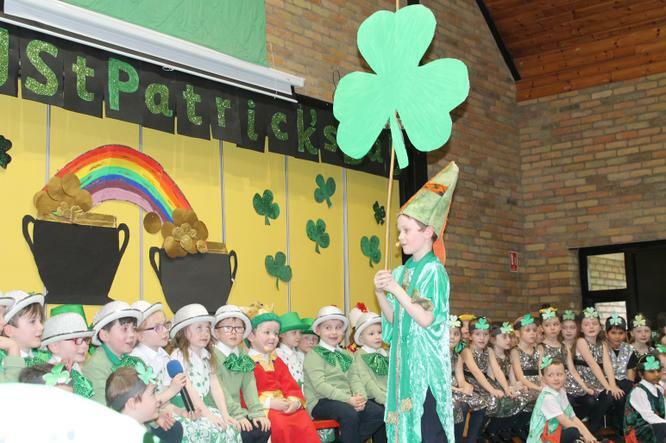 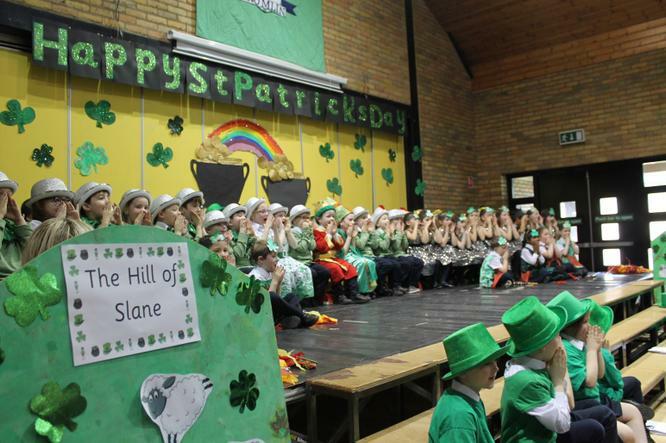 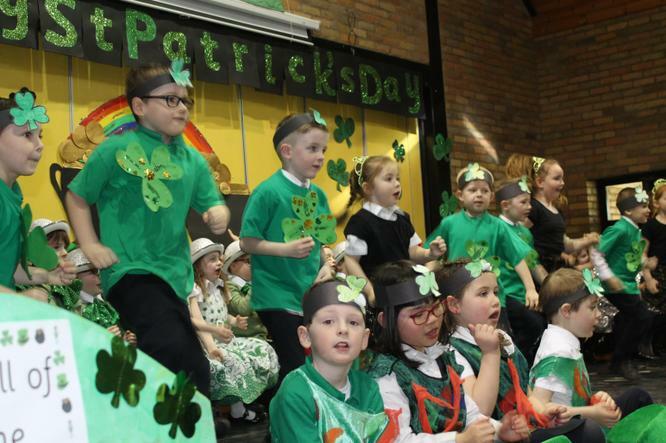 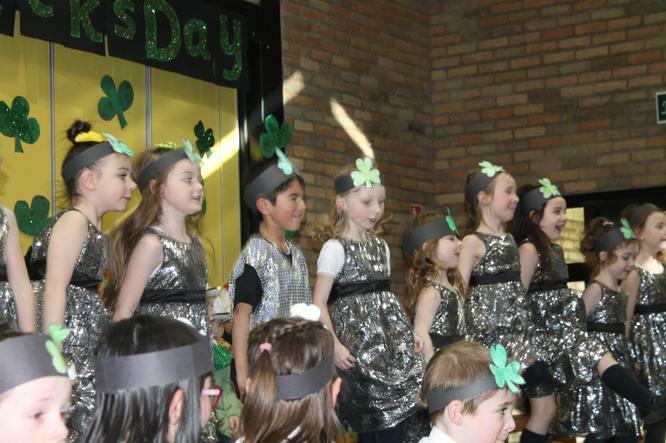 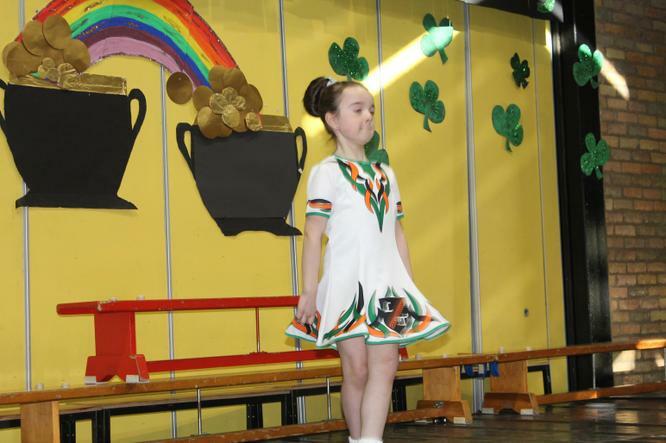 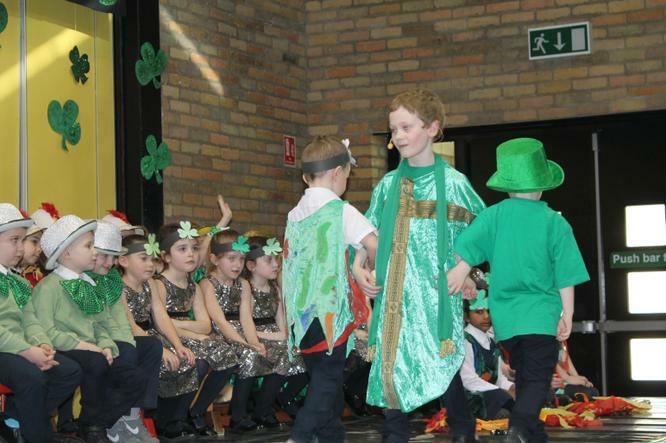 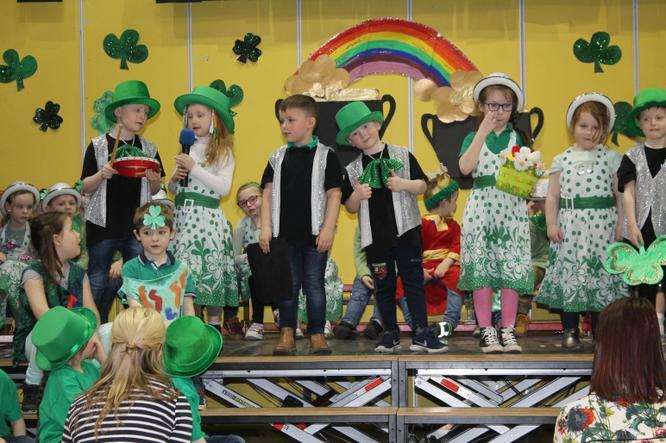 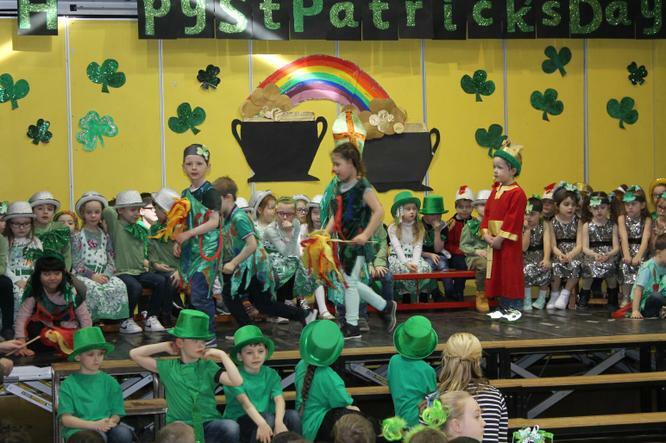 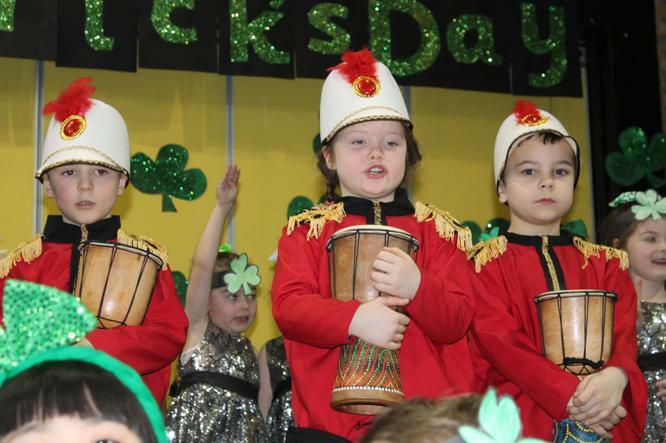 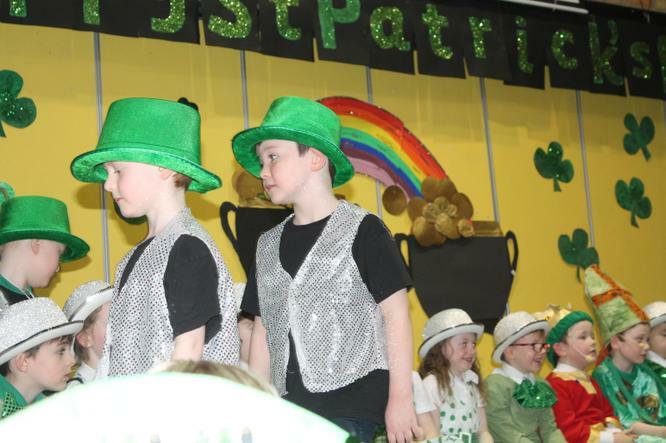 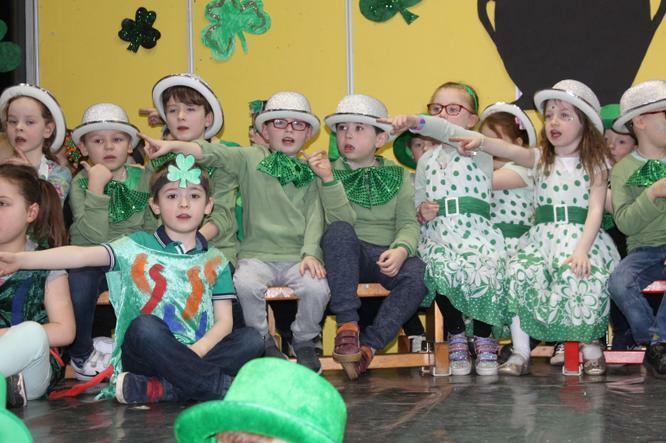 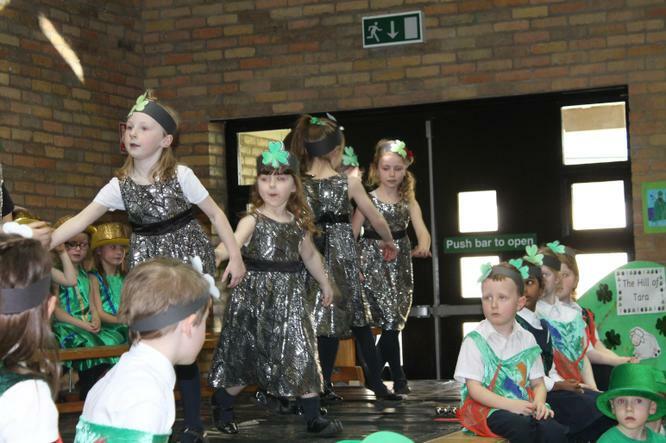 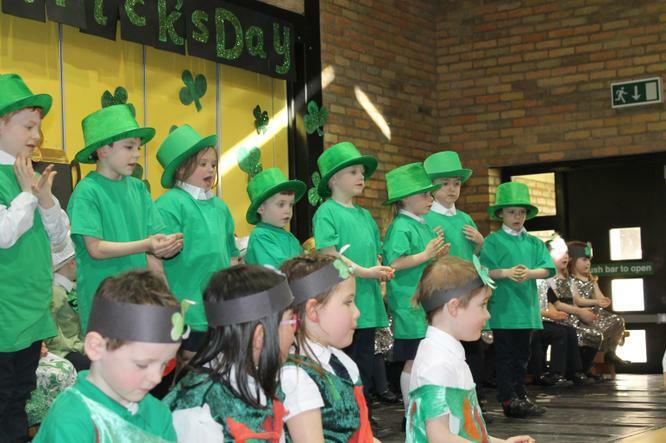 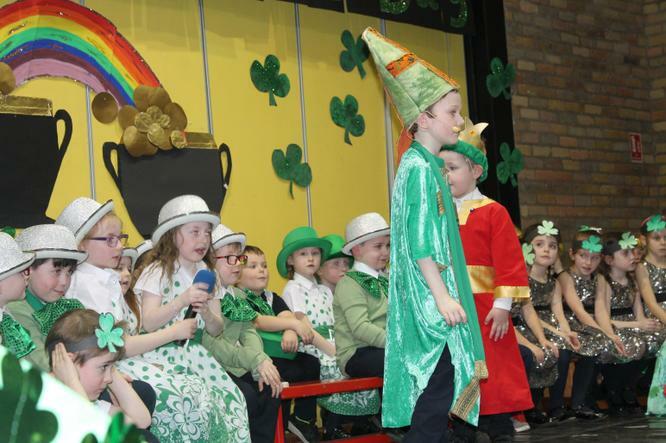 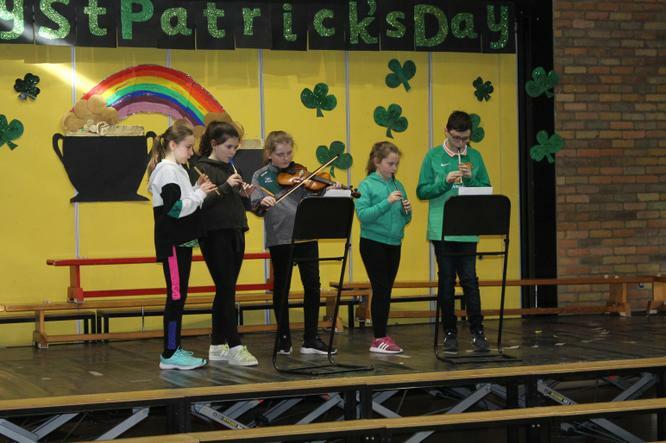 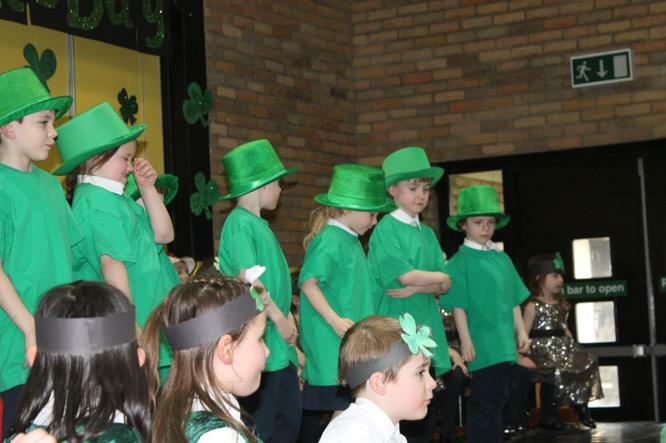 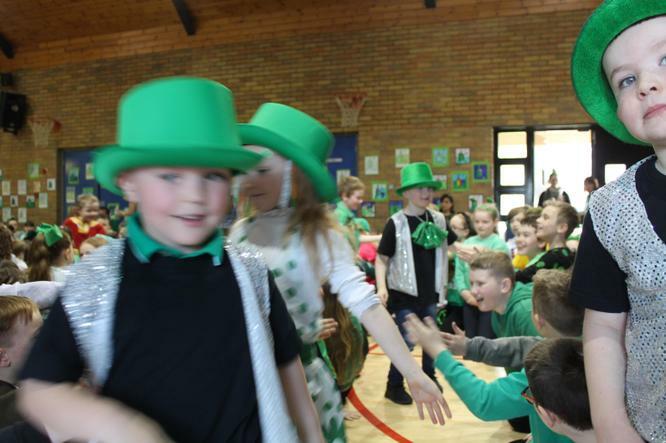 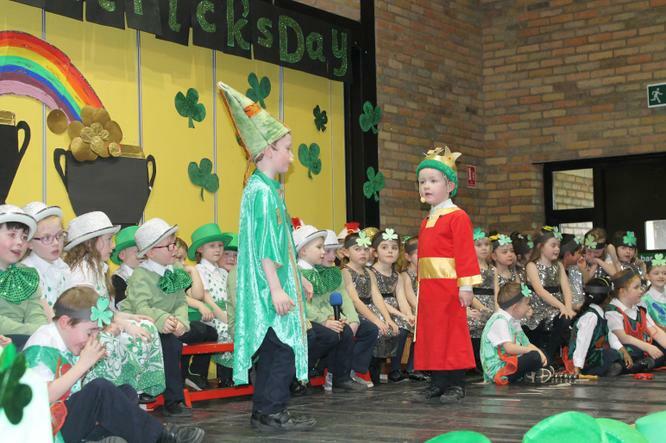 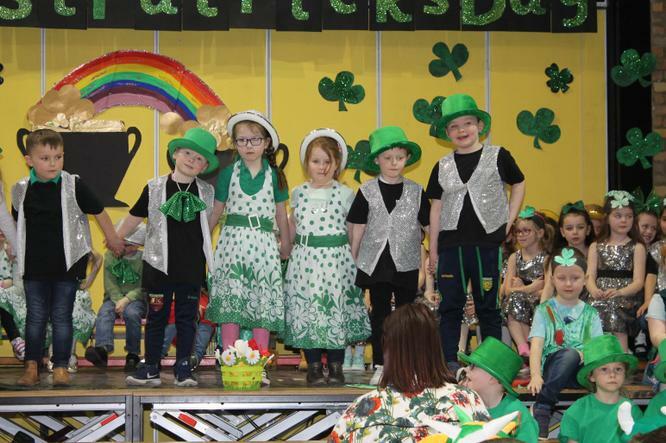 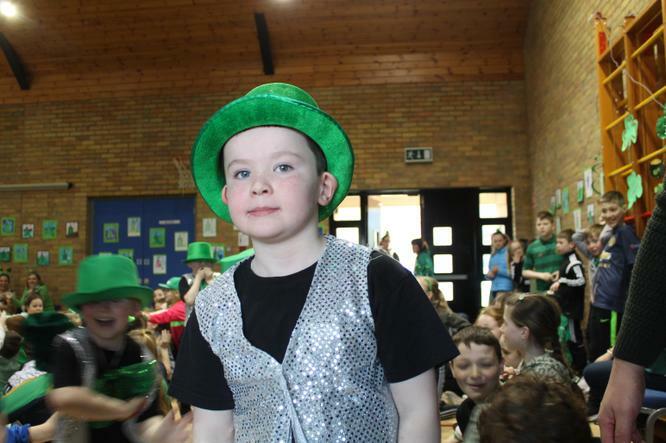 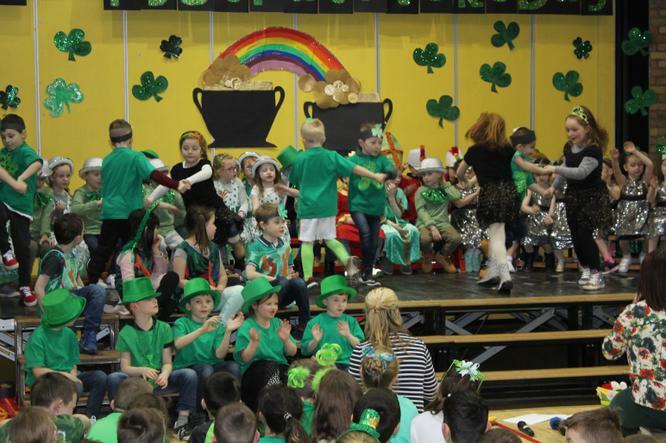 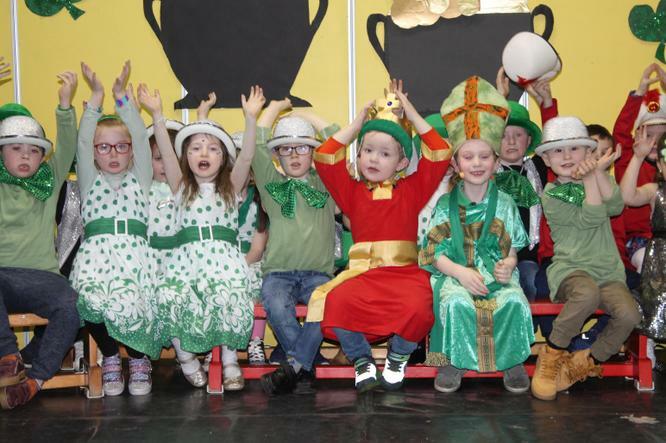 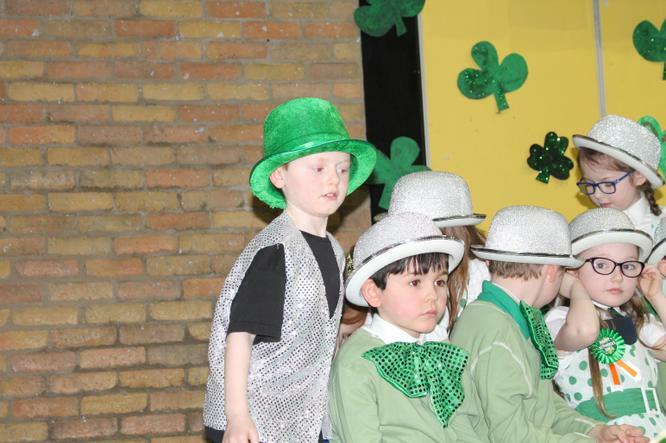 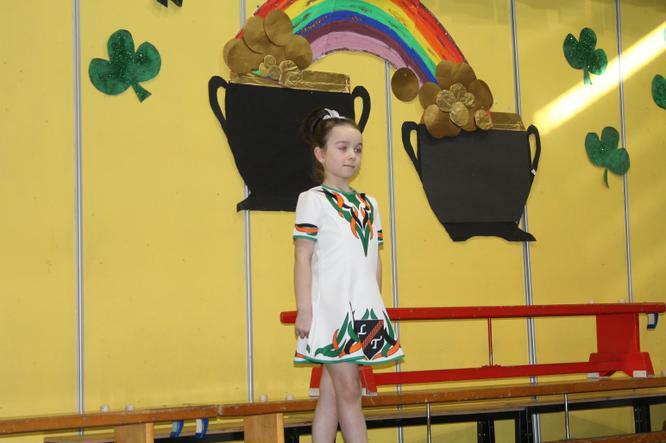 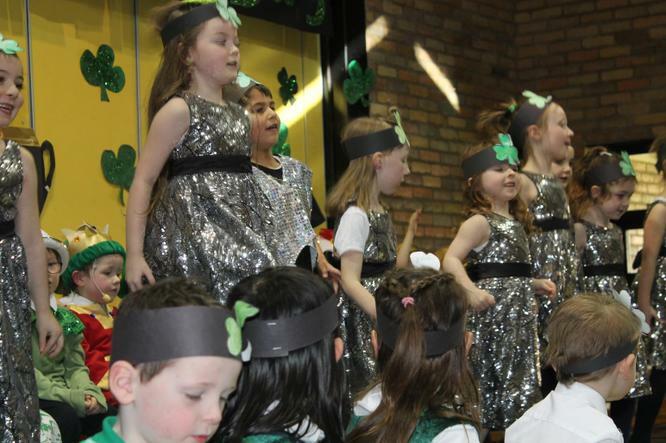 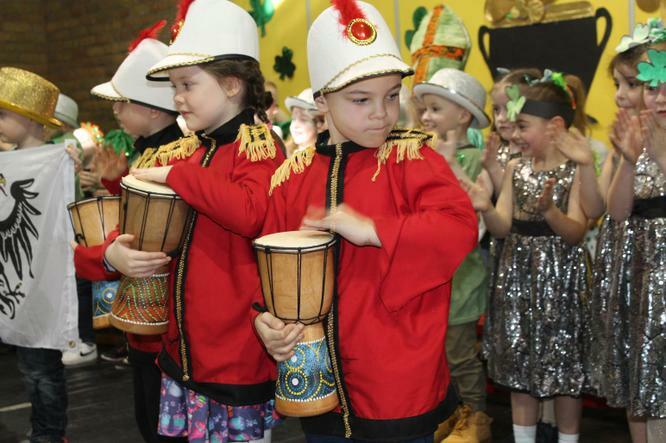 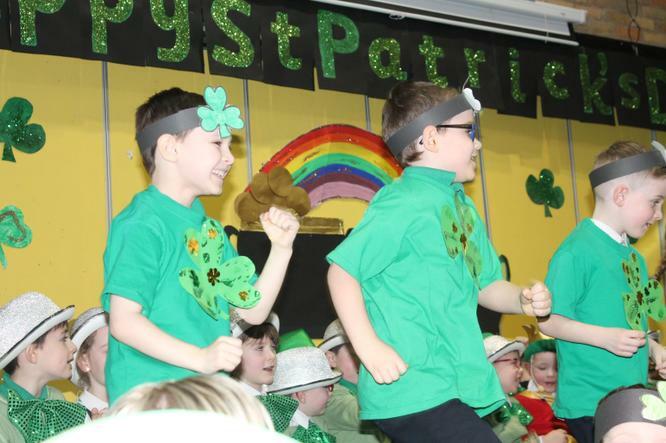 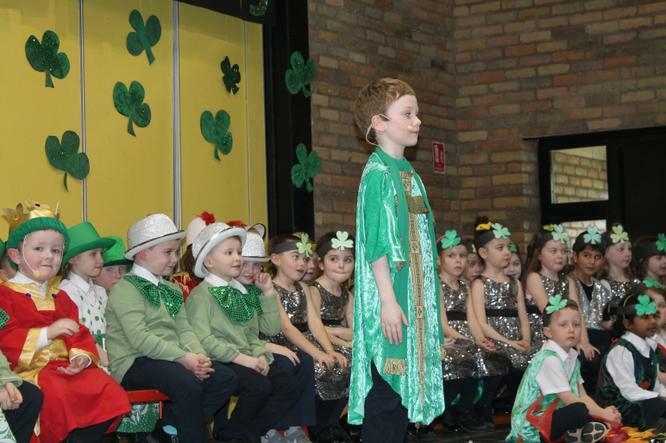 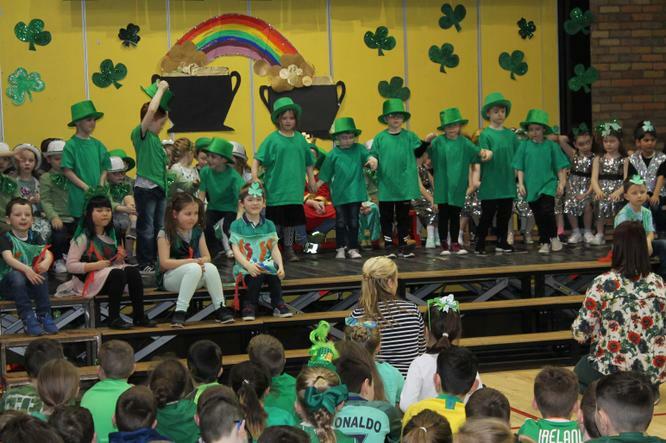 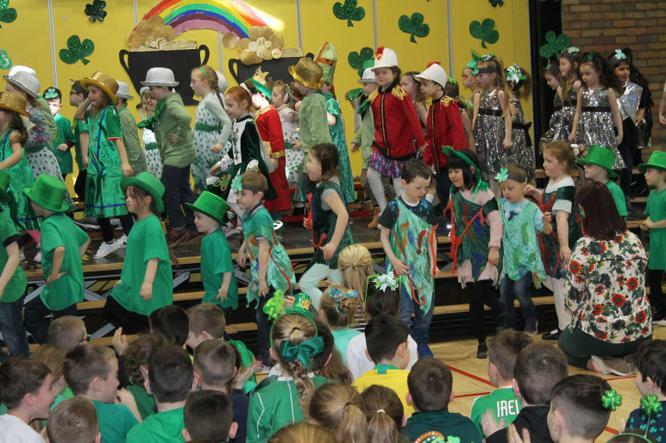 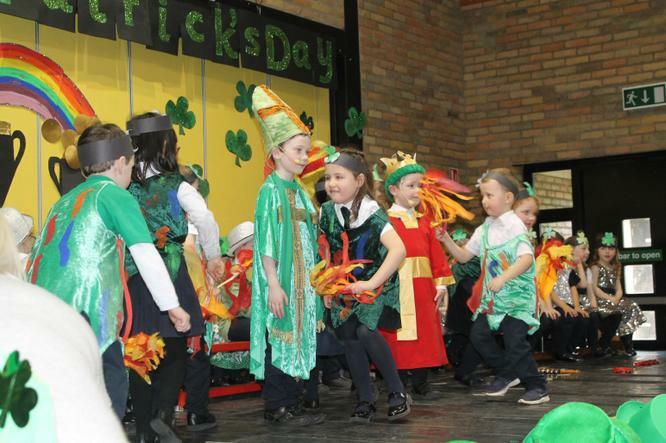 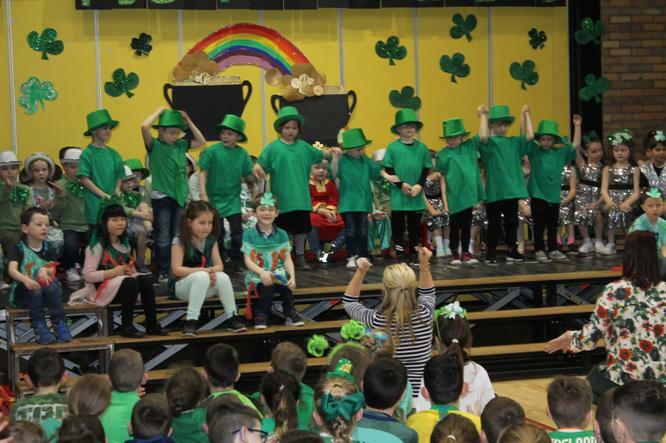 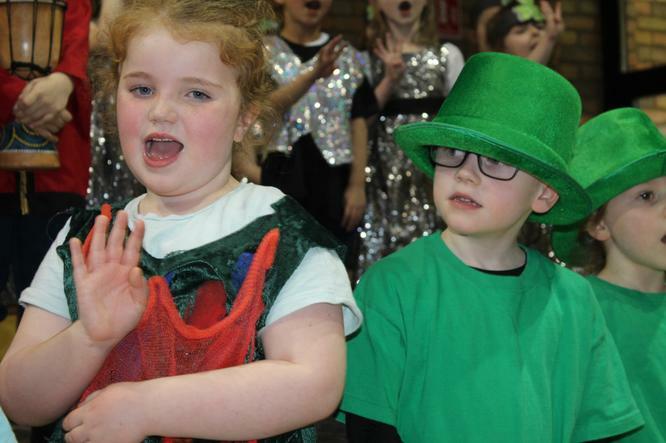 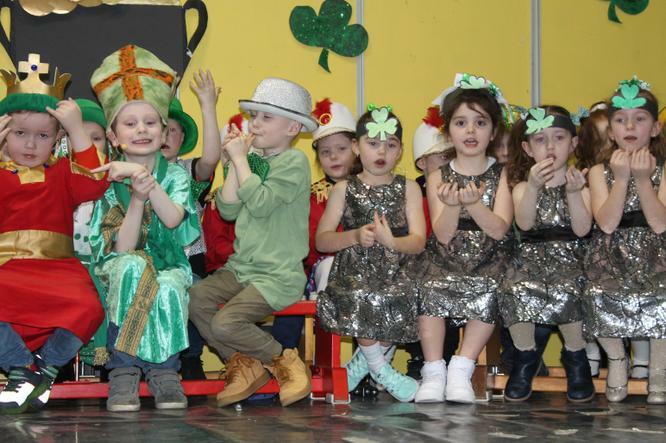 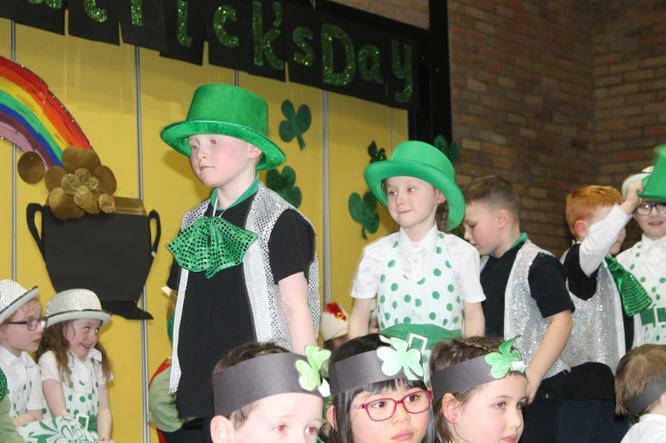 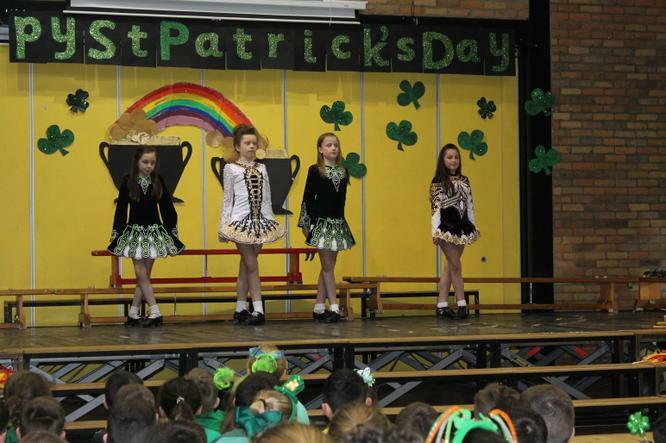 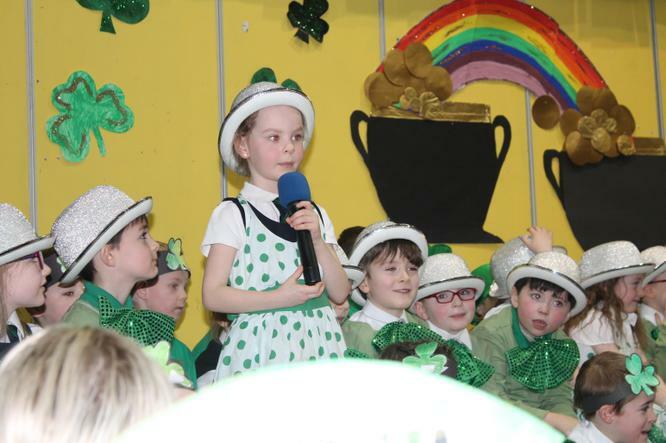 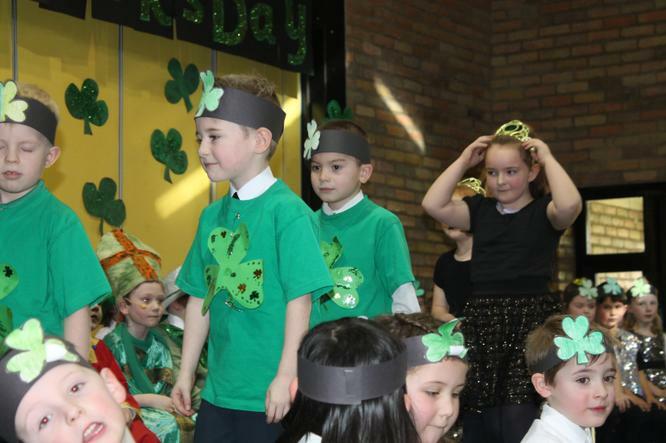 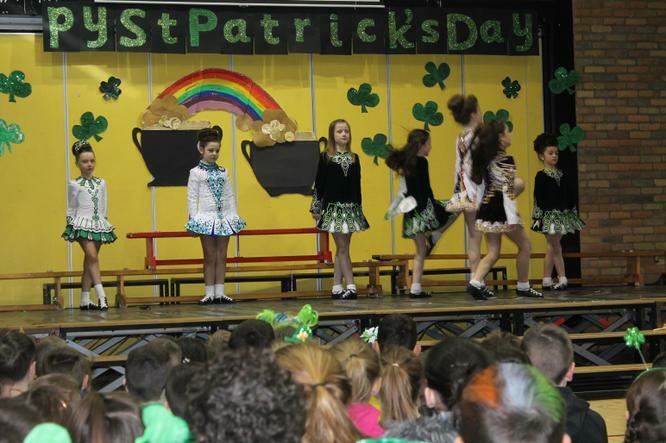 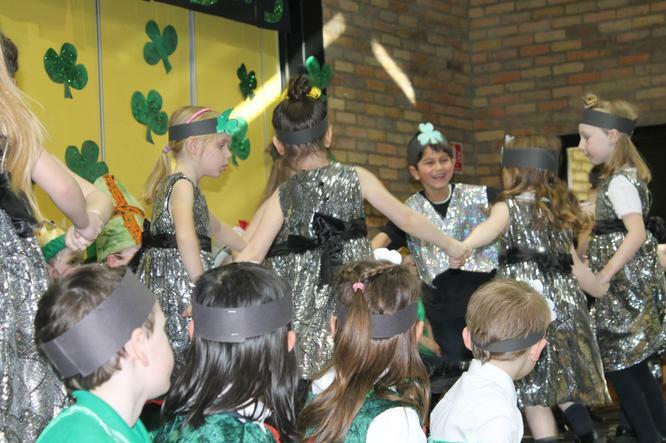 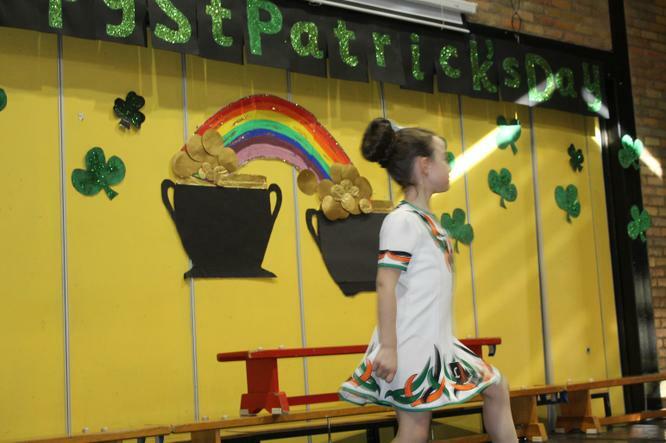 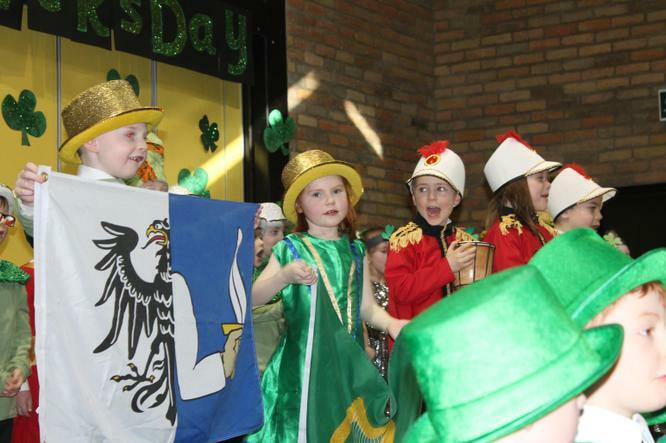 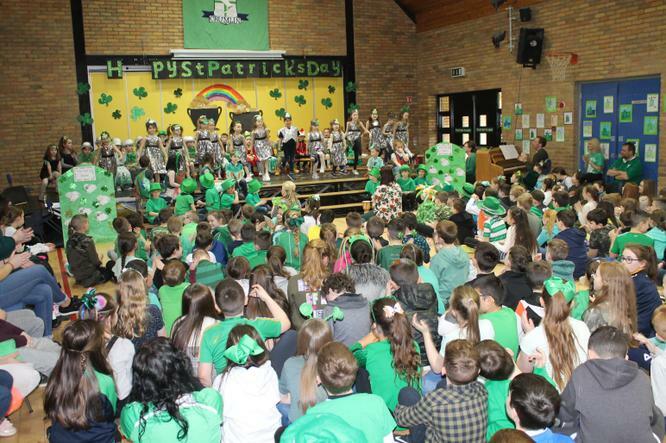 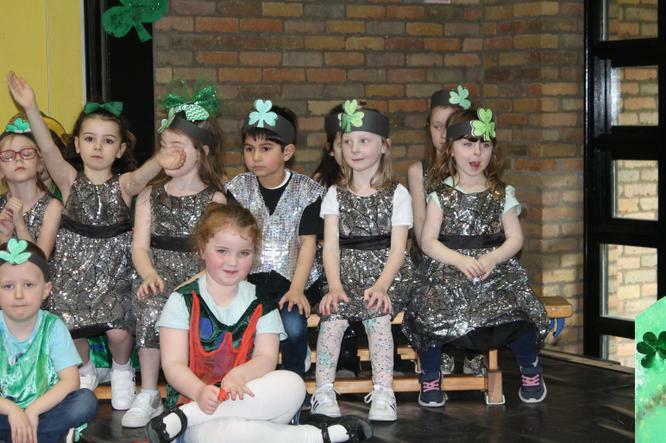 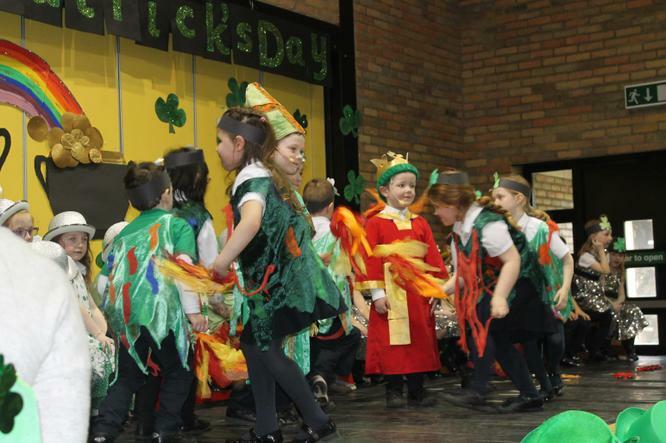 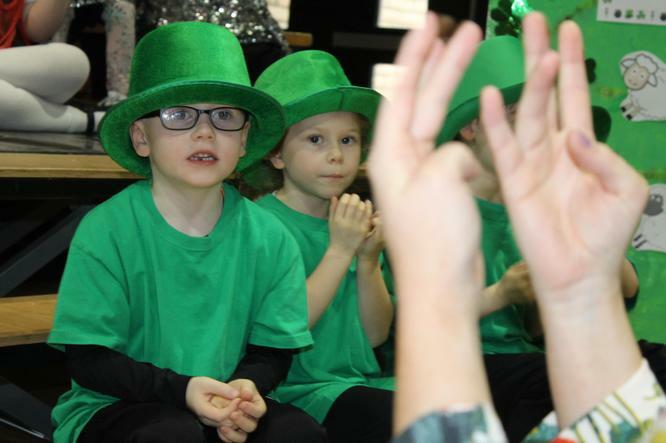 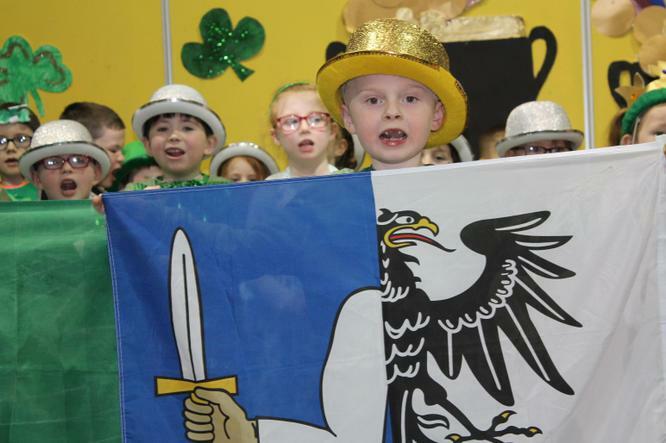 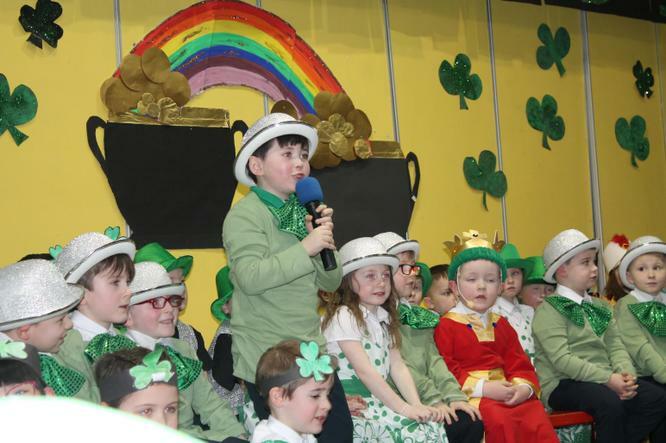 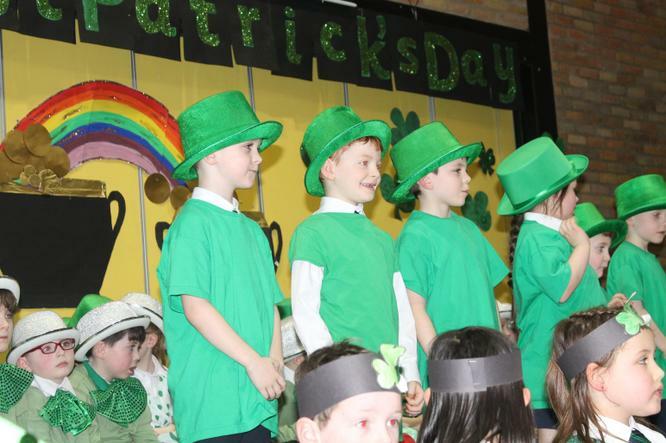 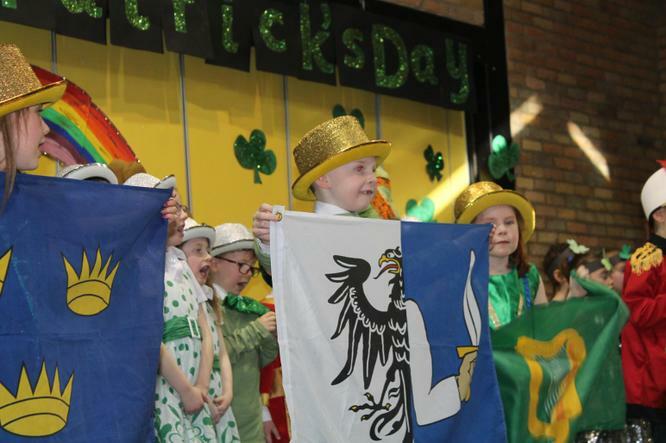 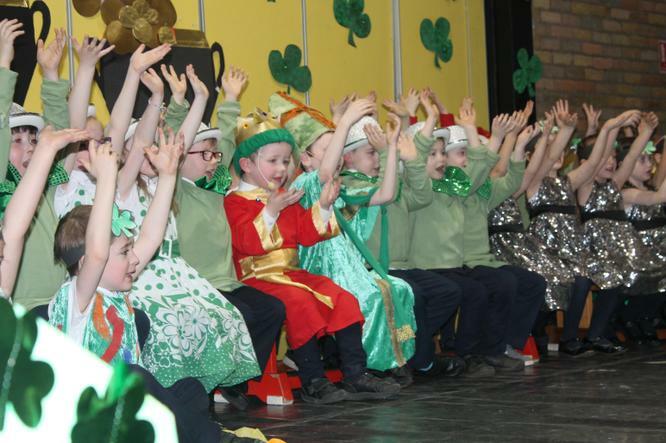 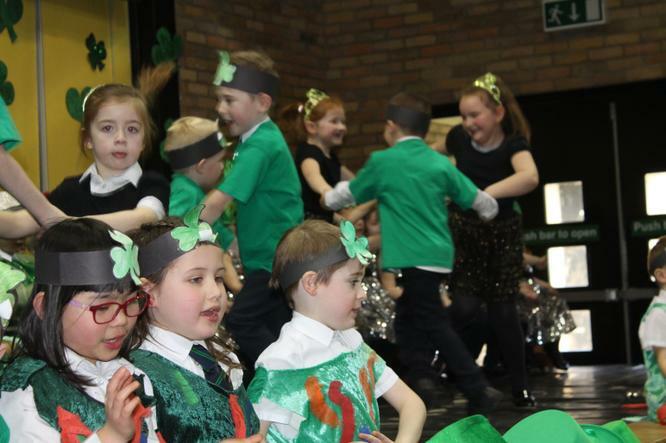 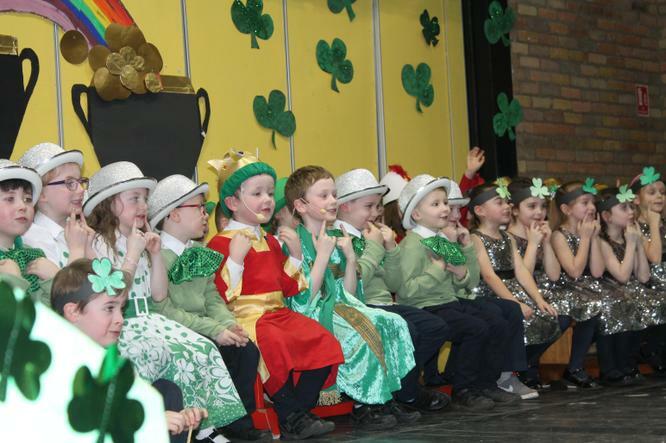 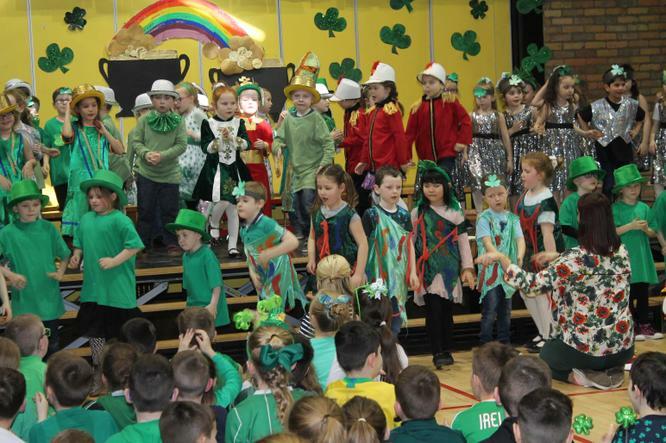 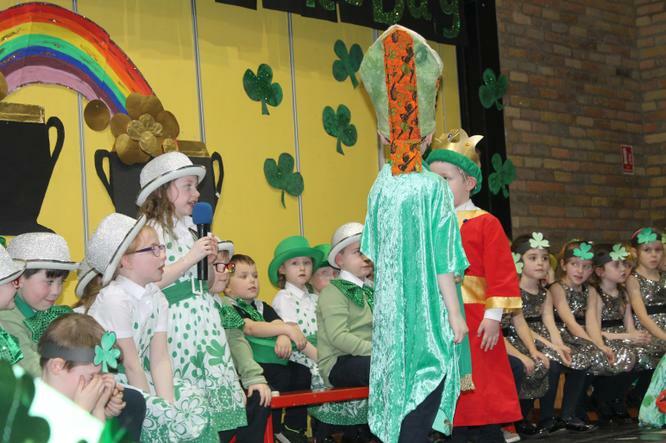 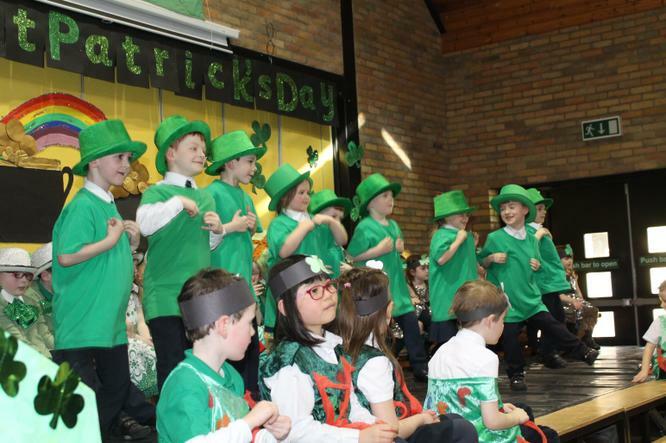 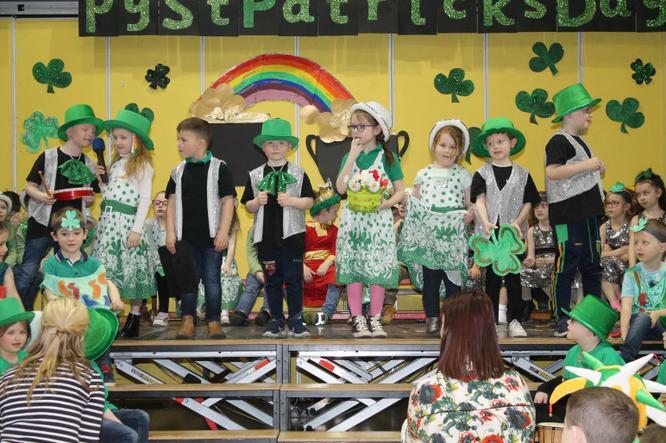 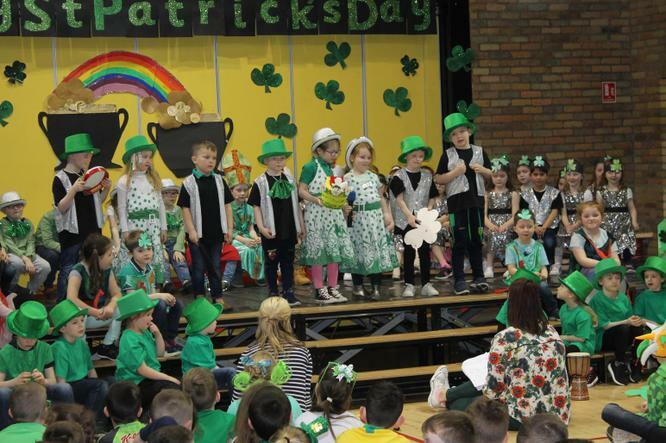 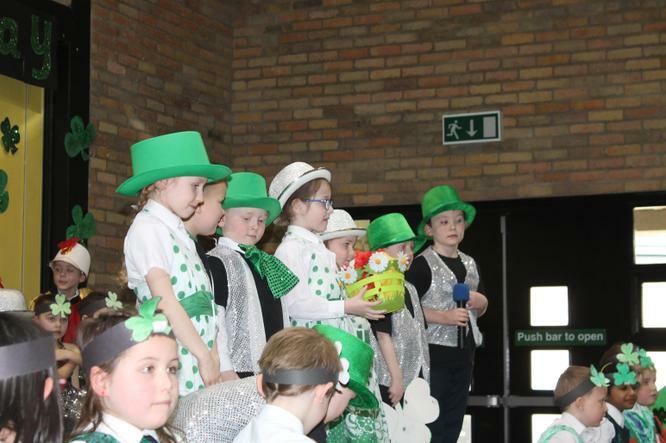 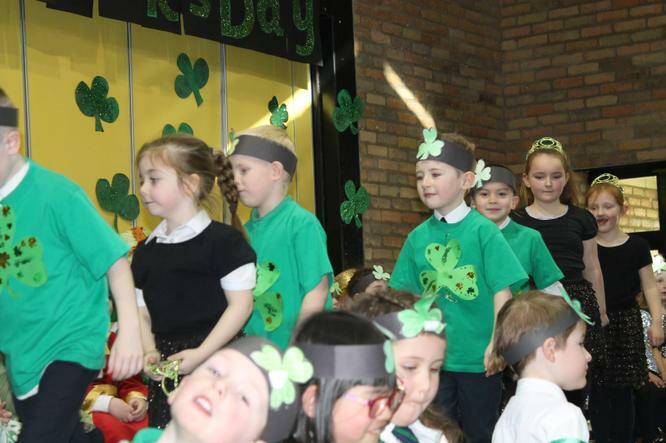 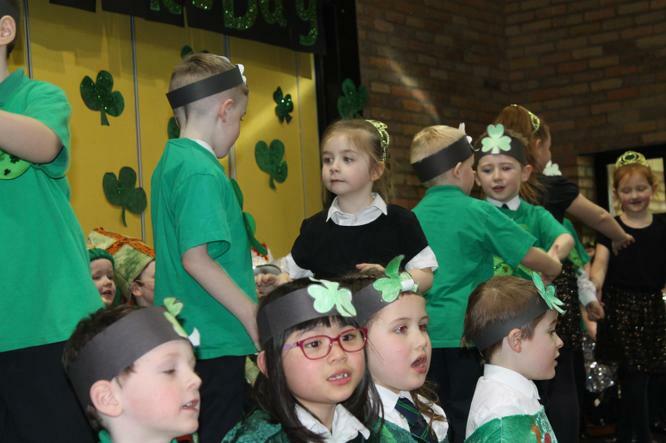 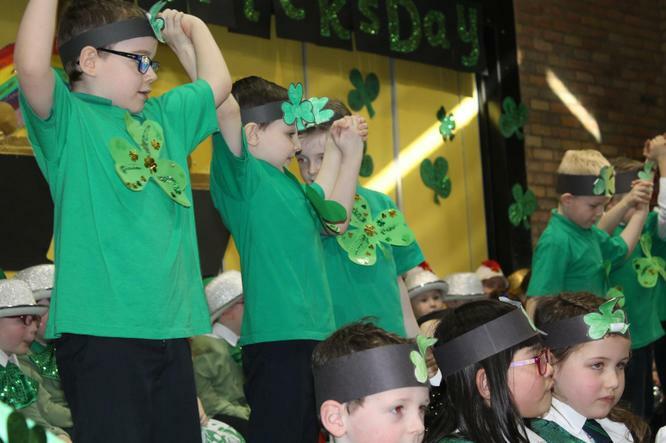 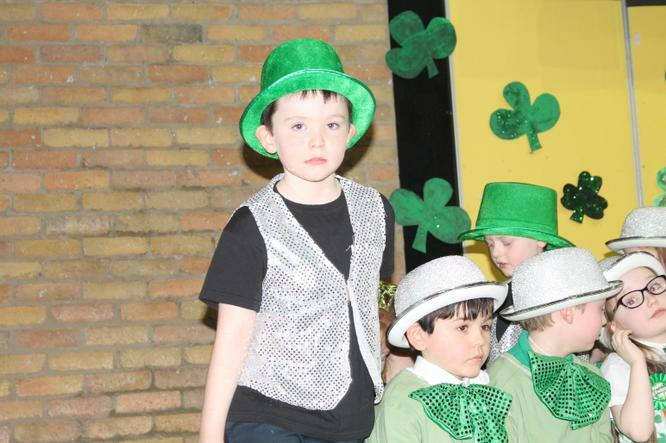 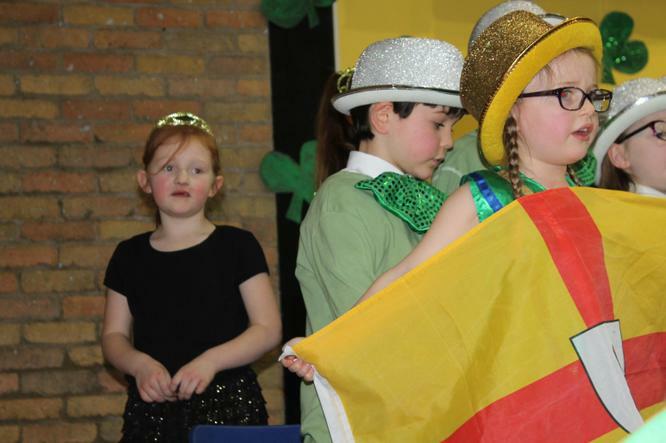 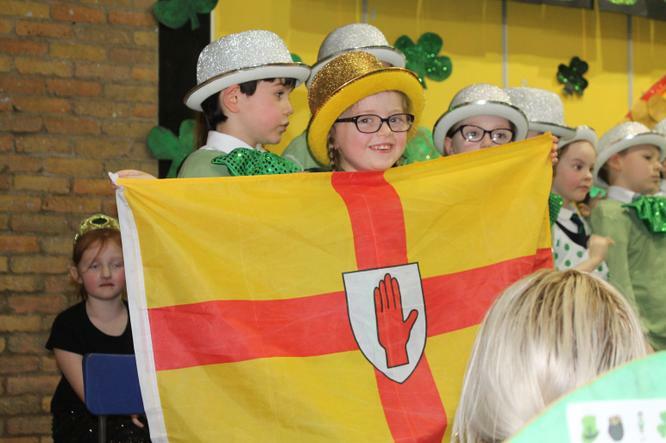 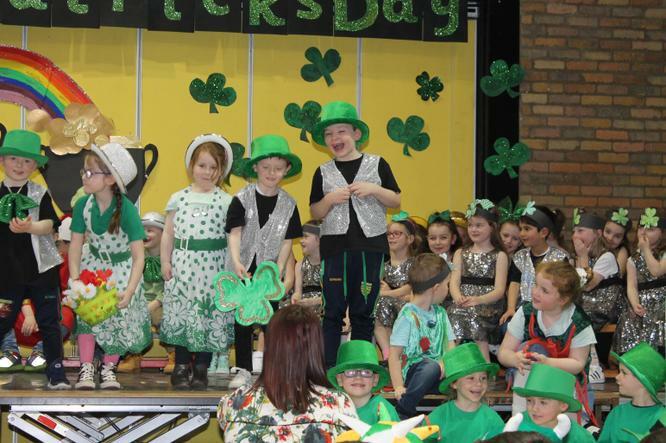 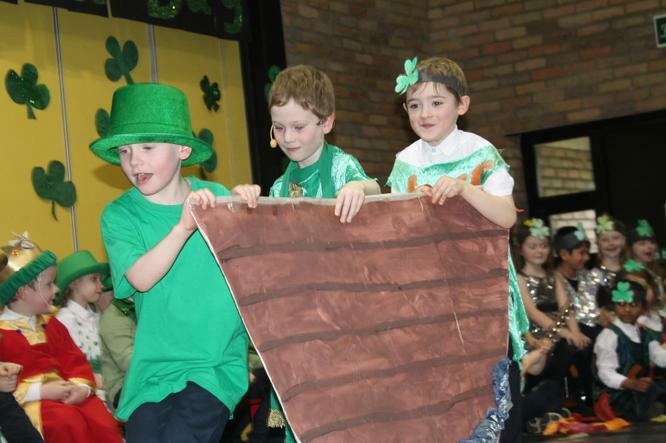 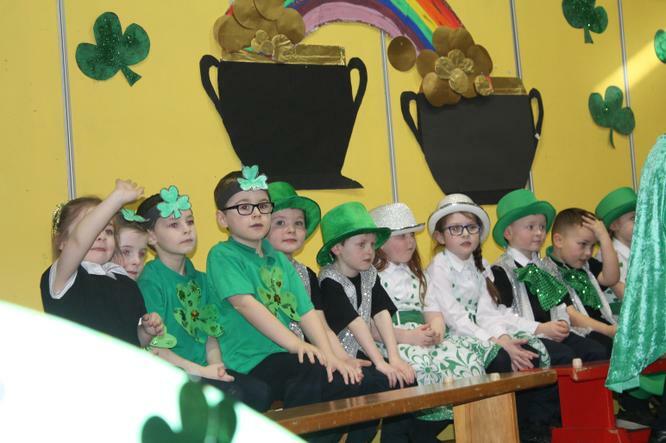 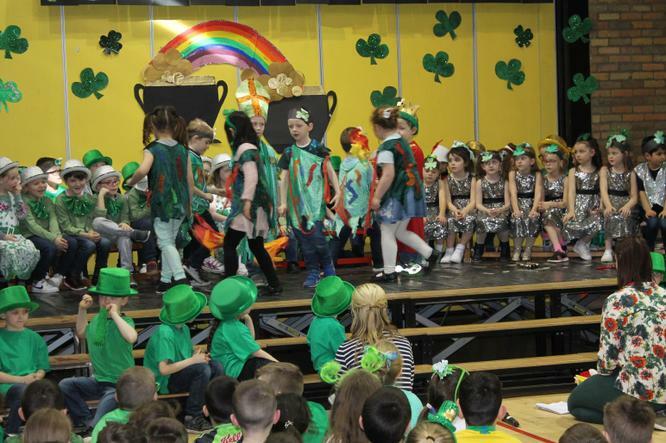 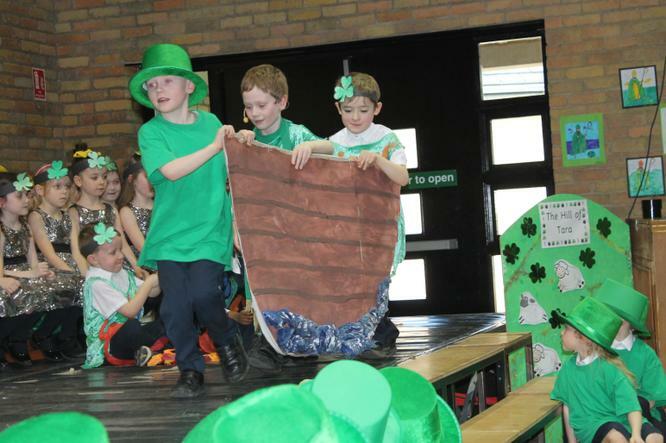 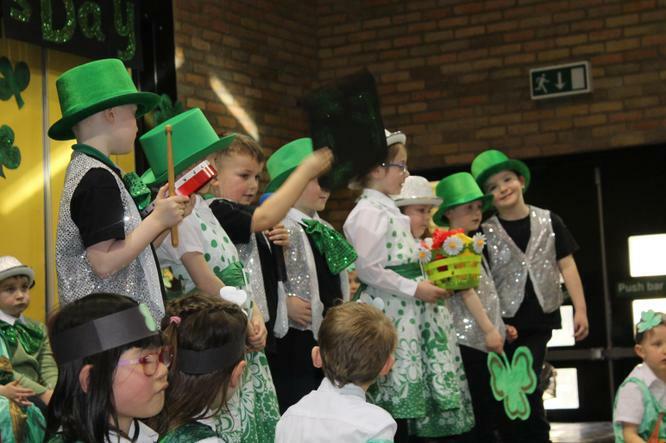 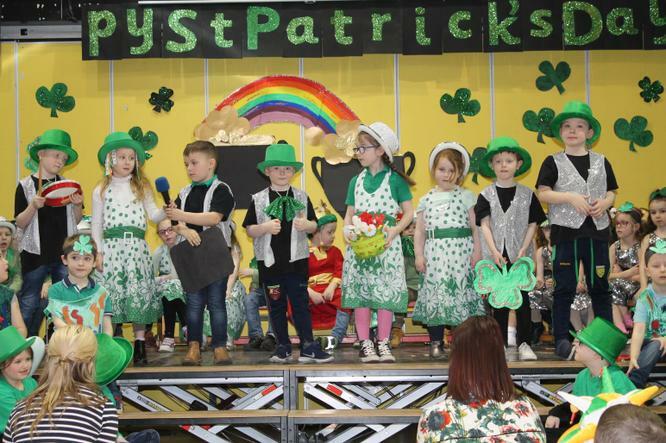 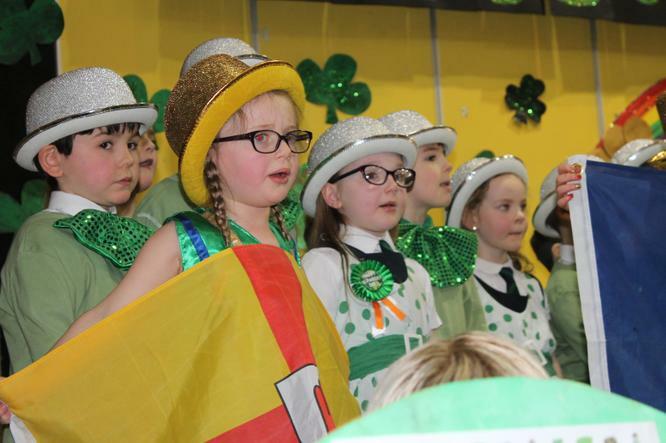 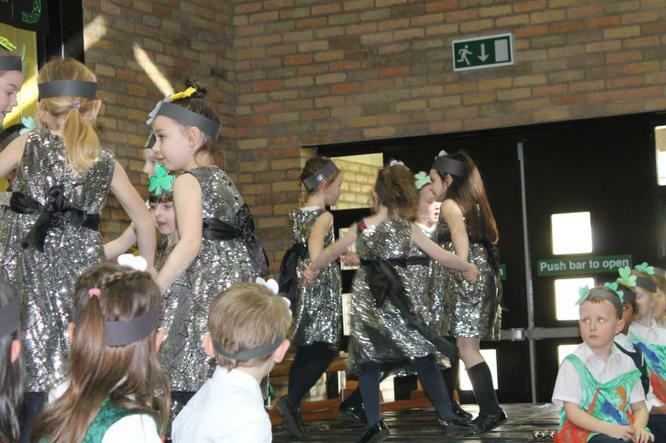 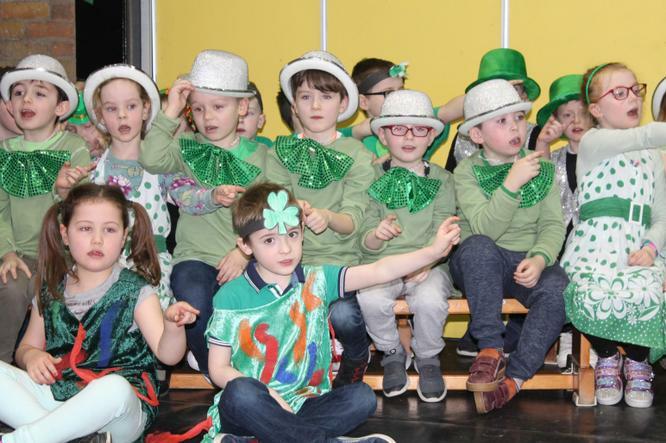 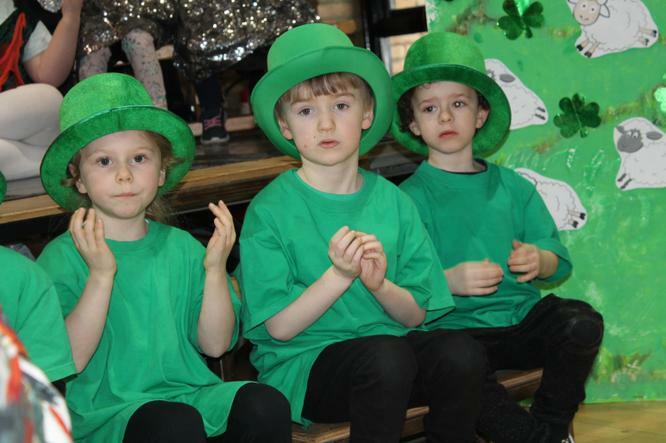 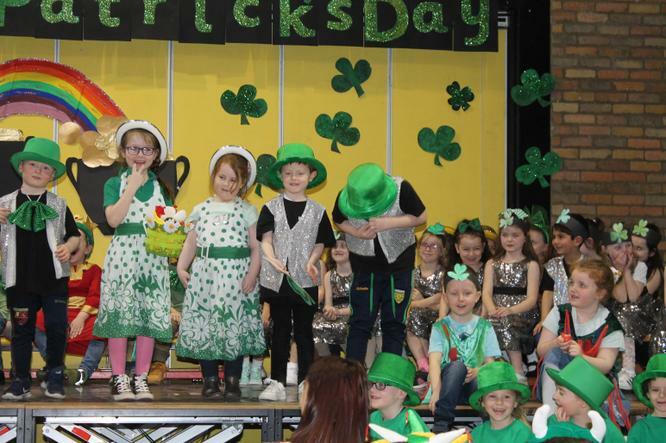 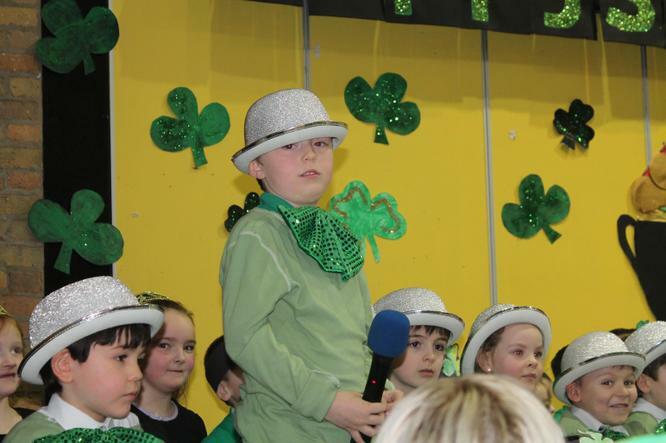 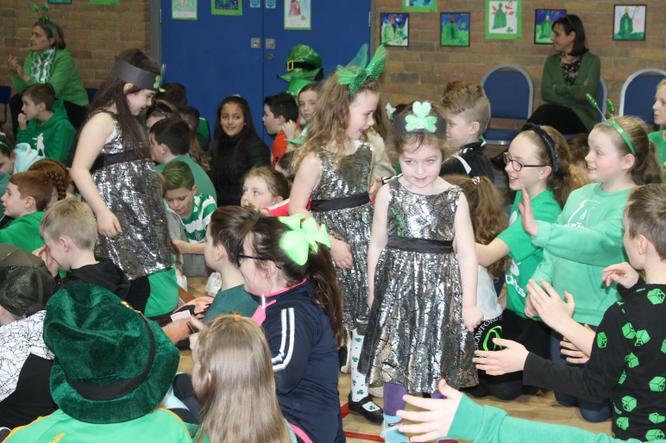 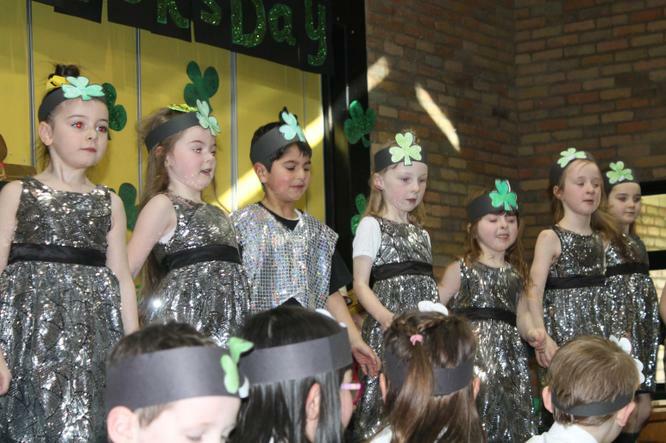 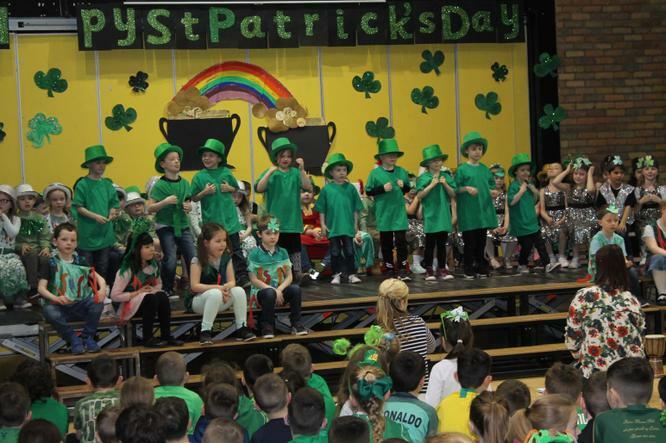 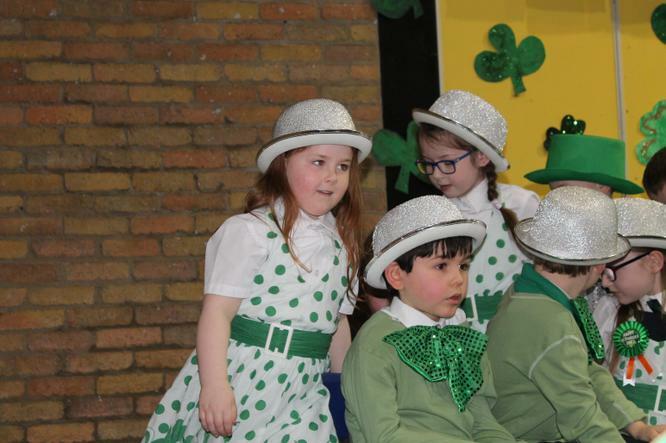 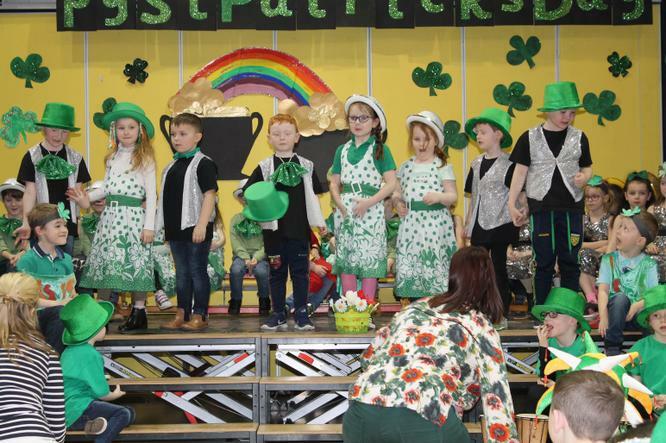 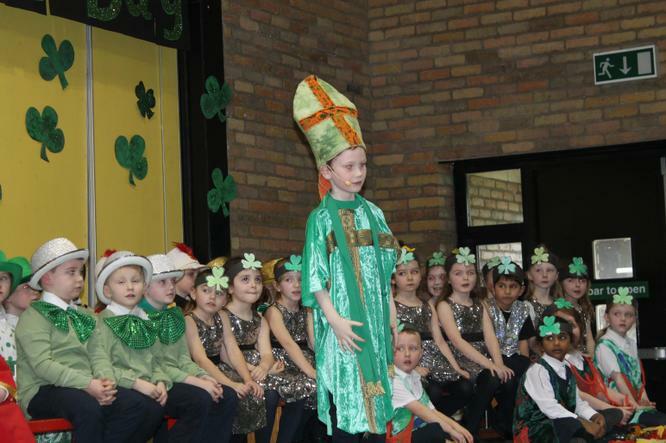 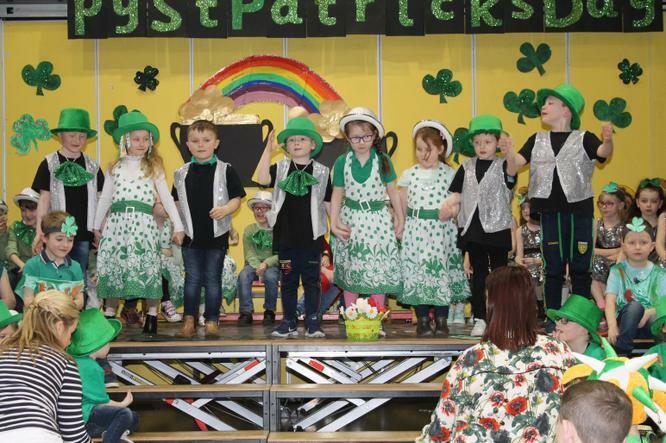 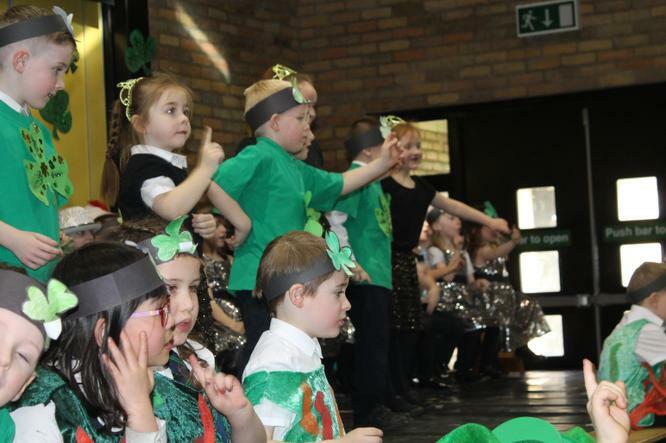 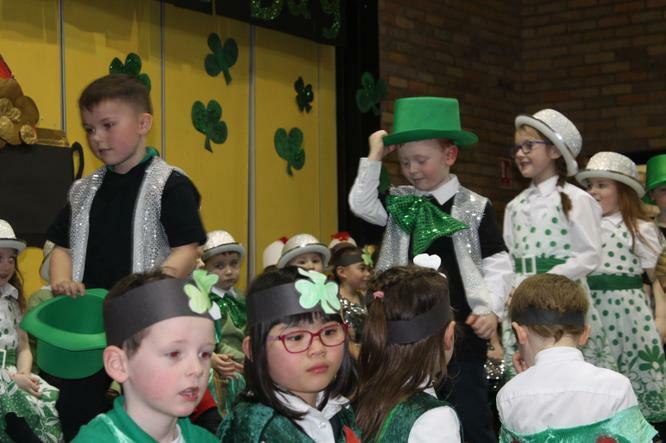 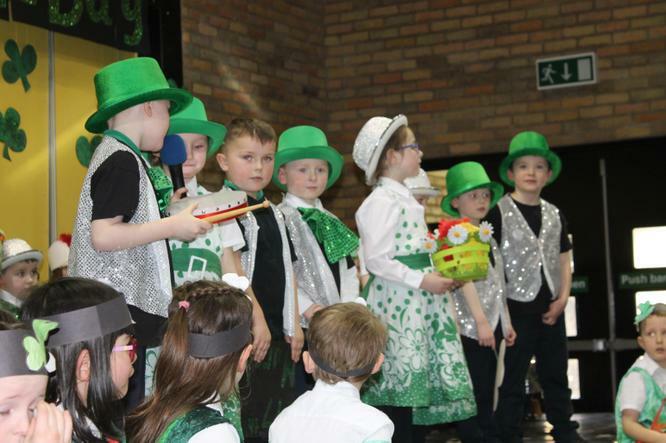 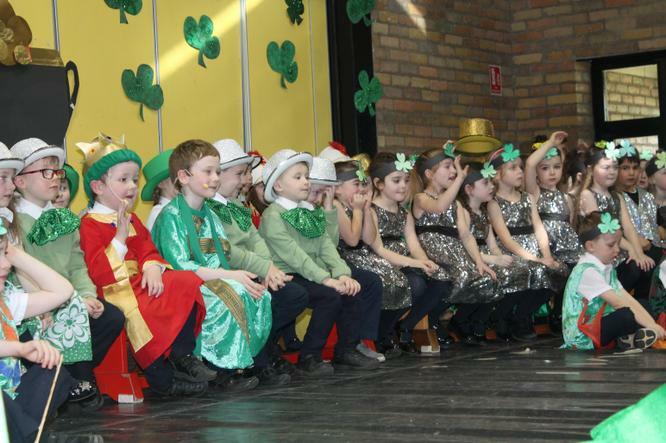 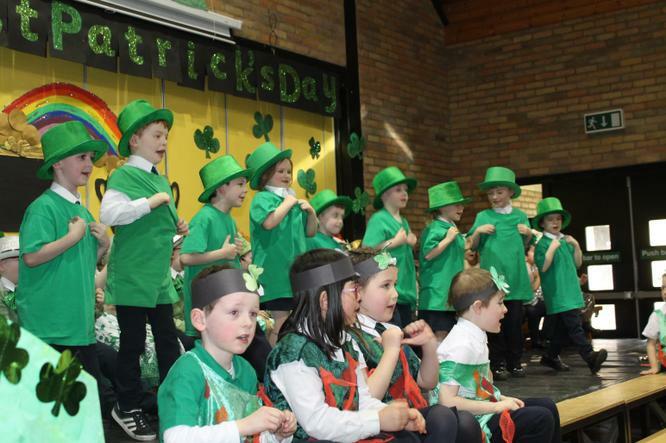 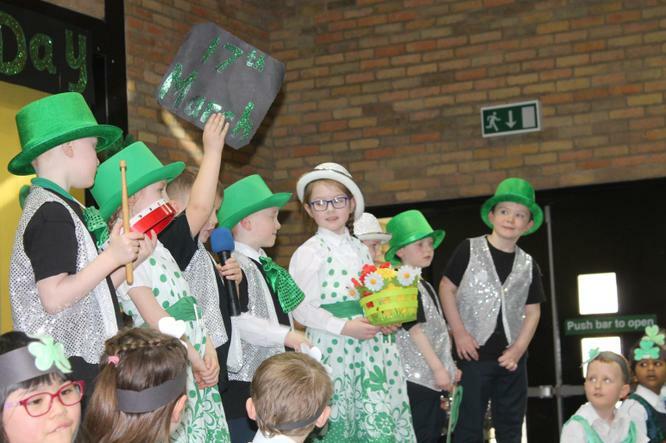 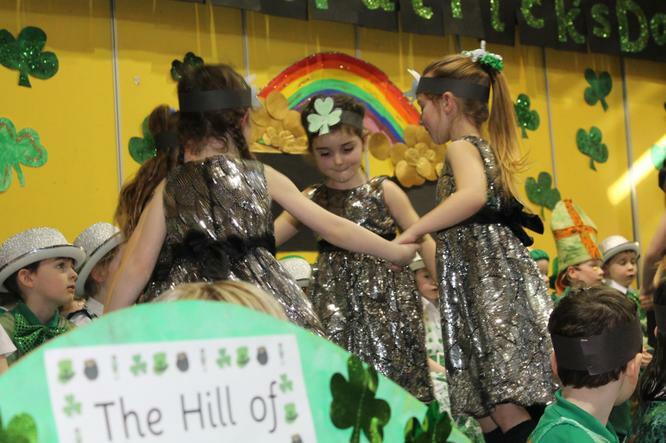 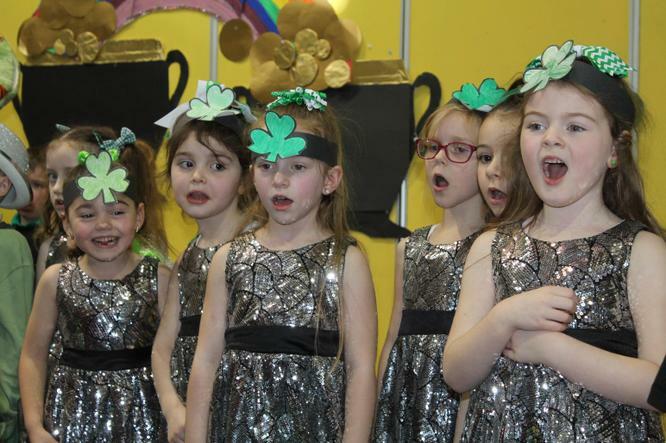 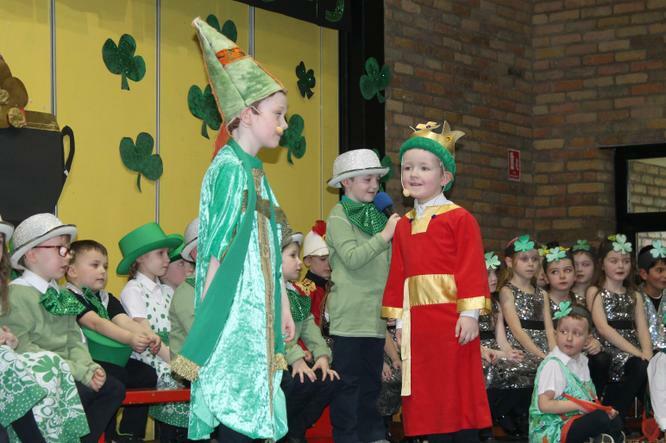 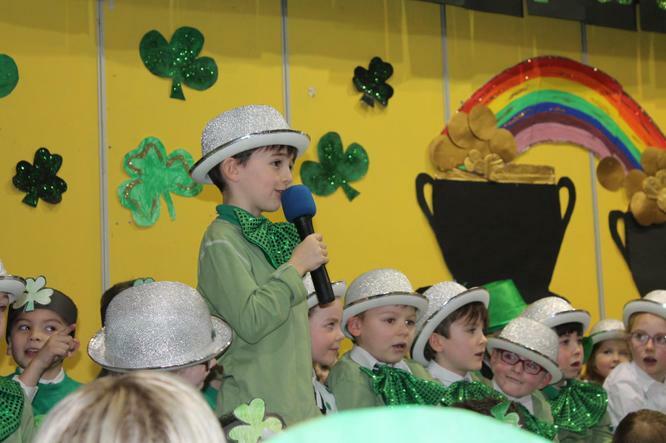 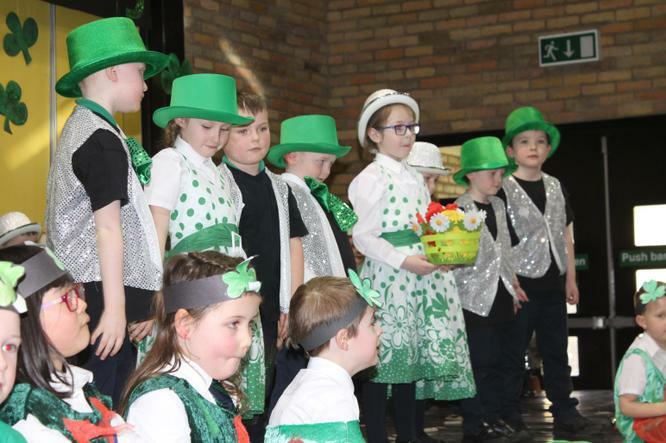 Many congratulations to our wonderful Year 2 children on their St. Patrick's Day Concert. 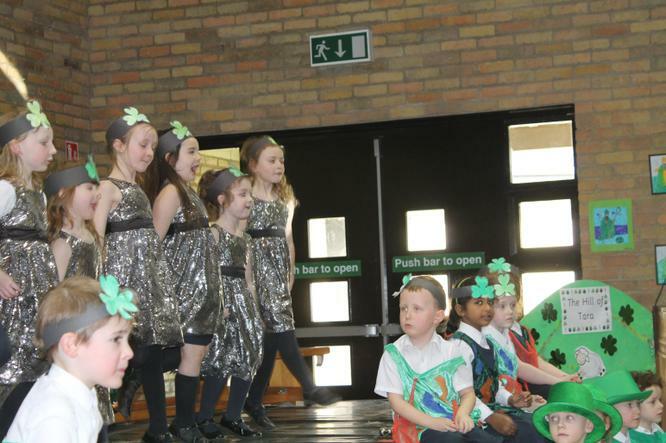 They were just amazing, wonderful dancing, singing, acting, story-telling and a few jokes thrown in as well! 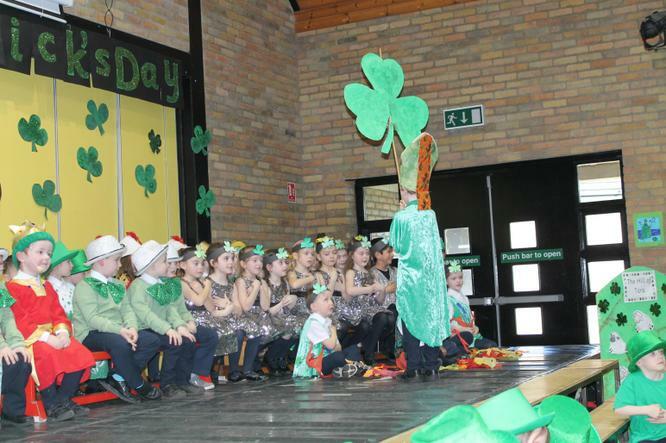 Thank you to the Year 2 team for the great concert and for their interpretation of River dance! 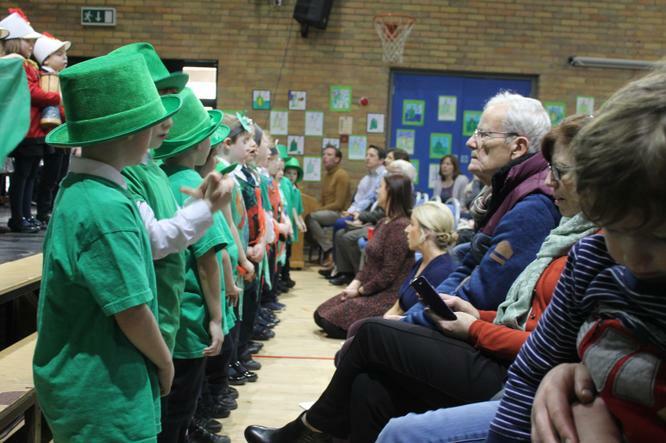 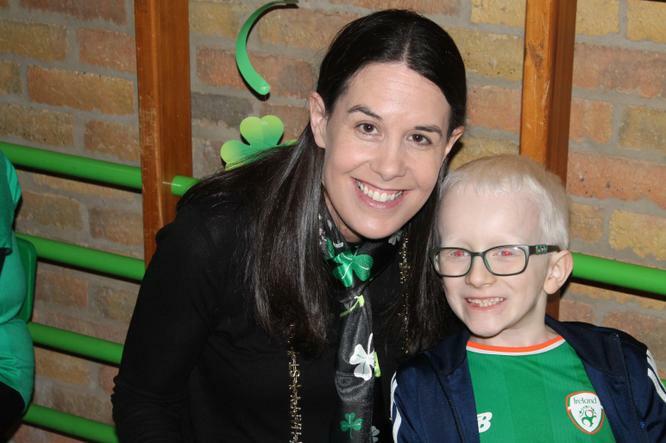 Many thanks to Mrs Weldon for the beautiful St. Patrick's Day shortbread for our parents who attended the show. 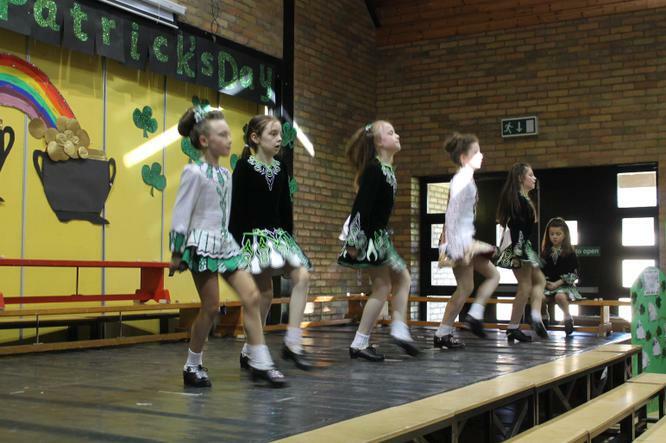 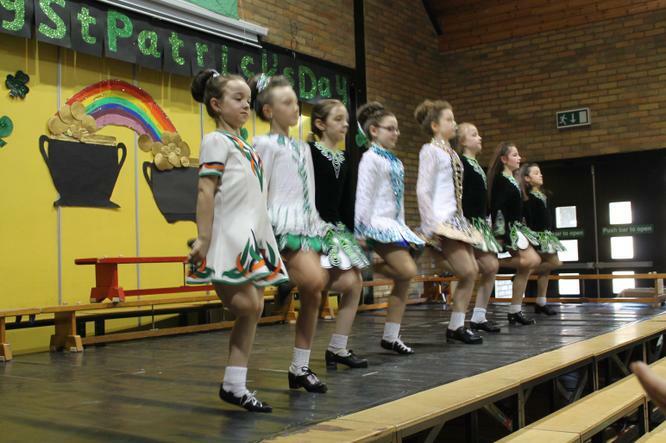 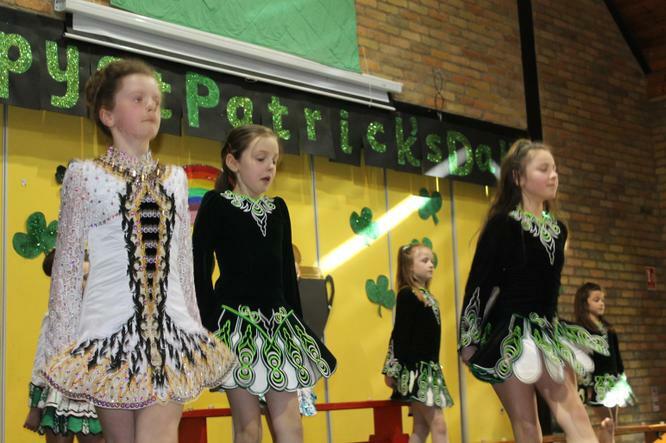 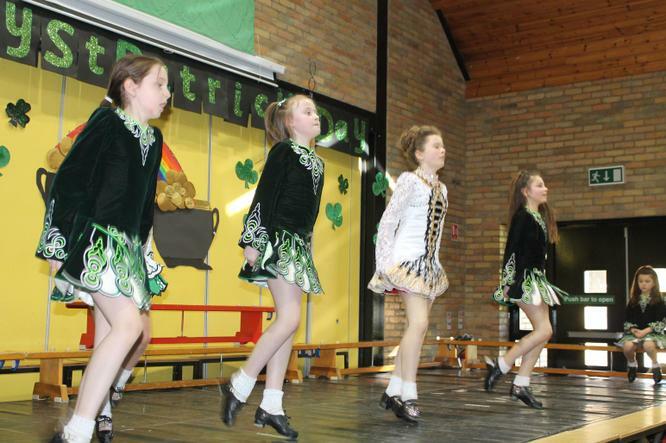 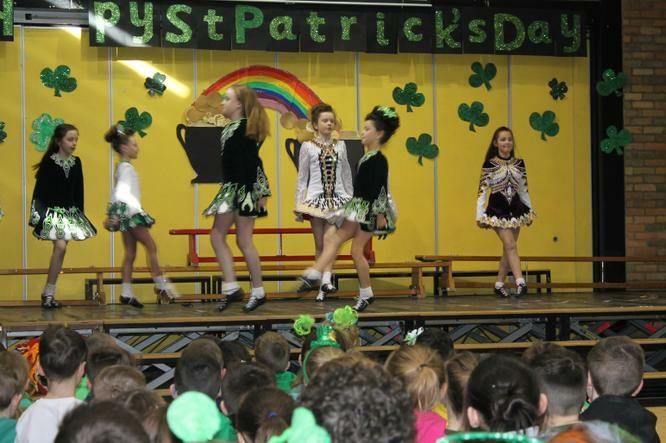 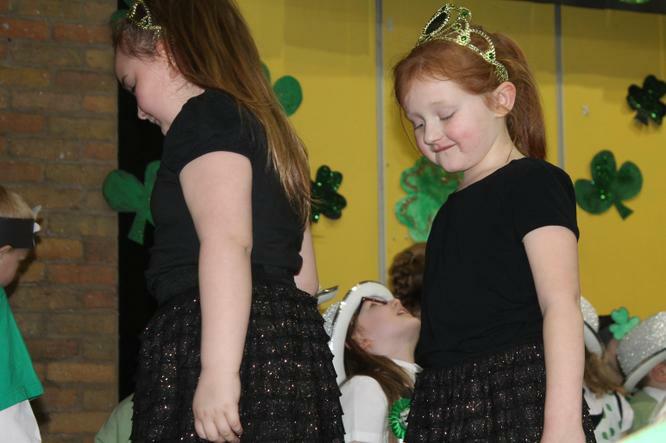 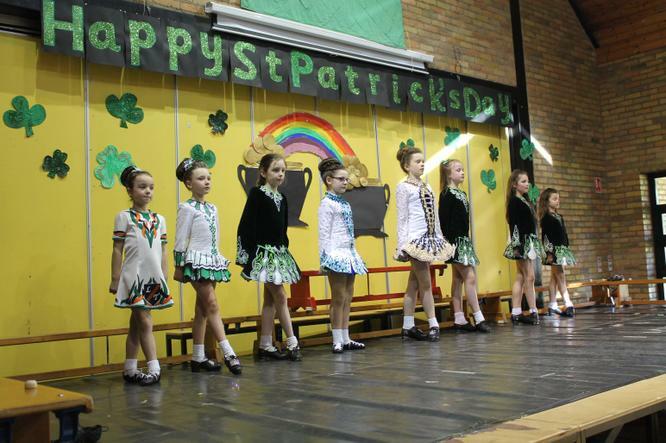 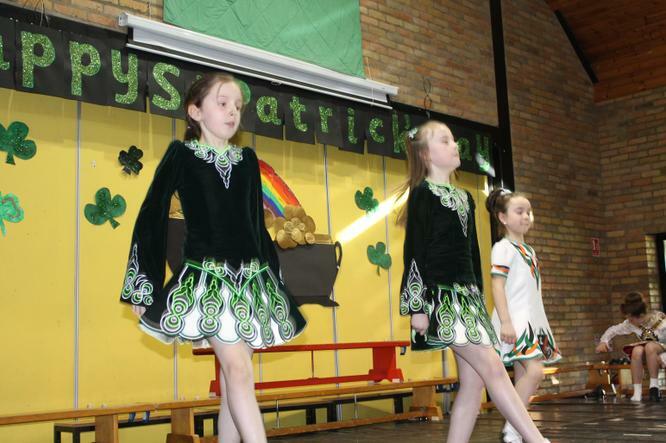 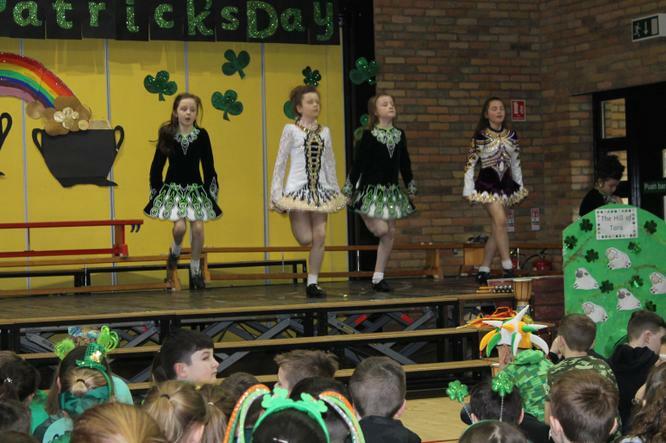 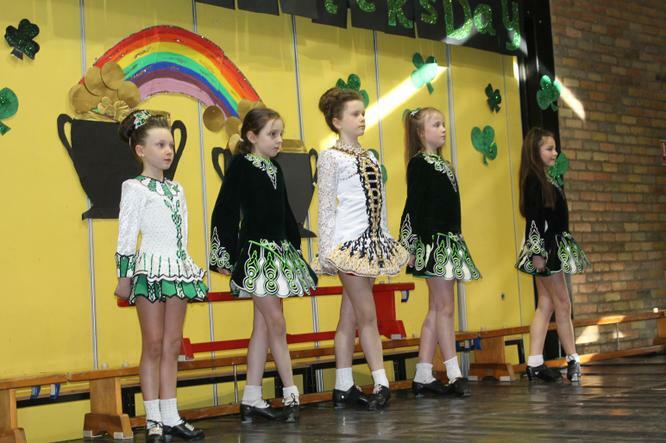 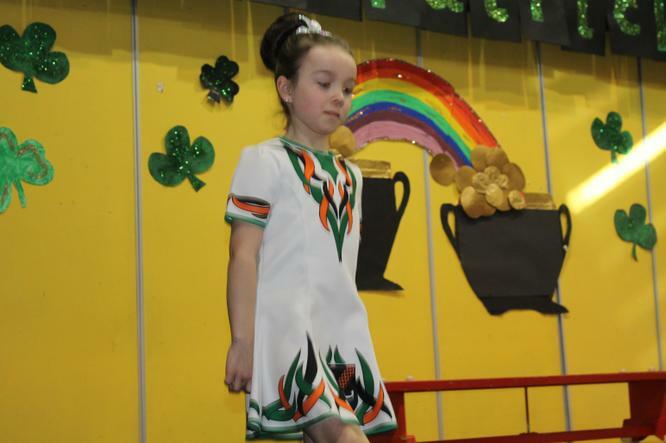 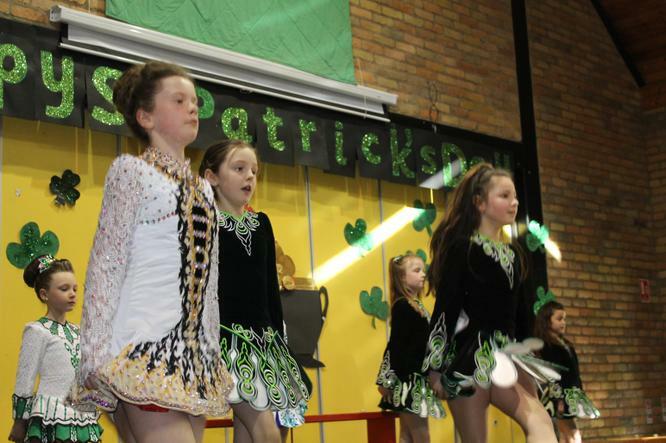 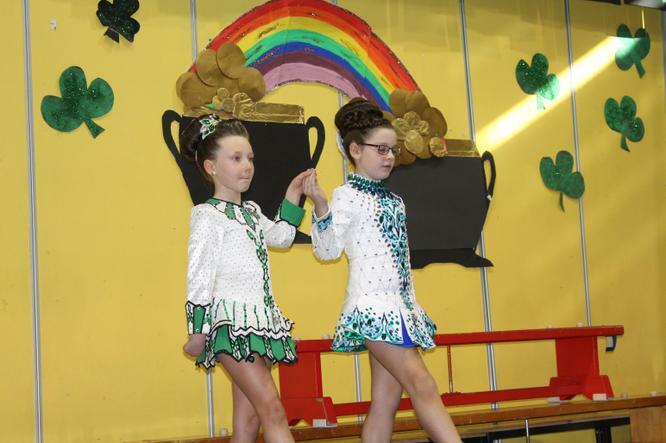 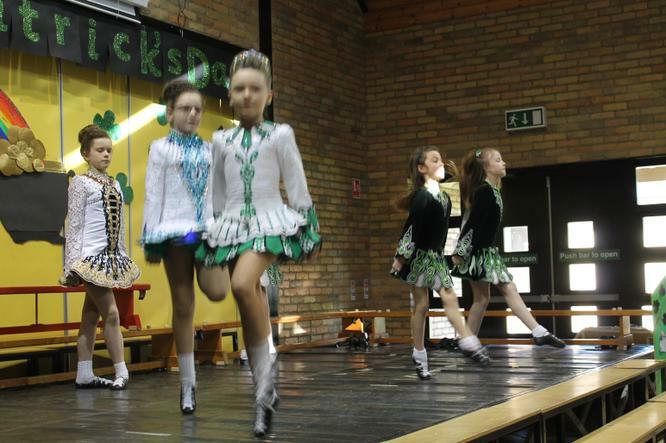 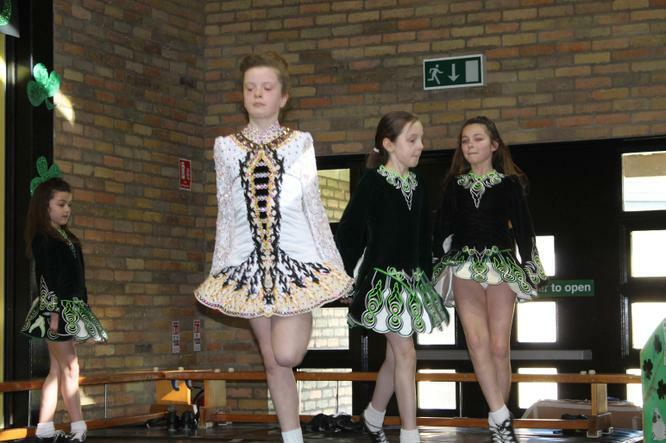 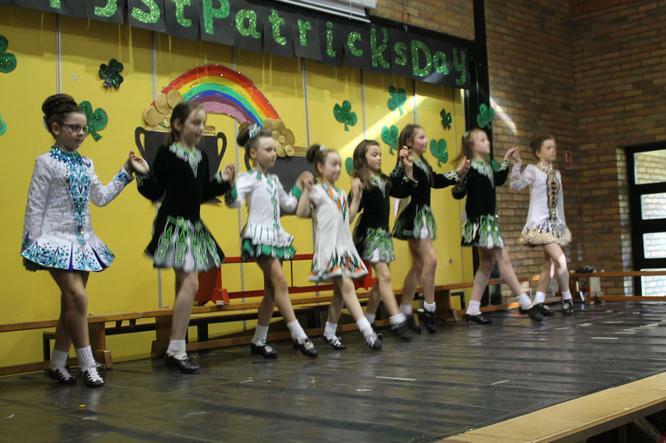 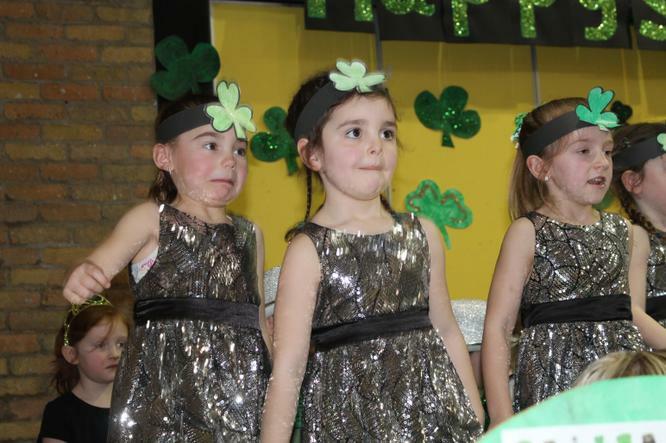 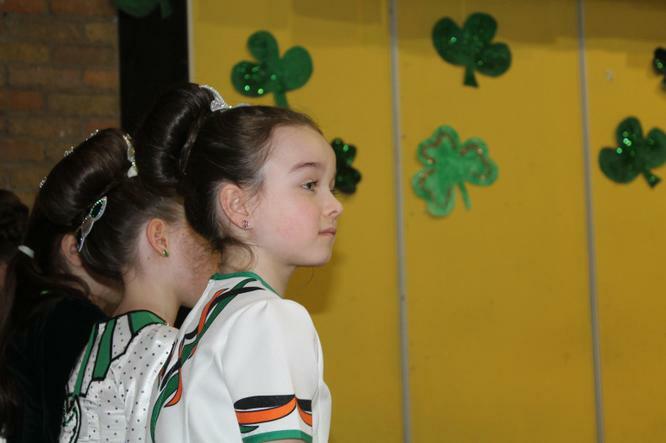 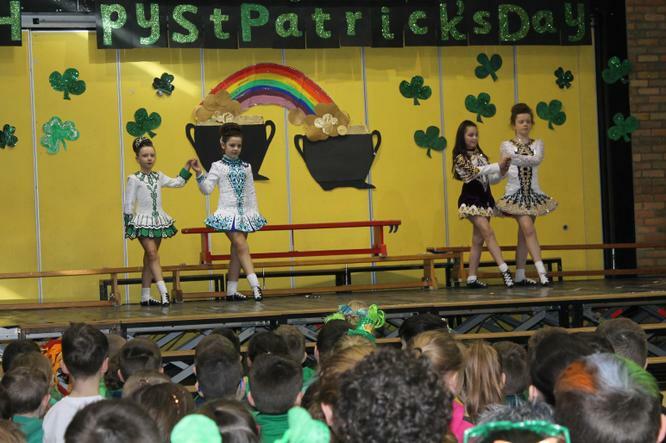 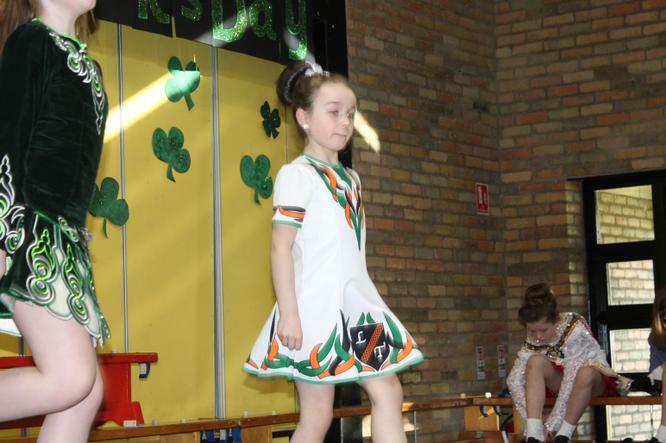 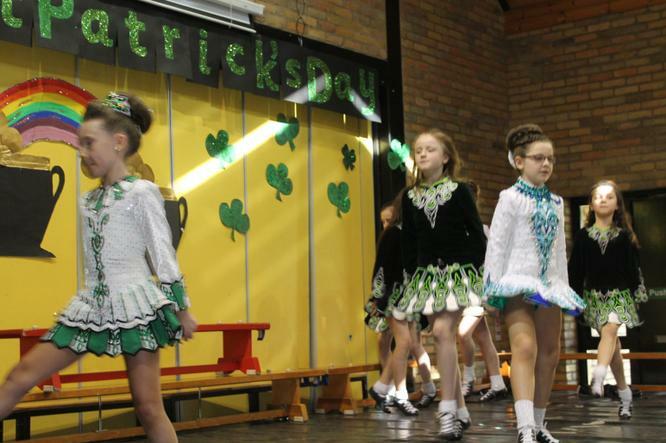 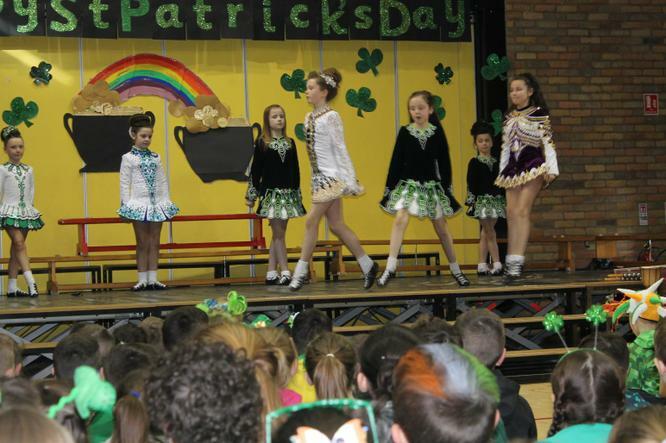 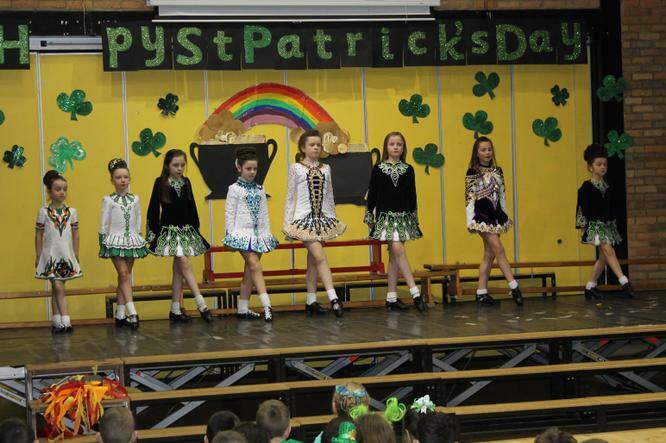 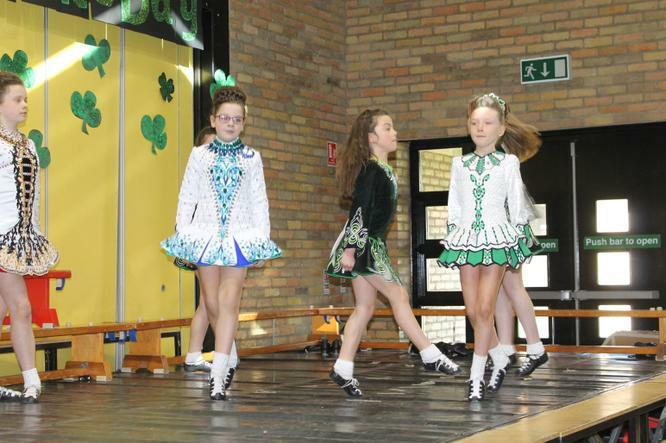 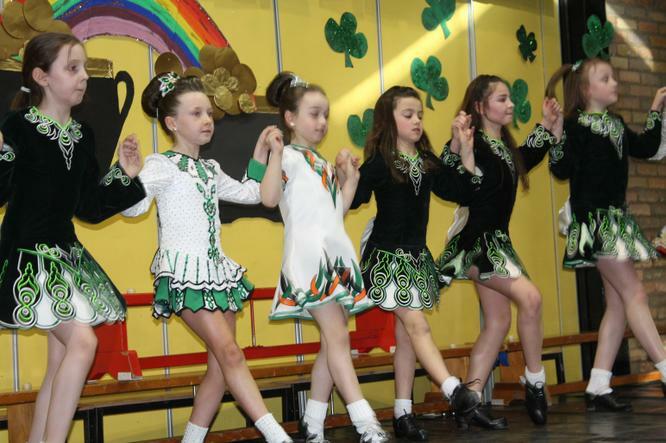 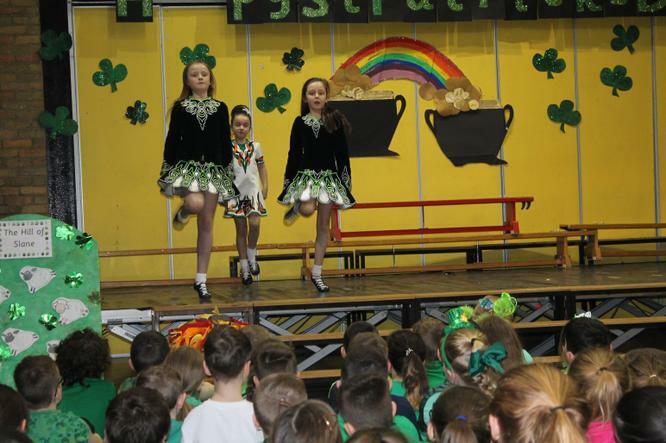 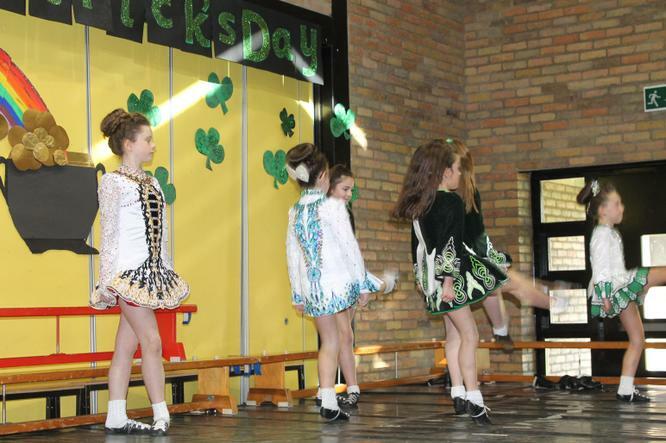 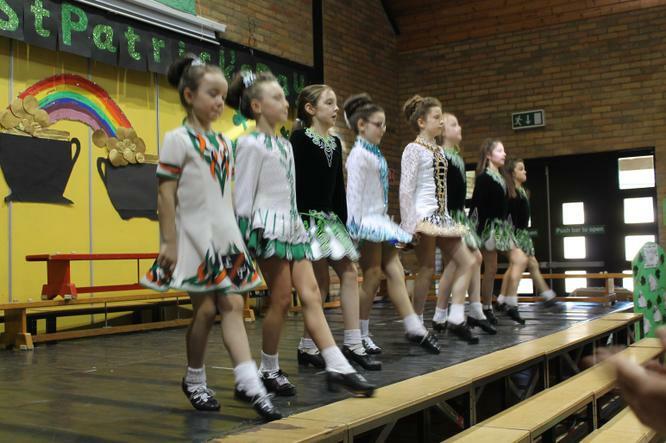 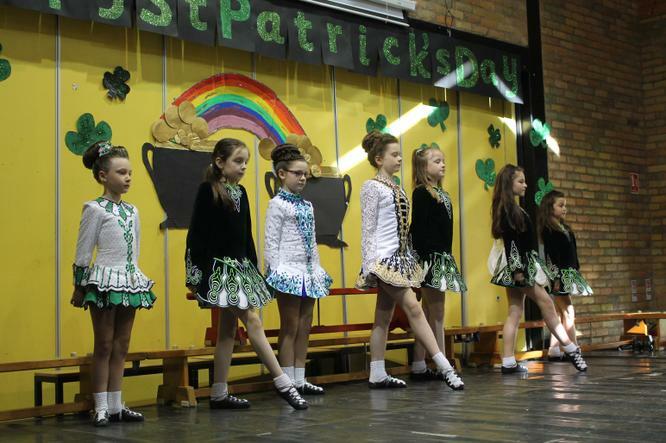 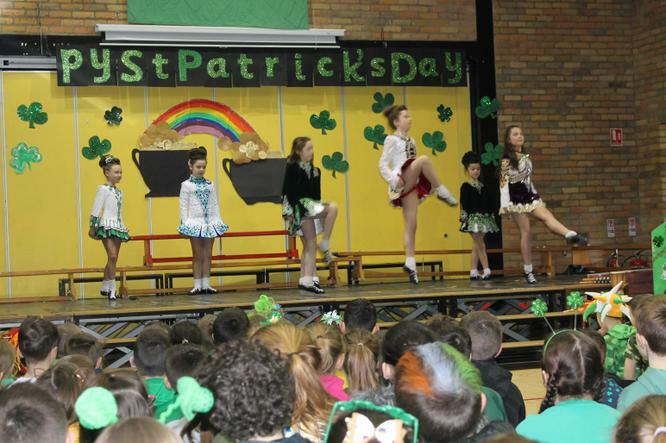 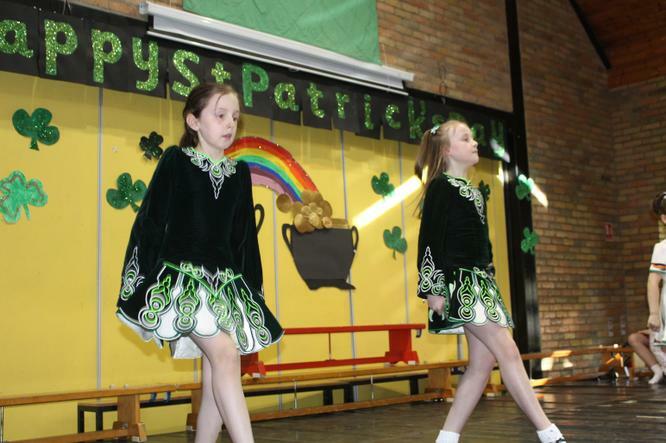 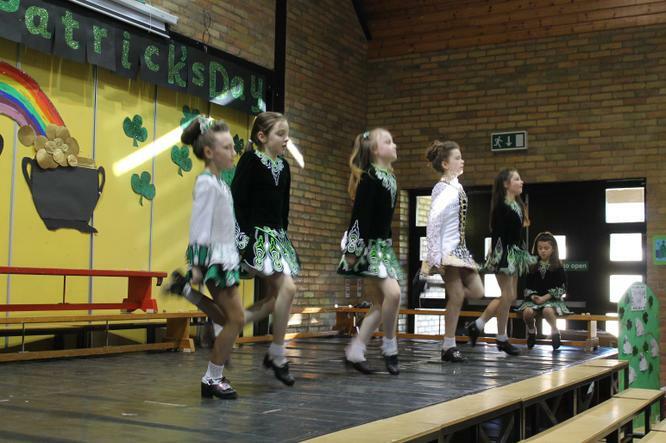 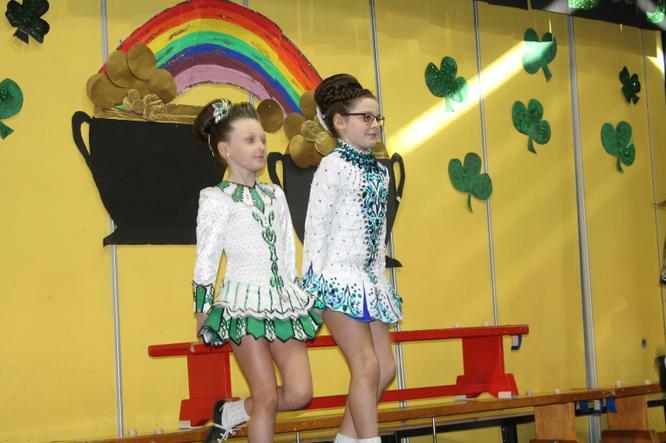 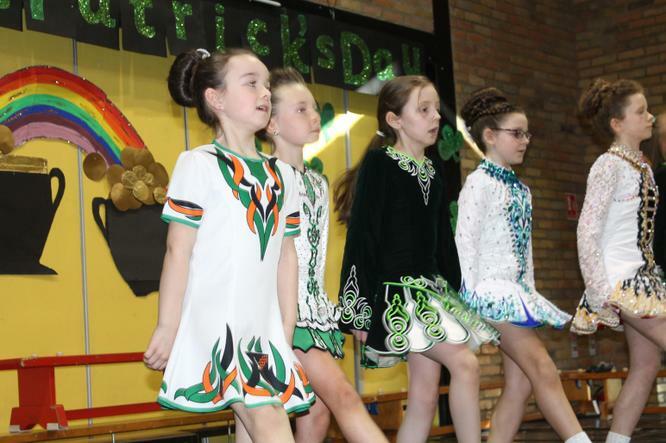 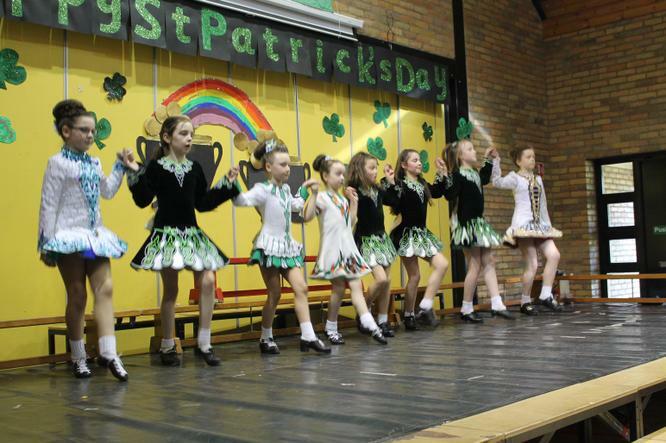 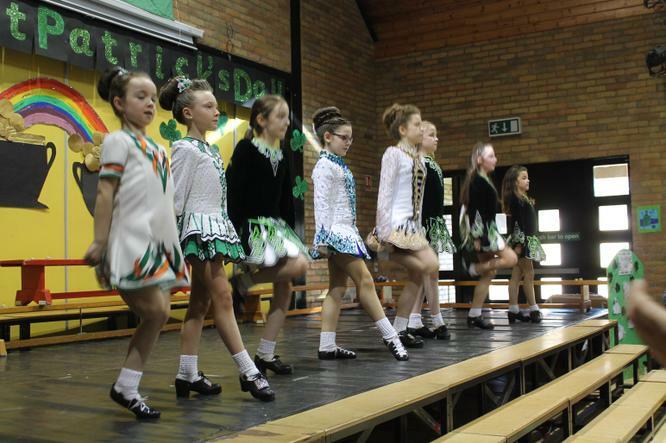 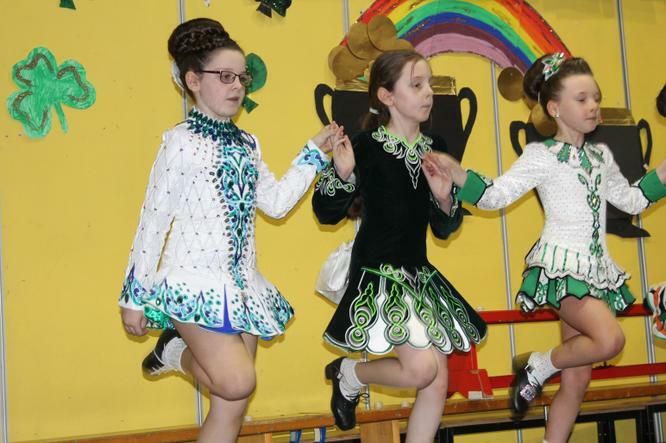 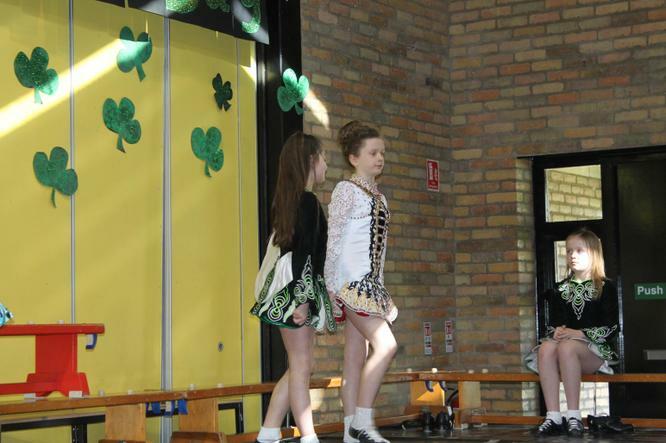 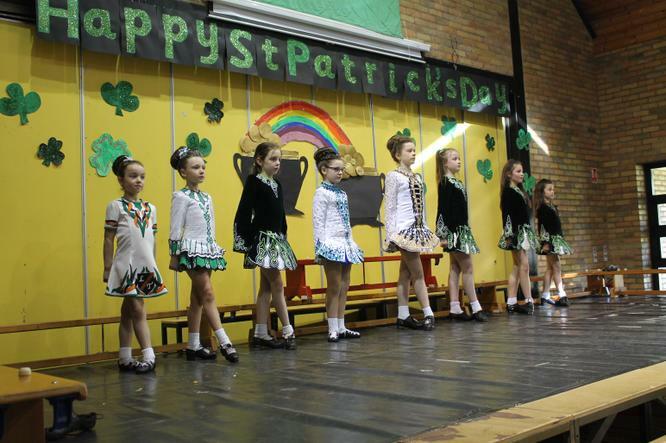 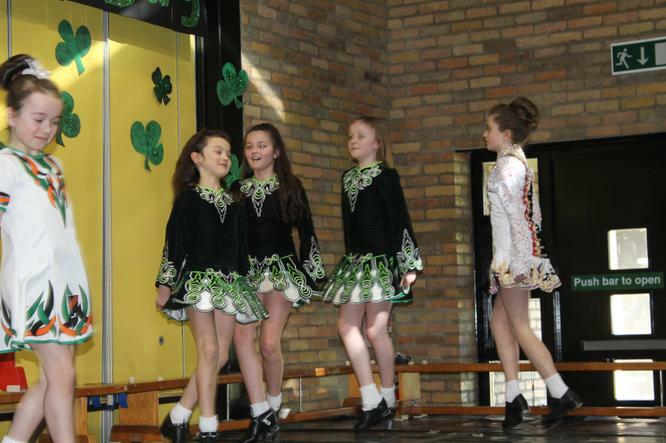 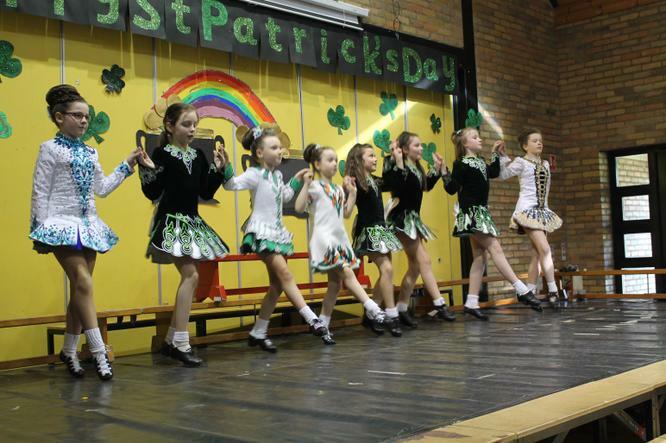 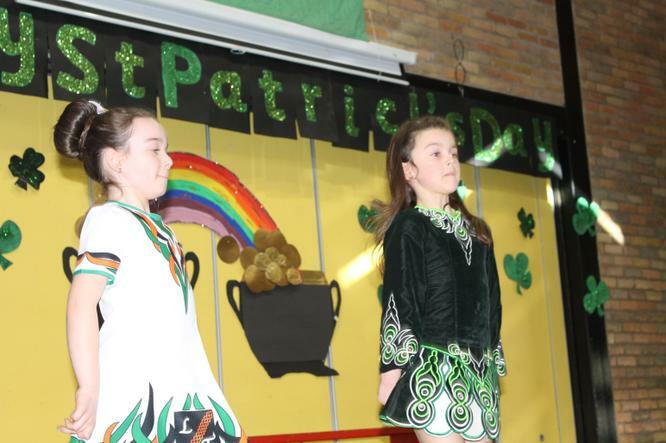 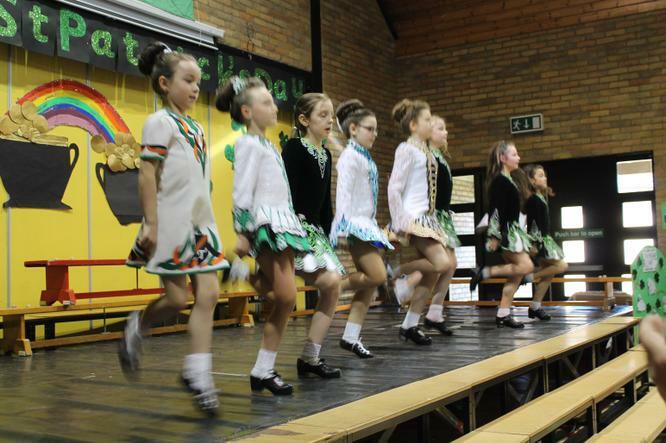 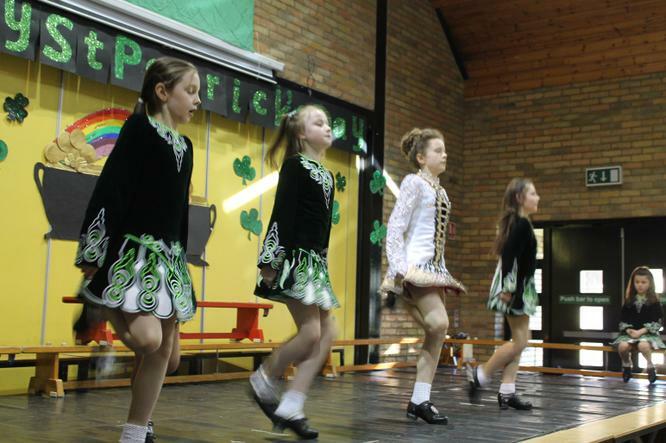 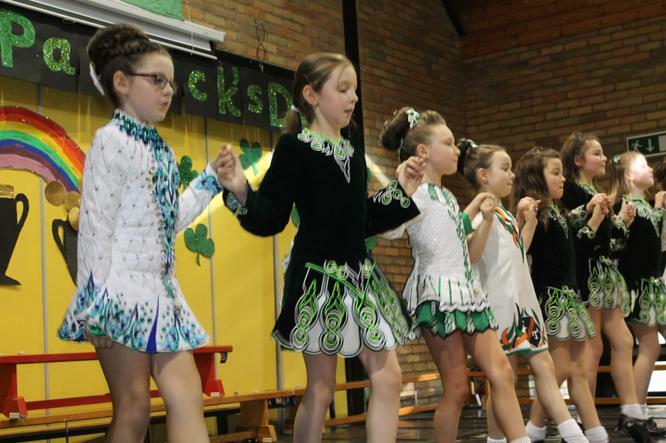 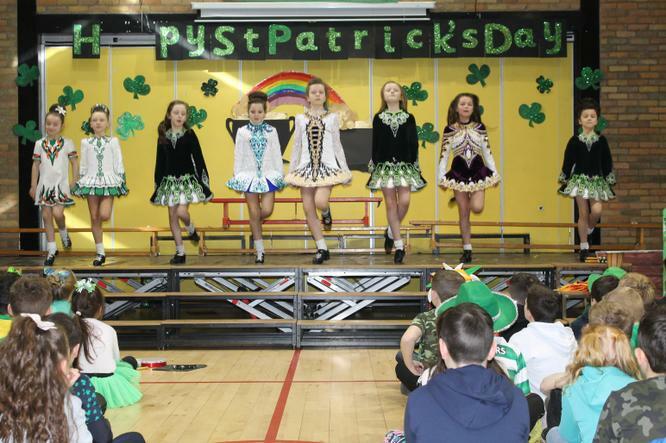 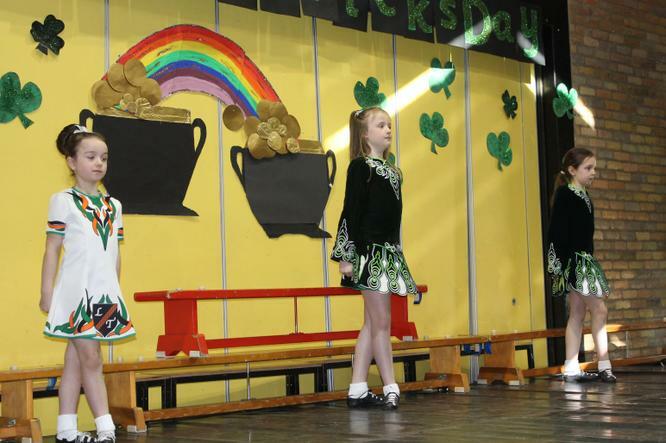 Our Irish Dancers were just brilliant, they get better and better each year. 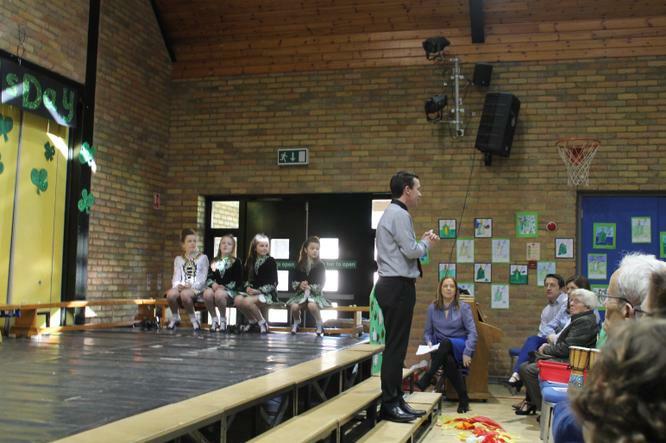 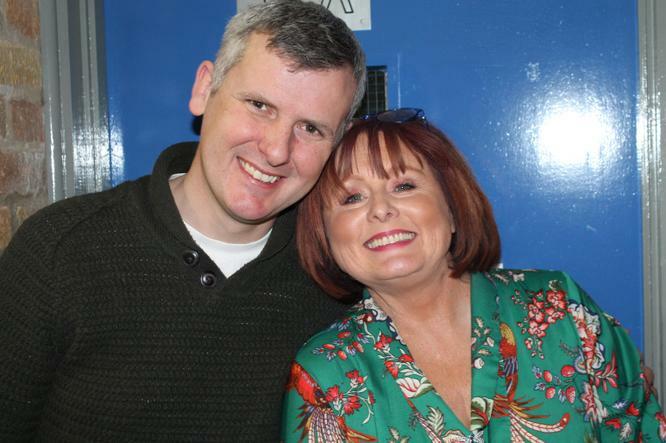 Many thanks to Mrs Cunningham for bringing the group together and for all the rehearsals. 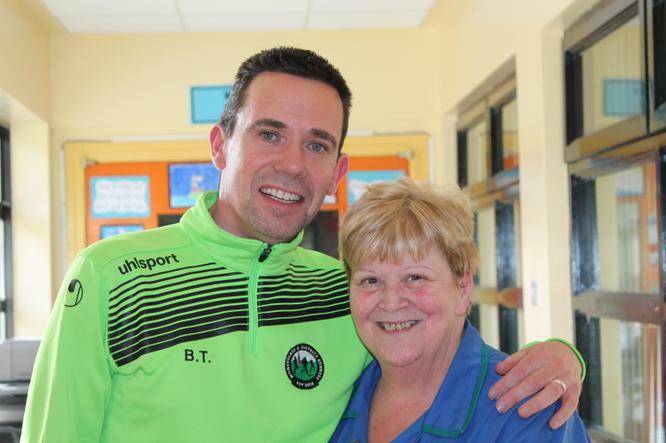 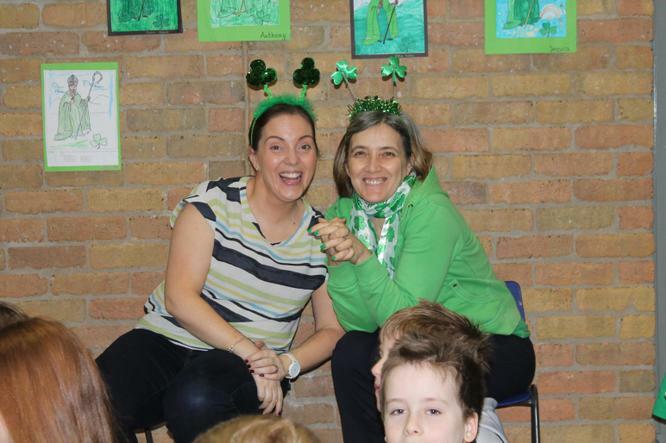 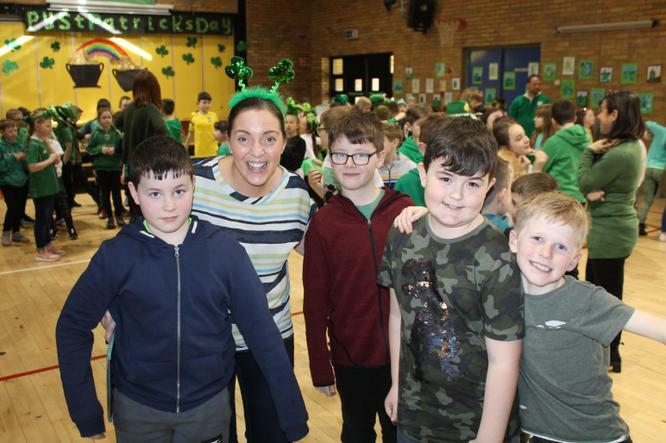 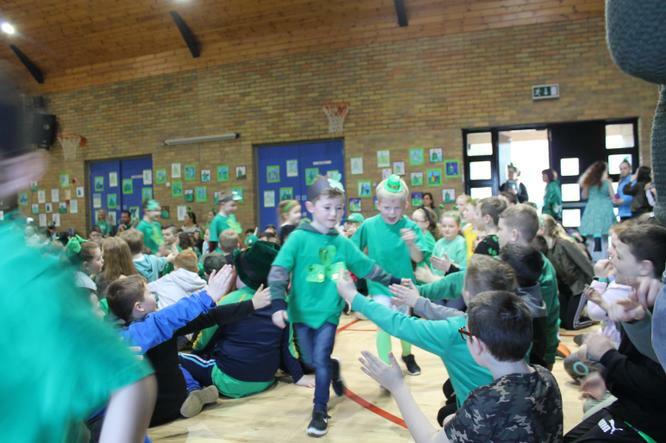 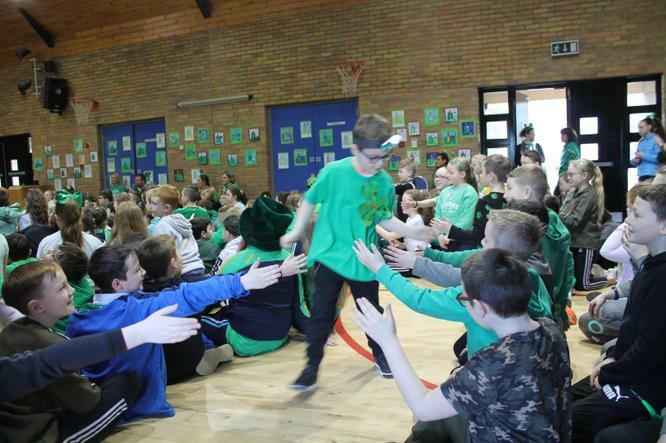 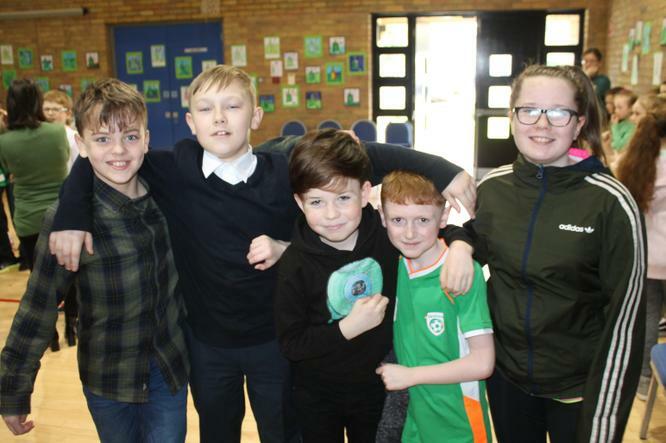 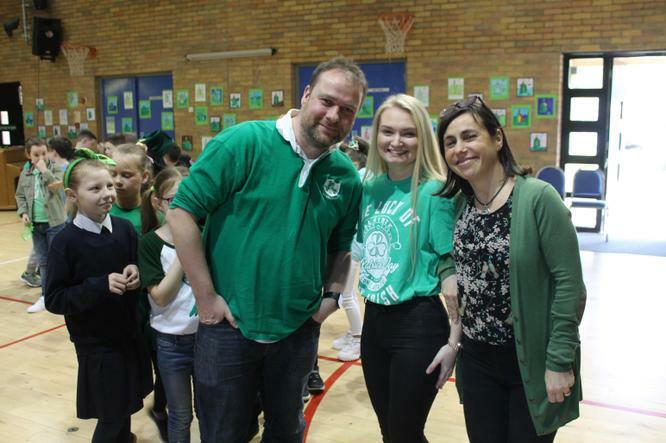 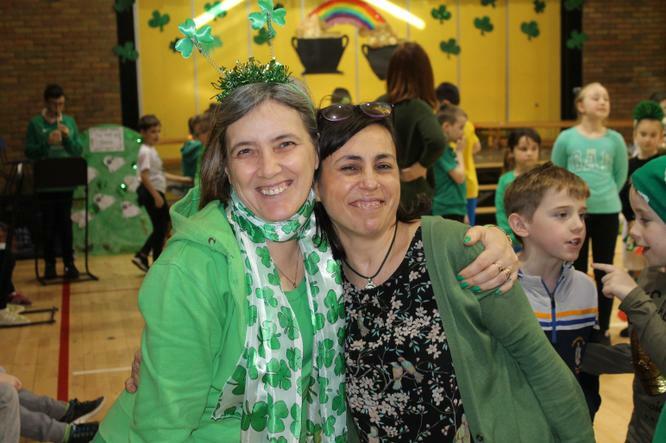 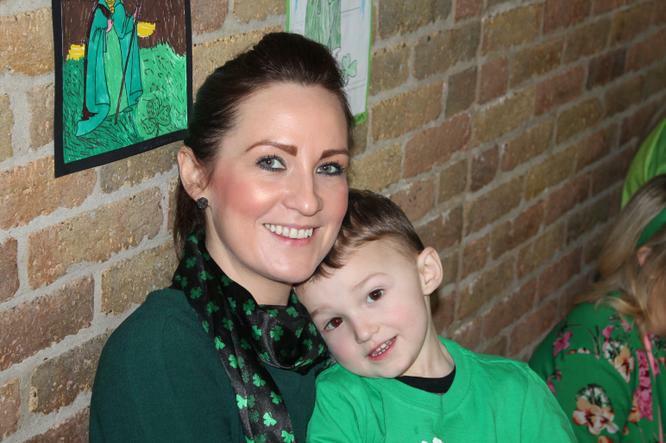 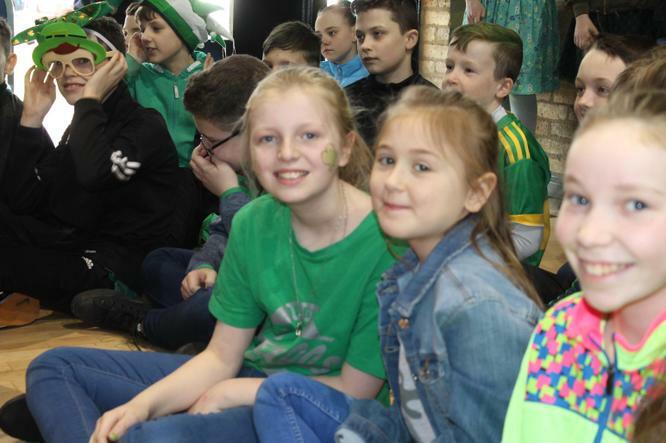 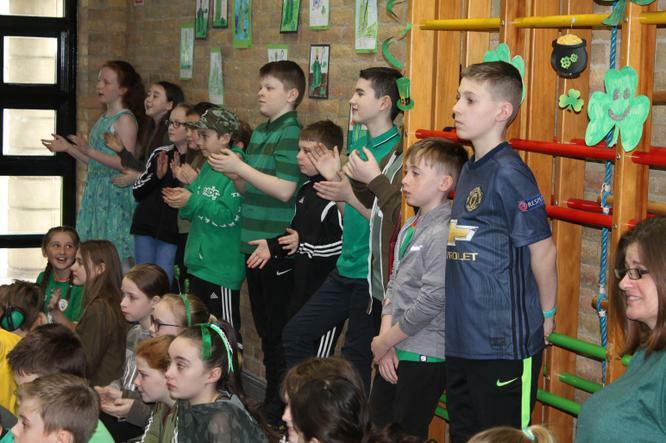 Thank you so much to everyone who made our Green Day in school so special. 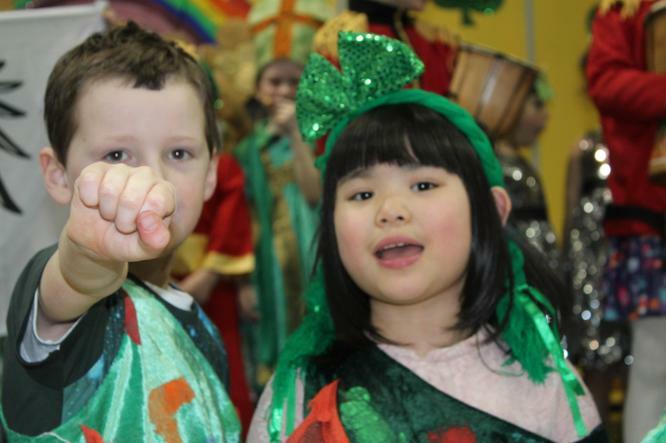 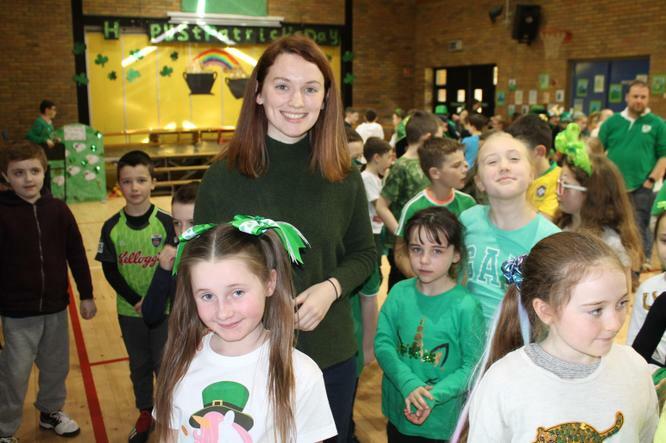 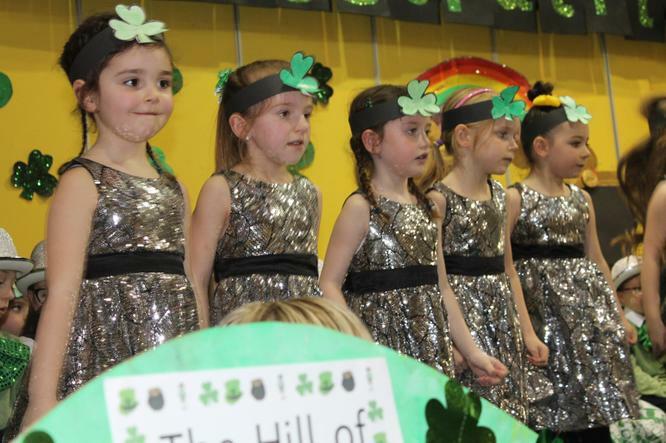 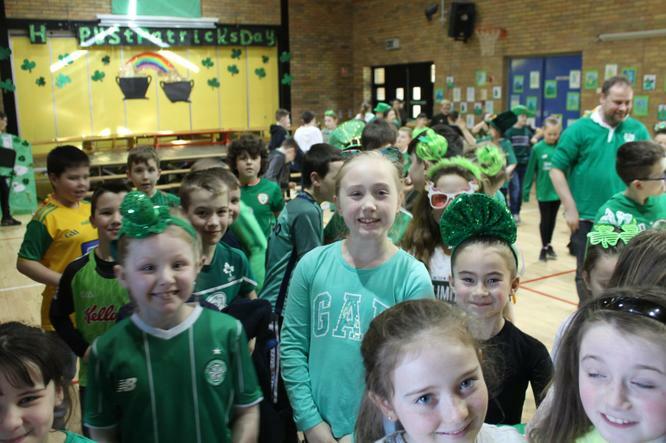 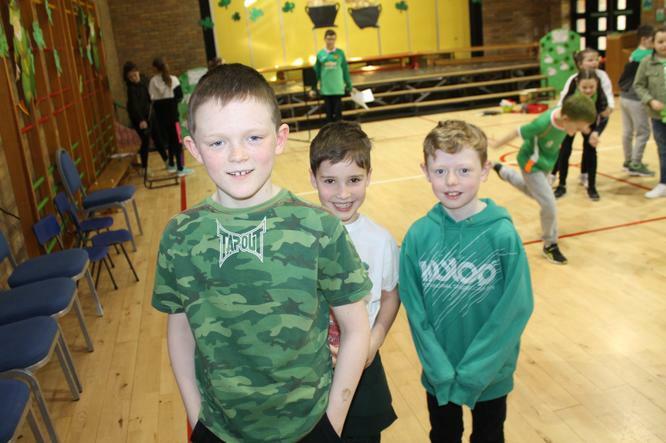 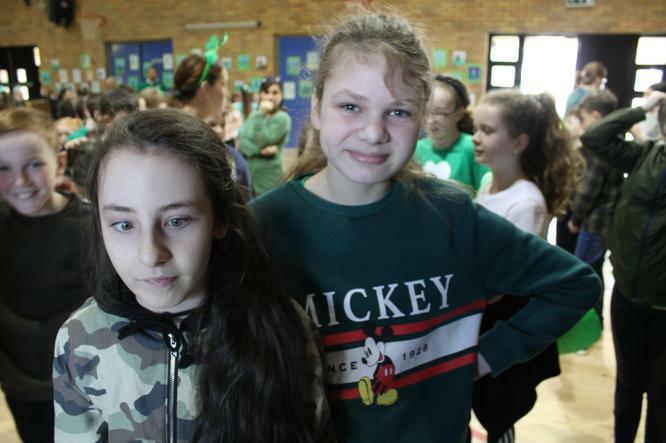 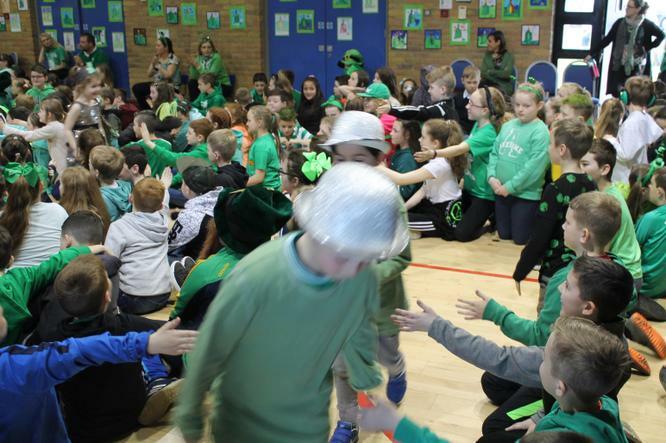 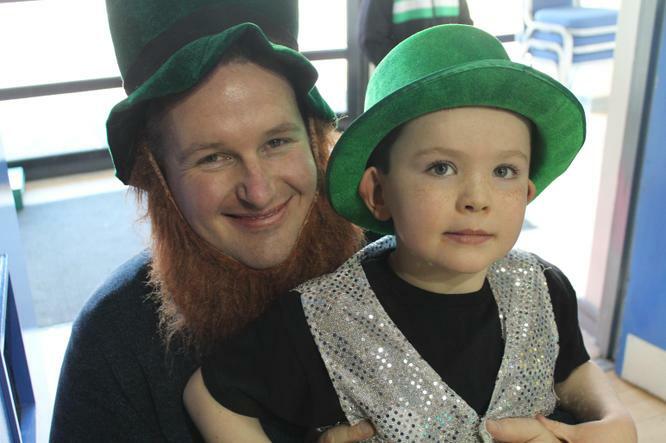 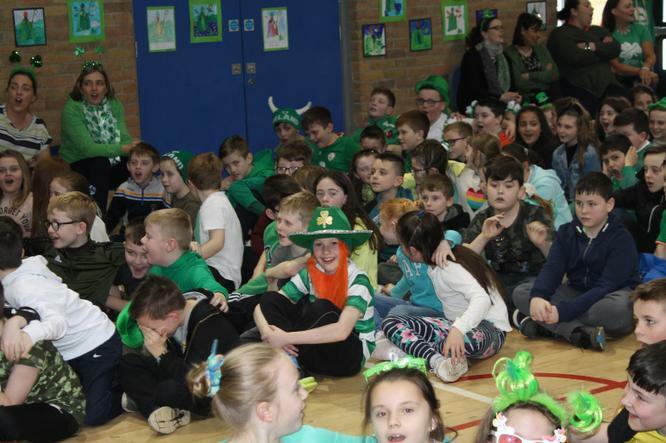 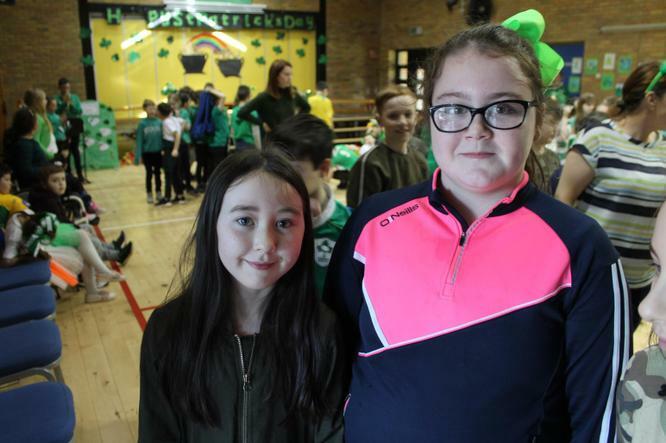 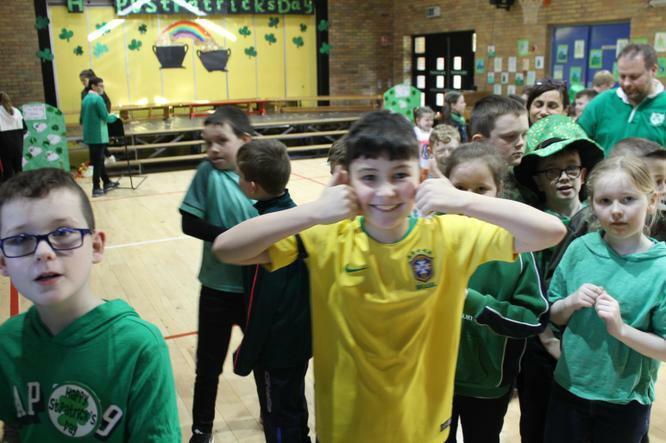 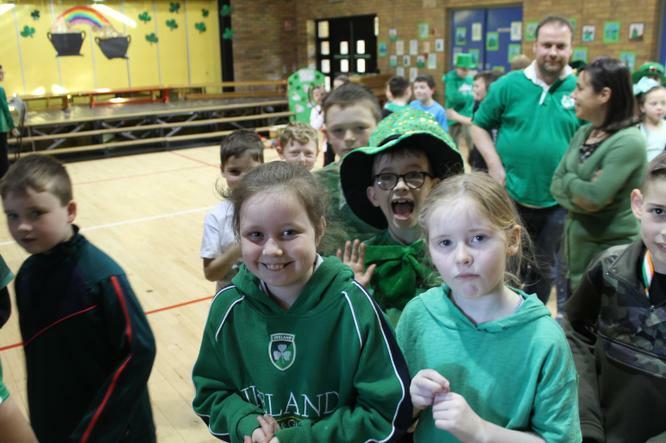 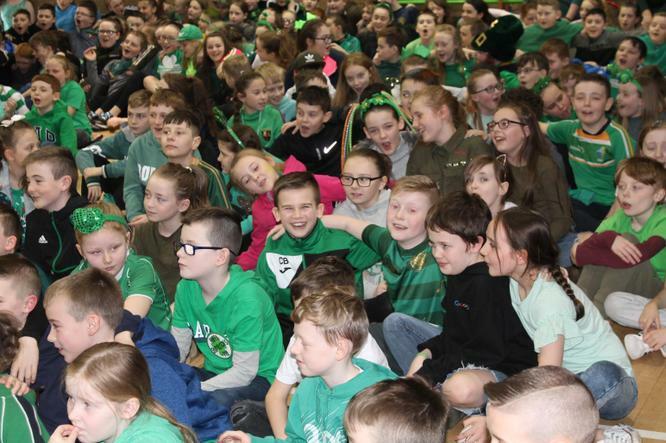 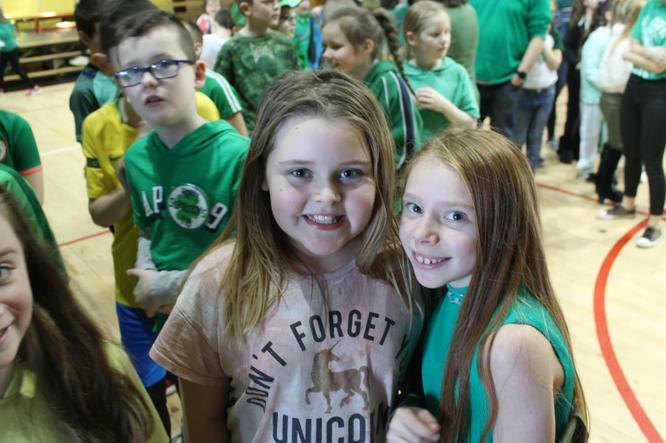 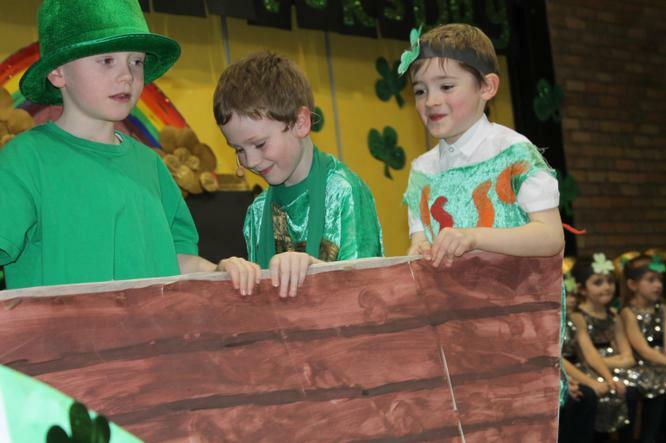 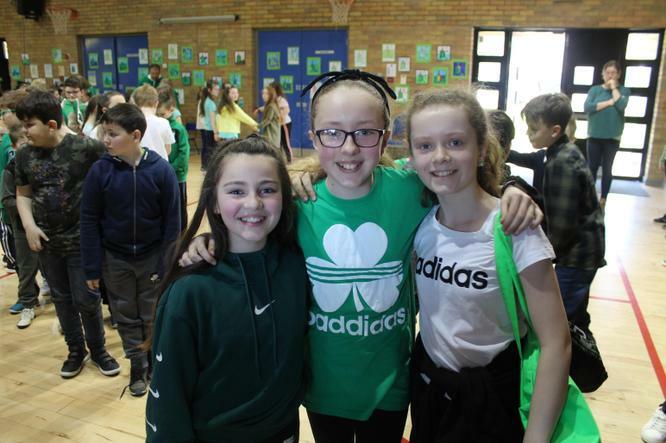 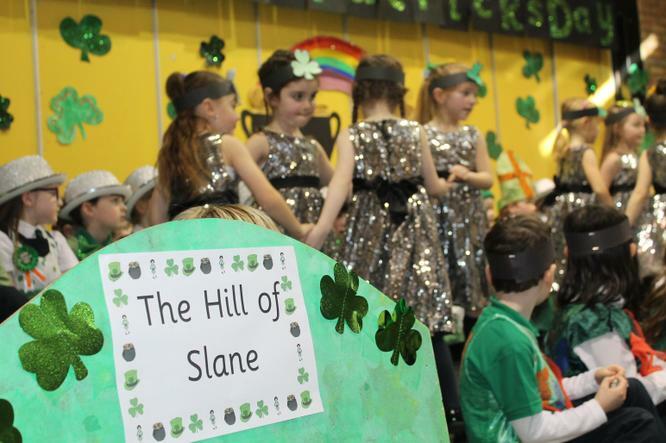 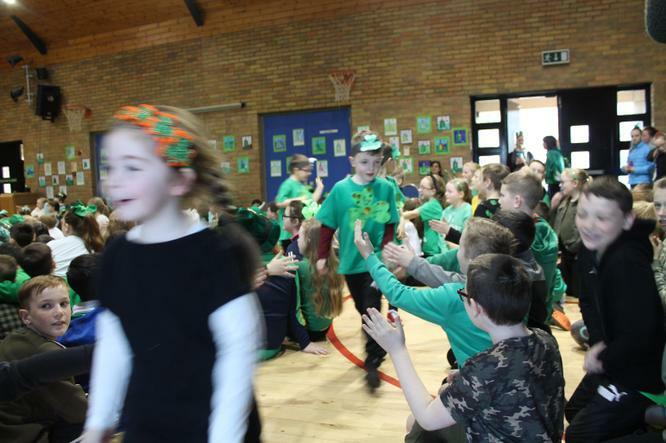 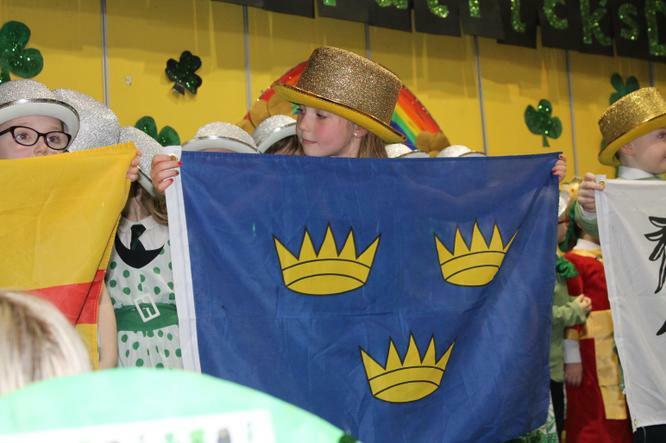 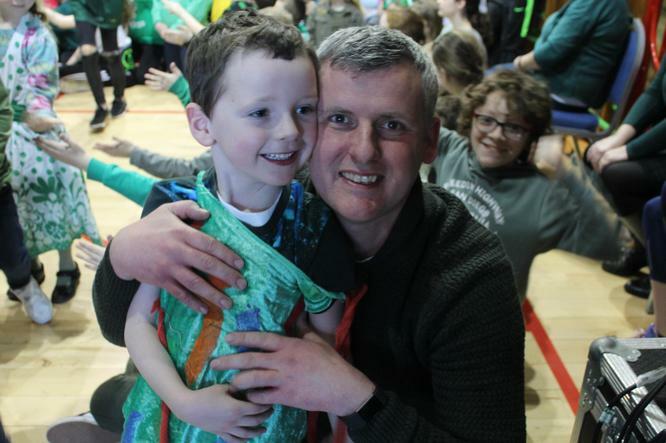 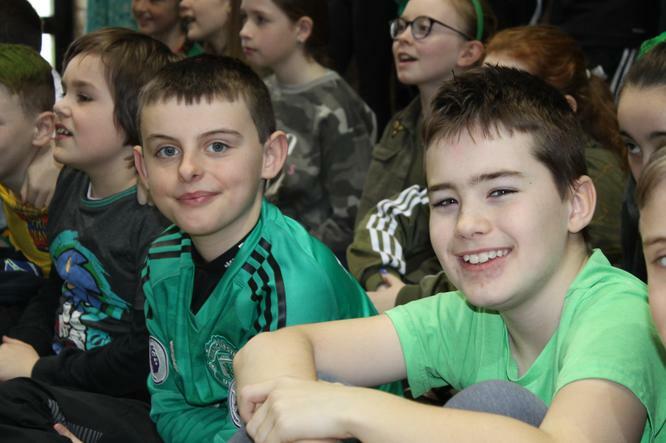 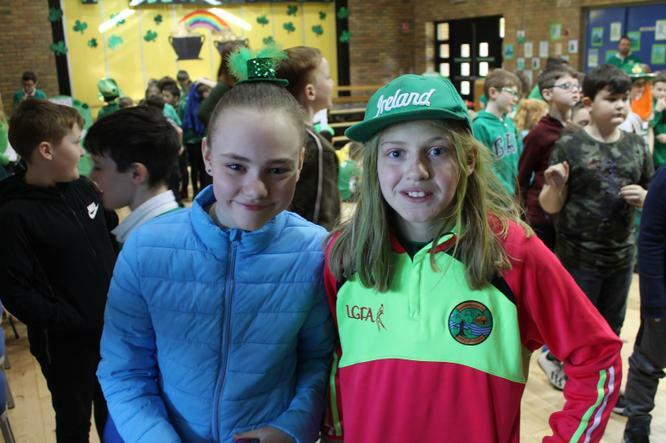 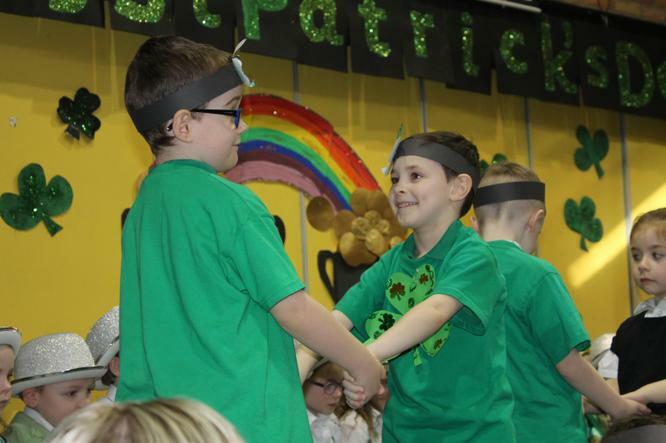 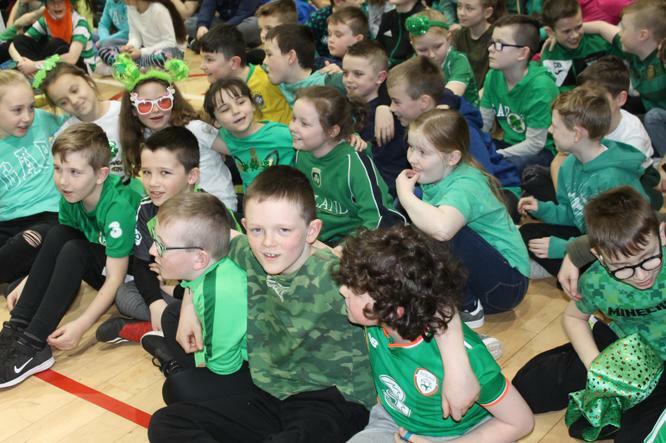 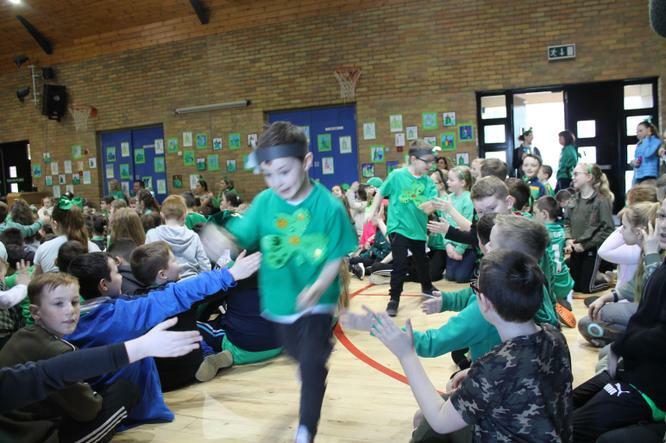 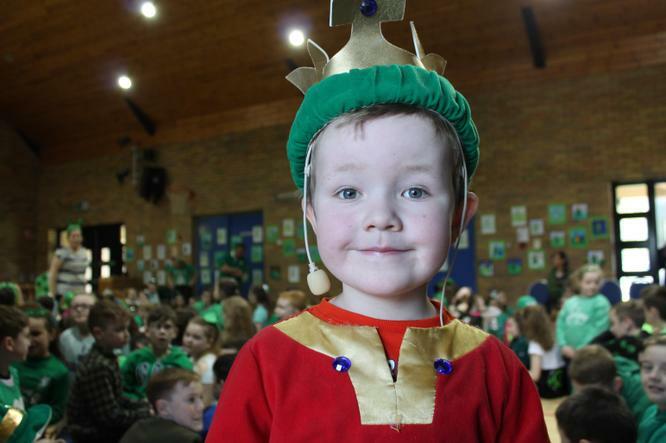 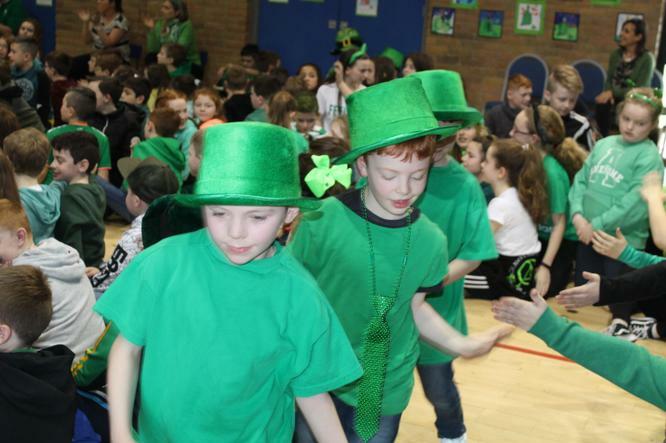 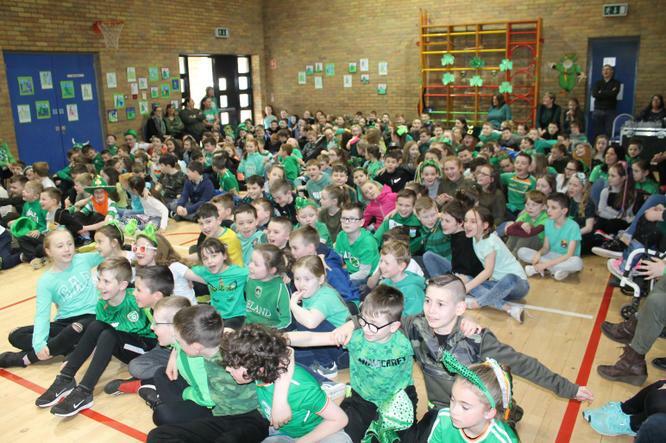 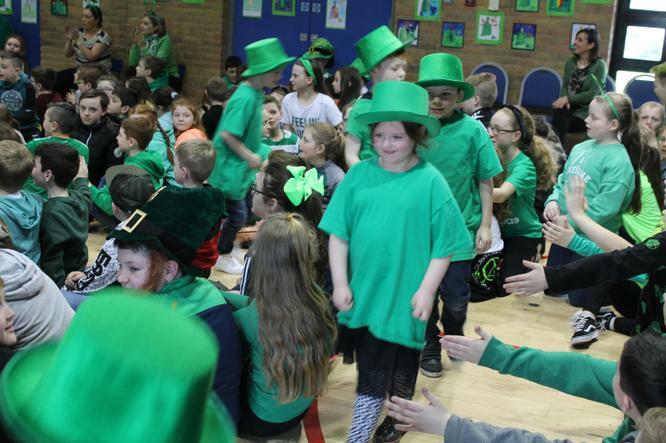 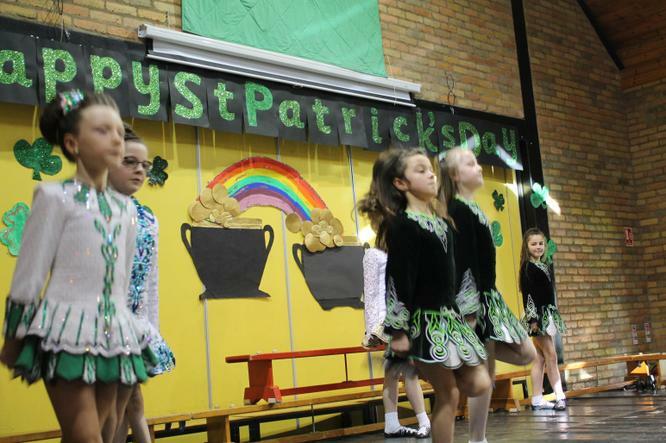 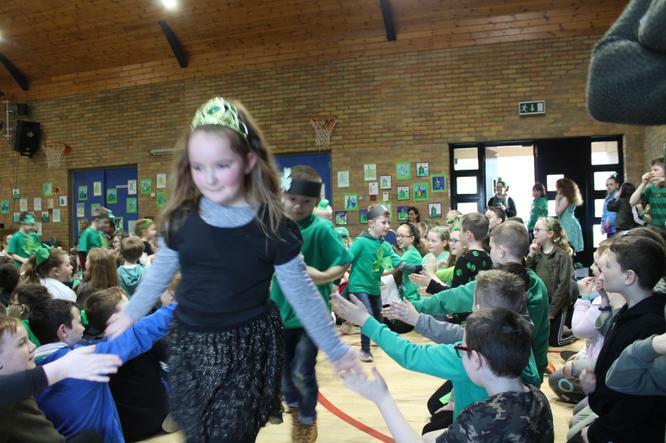 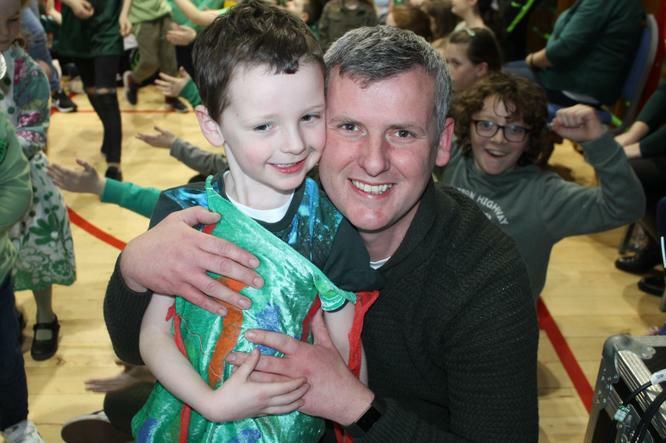 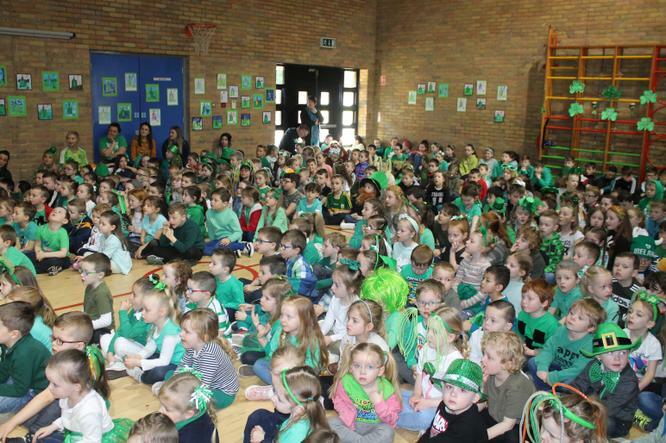 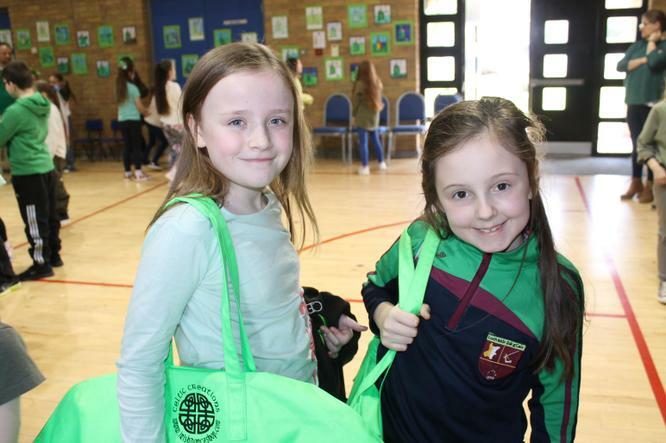 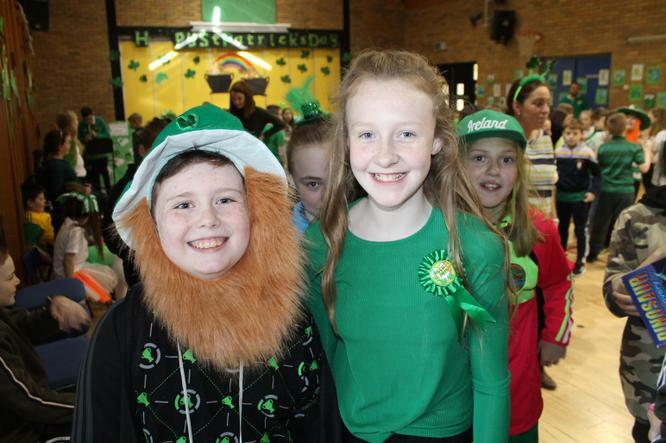 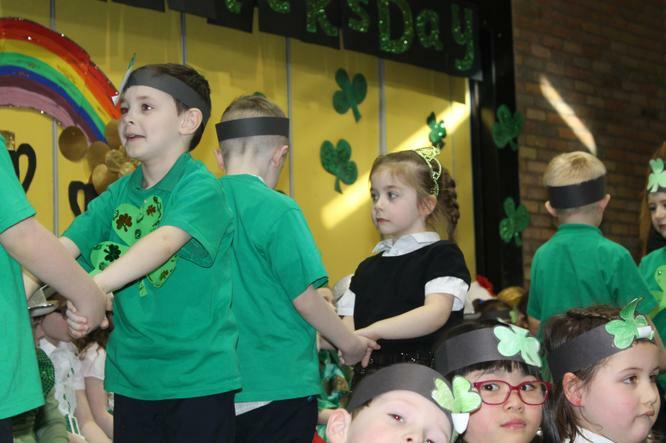 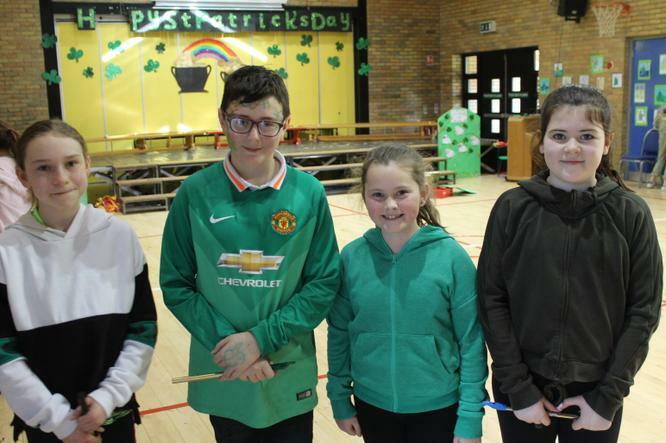 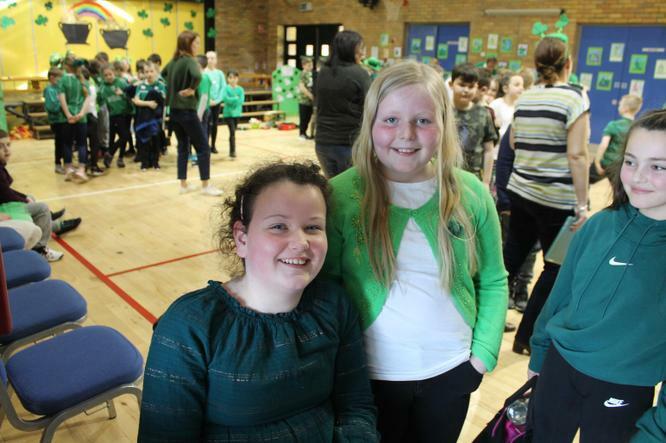 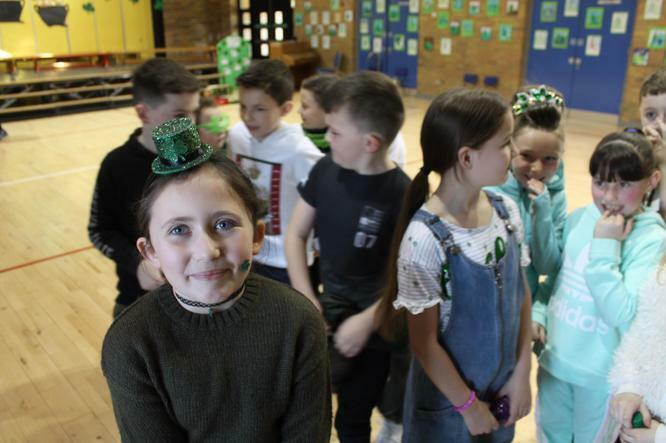 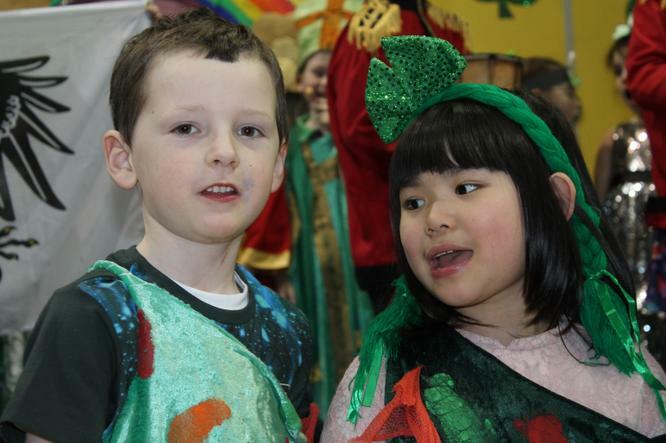 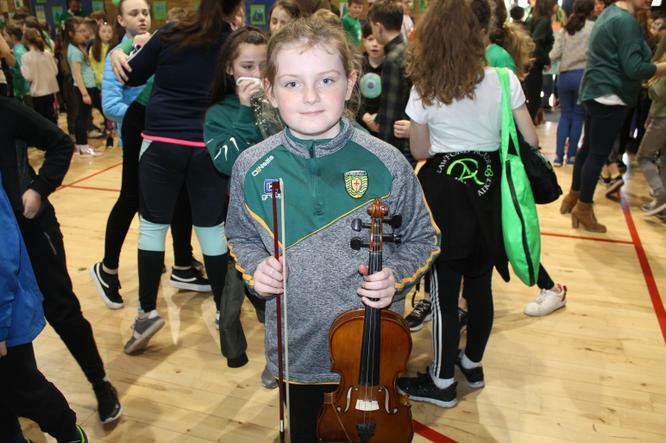 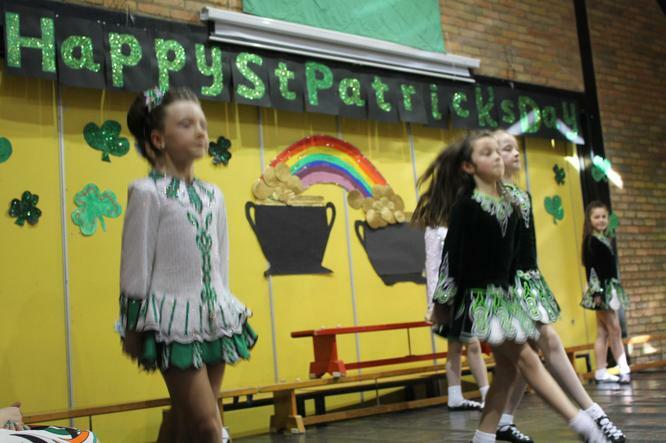 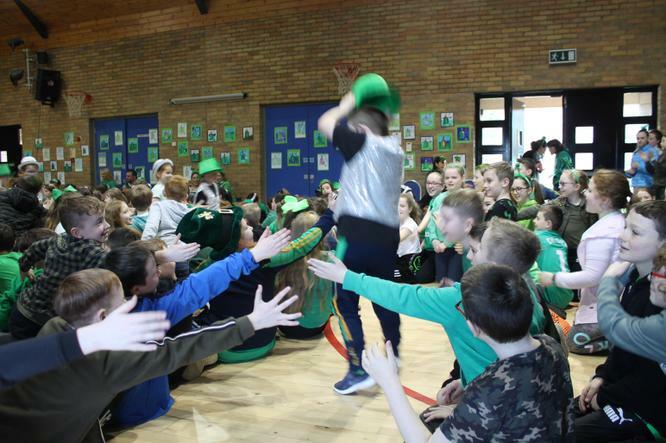 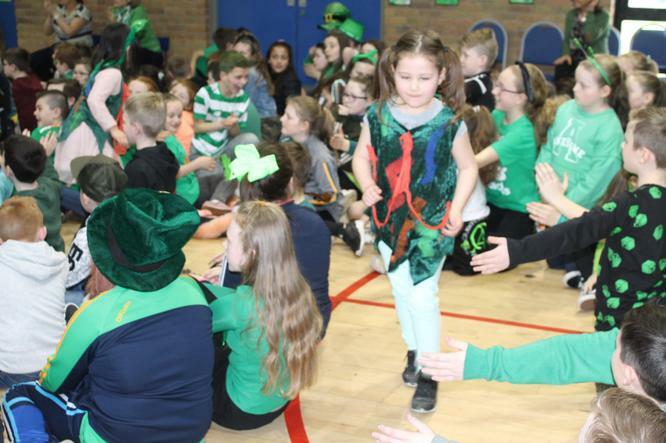 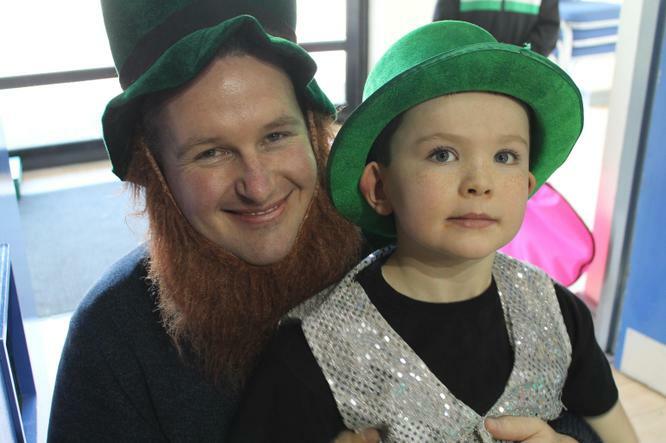 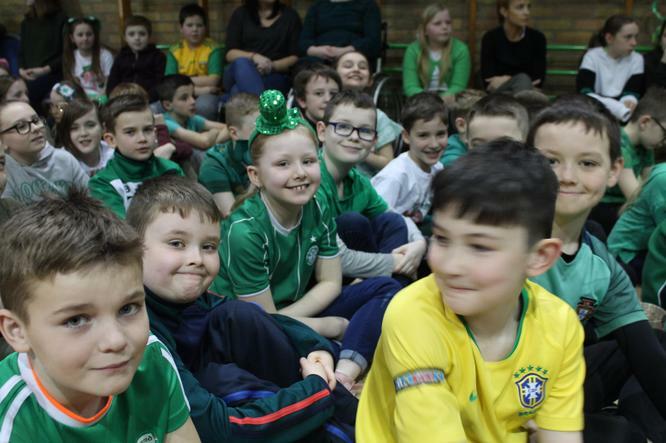 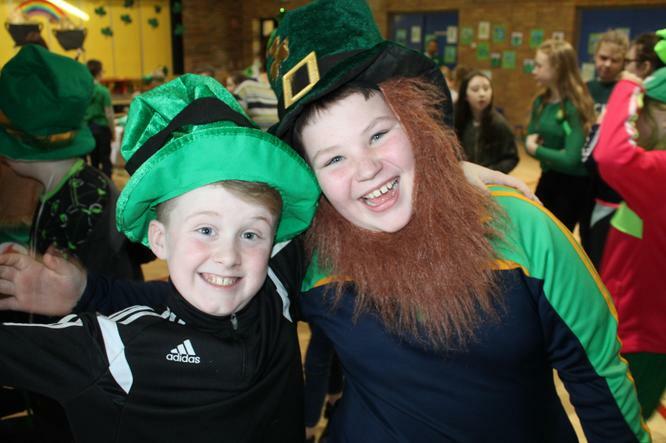 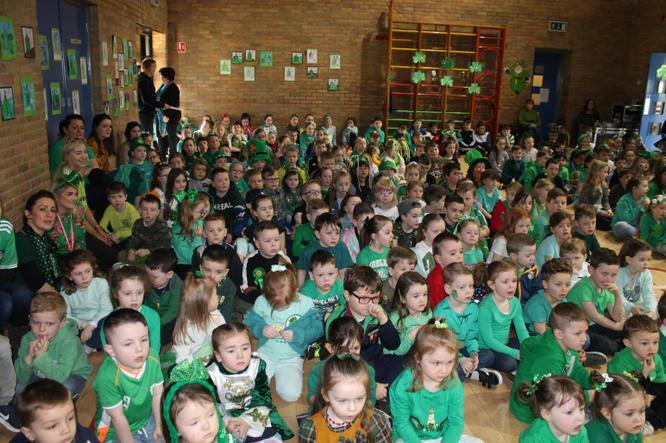 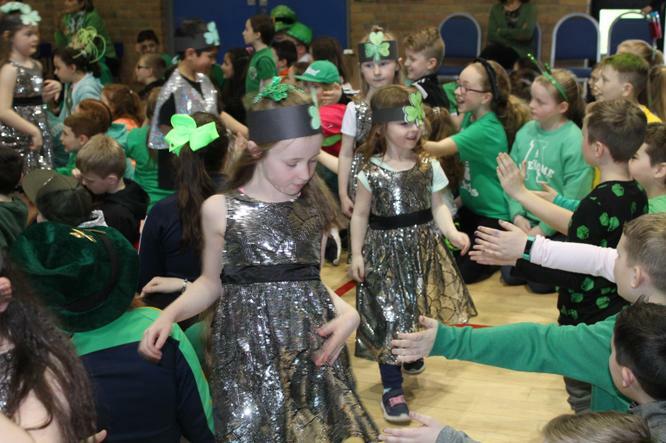 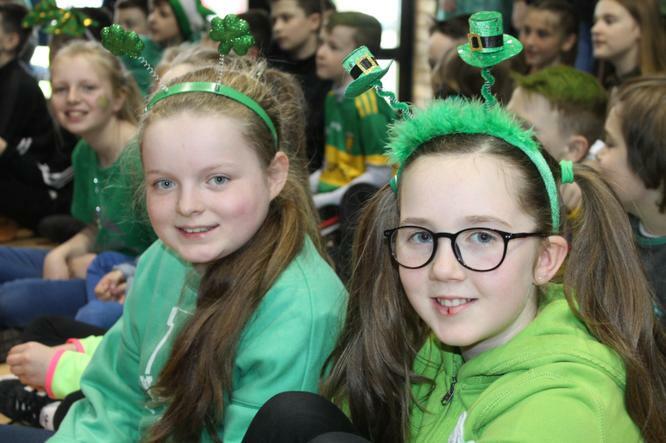 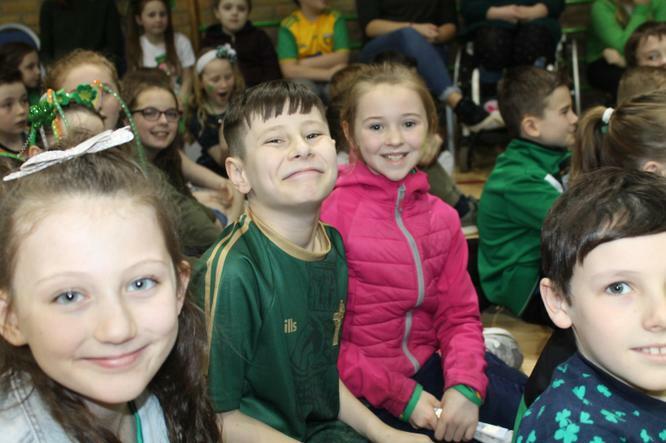 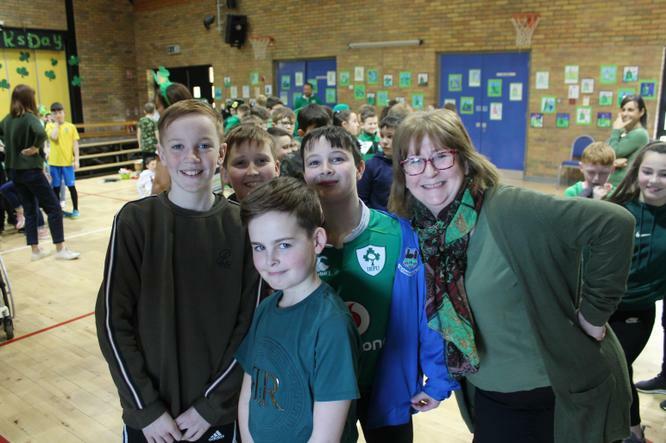 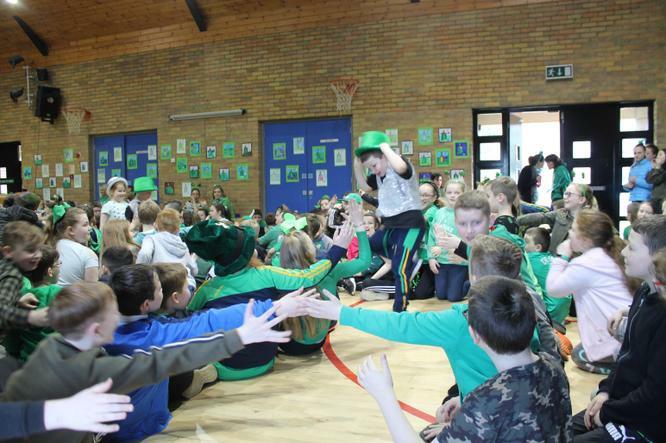 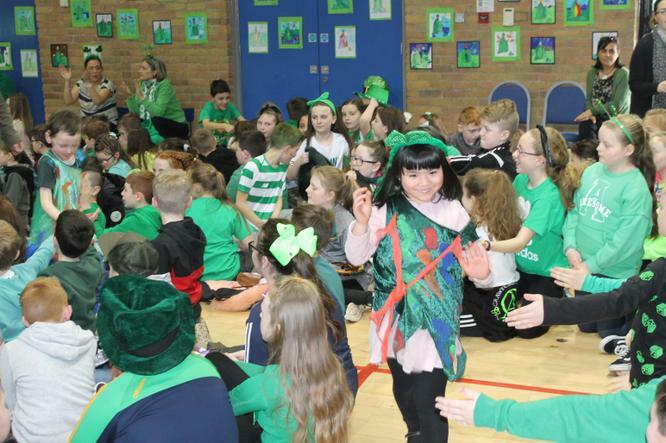 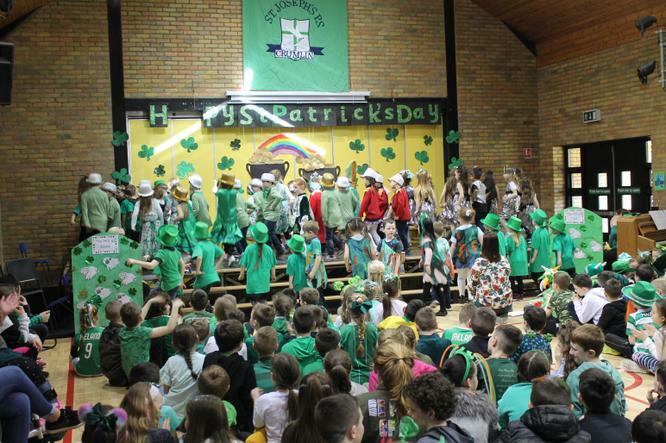 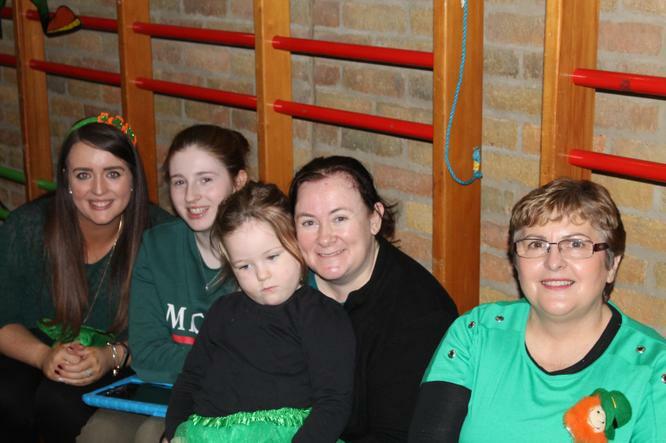 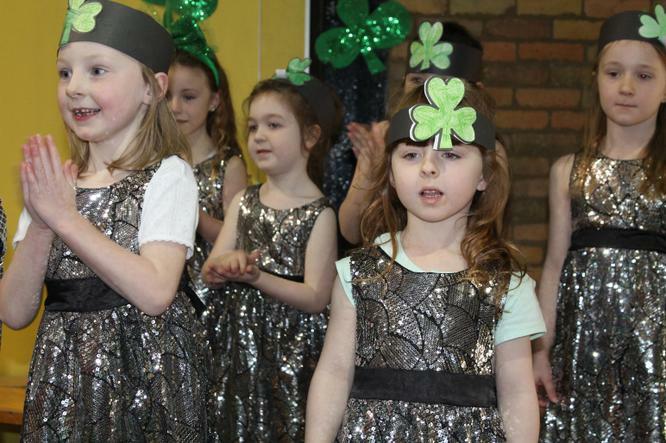 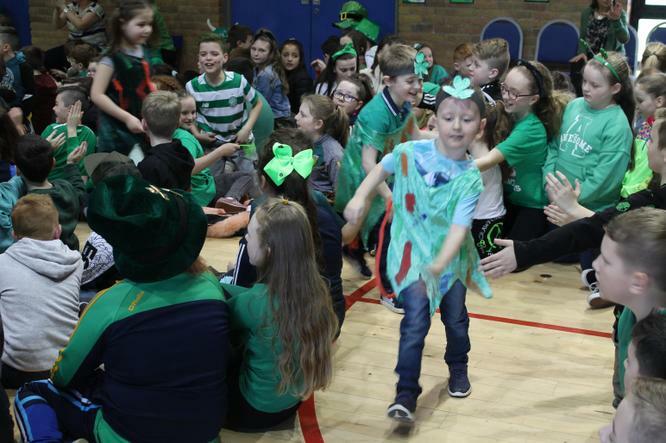 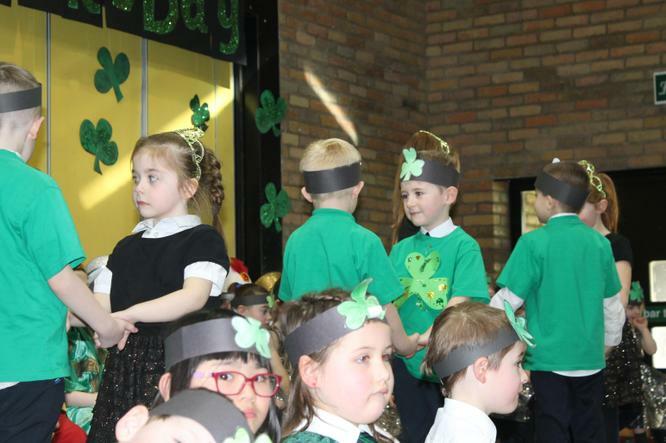 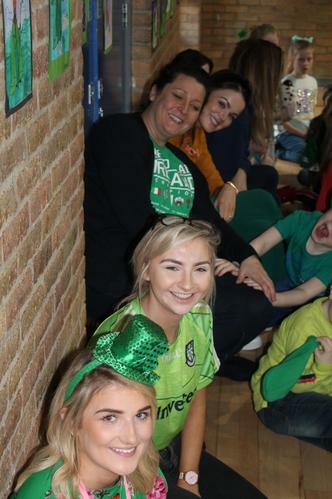 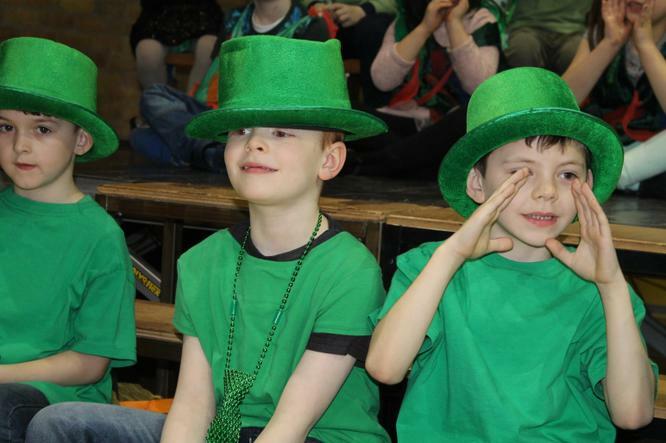 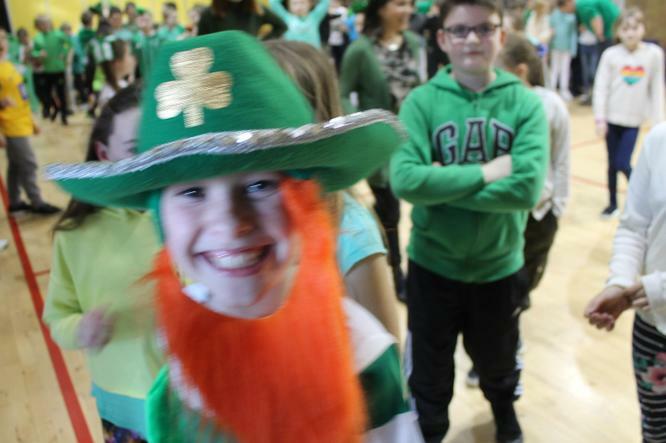 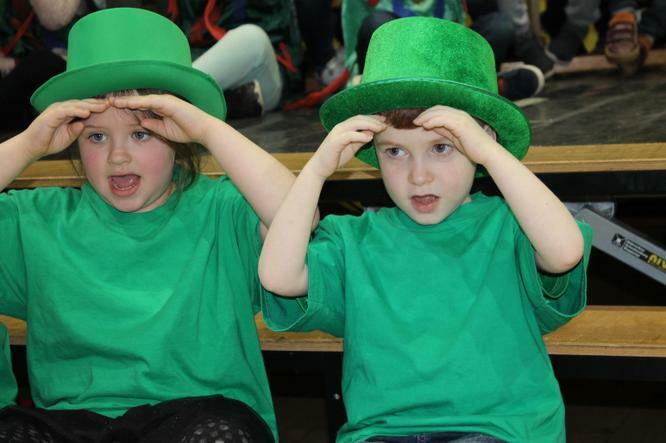 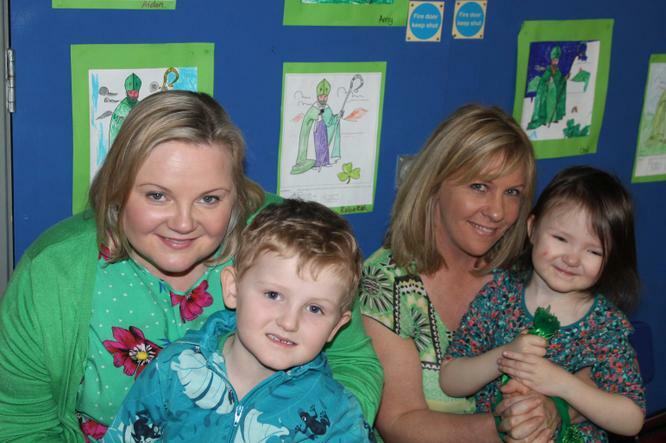 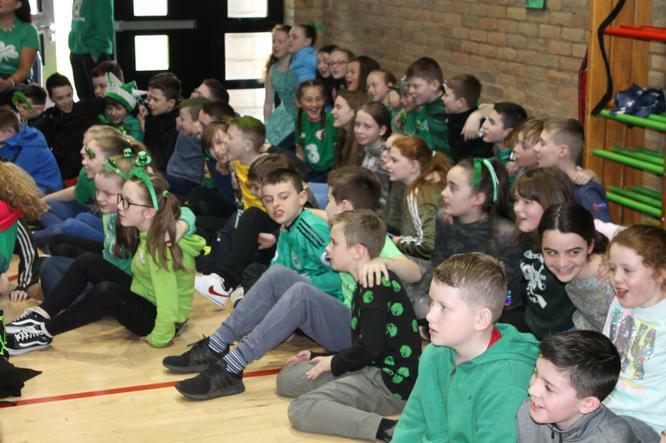 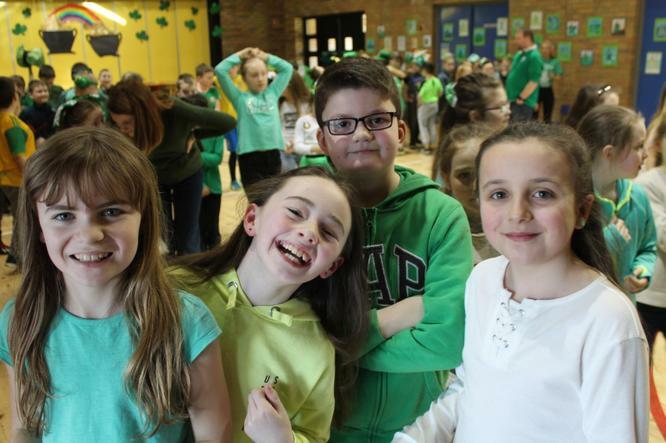 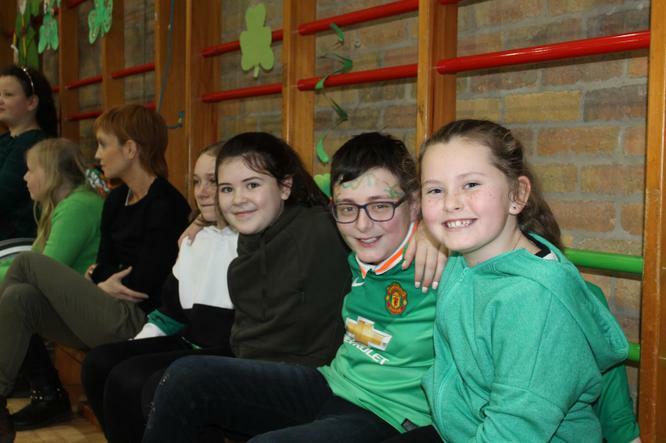 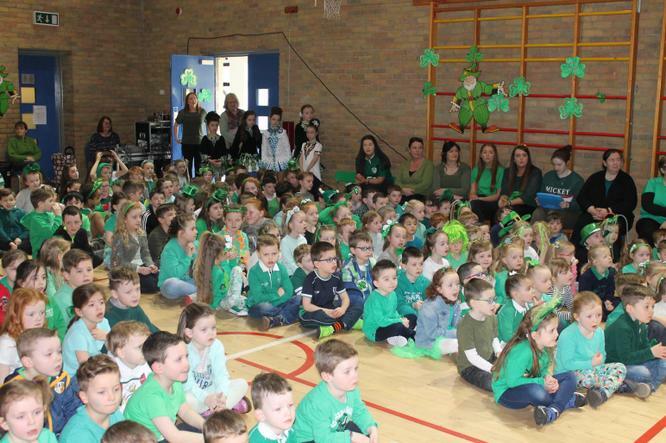 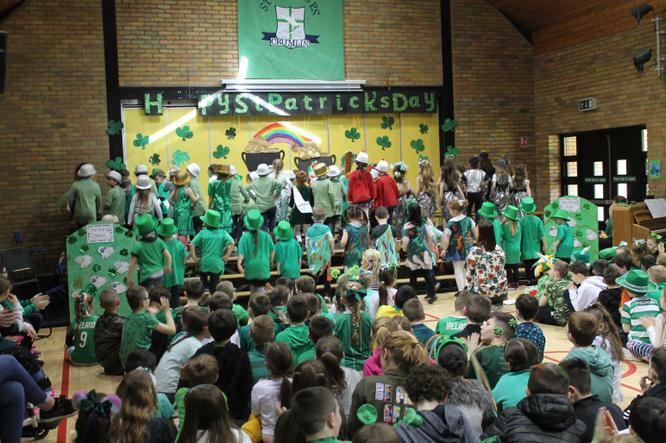 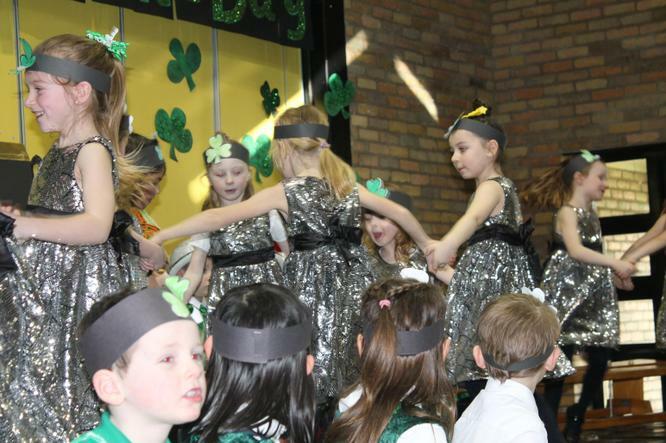 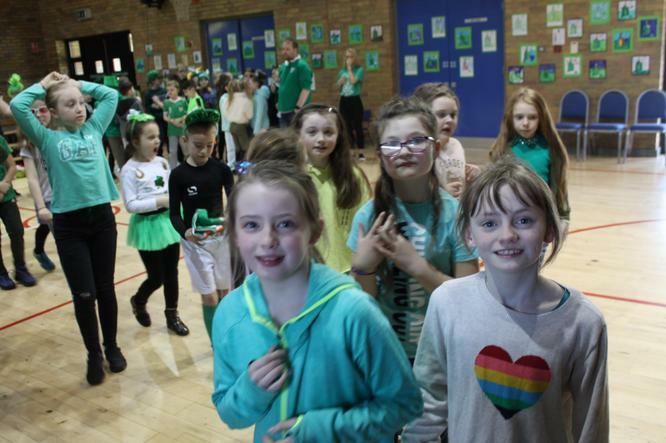 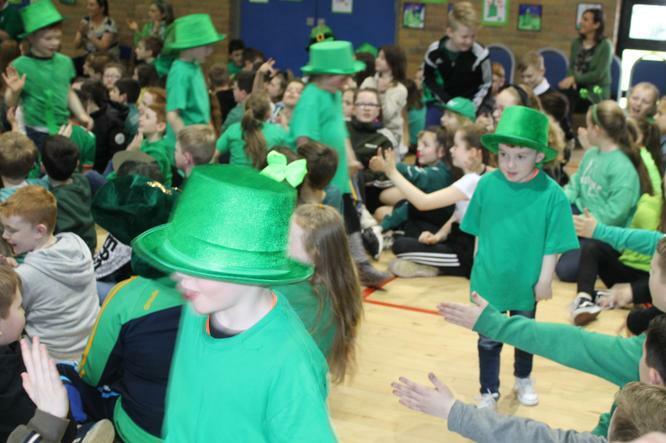 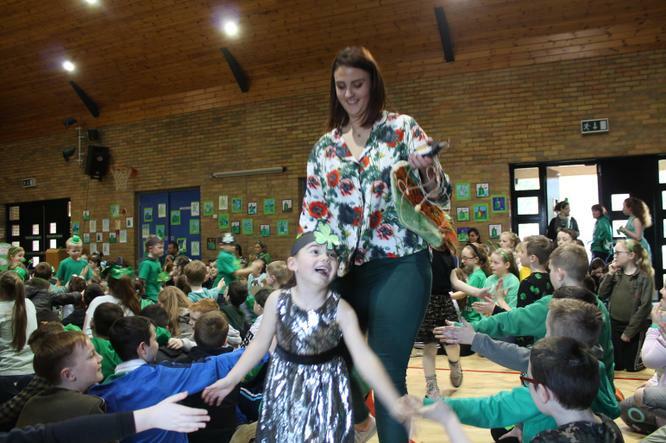 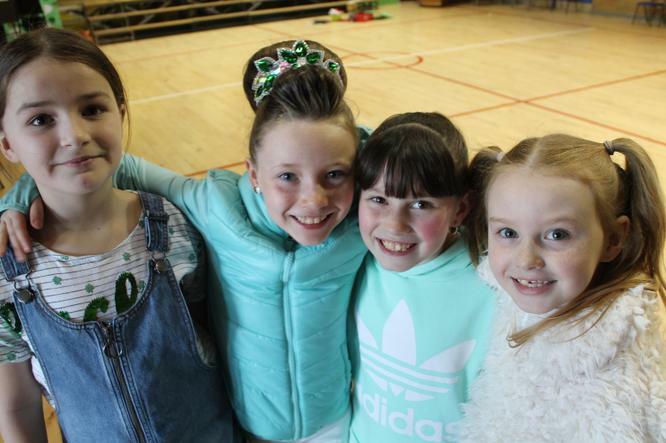 There was a sea of green across St. Joseph's in classrooms, the assembly hall and our school yards. 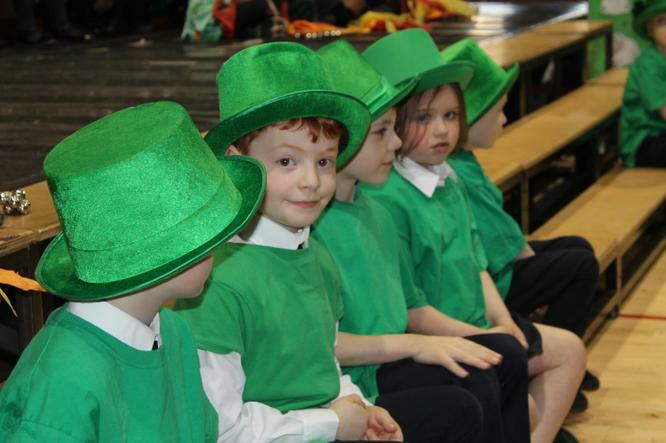 Enjoy the long weekend and Happy St. Patrick’s Day!